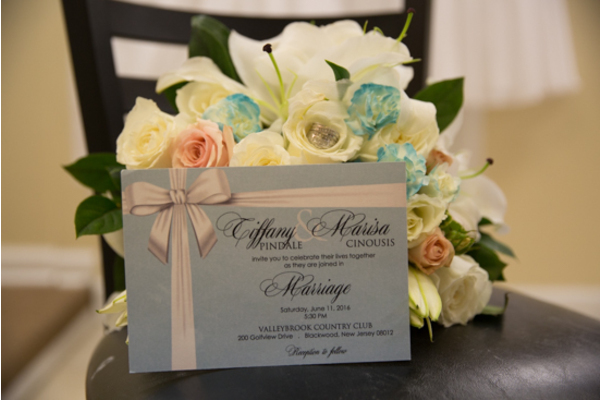 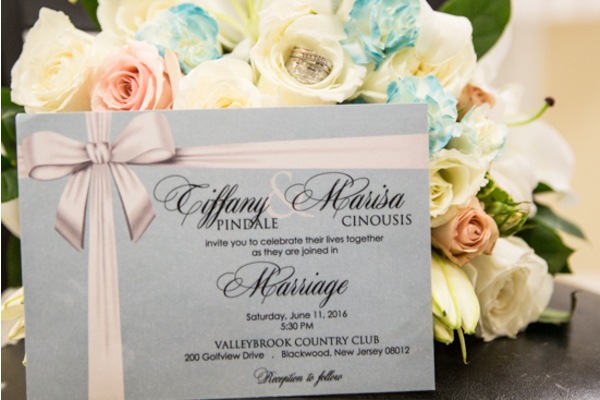 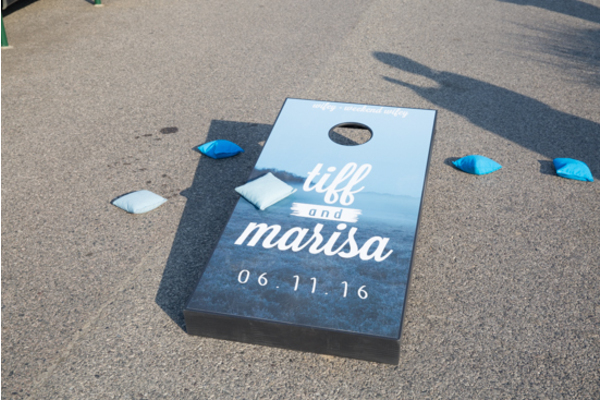 Congratulations to Marisa and Tiff on their recent marriage! 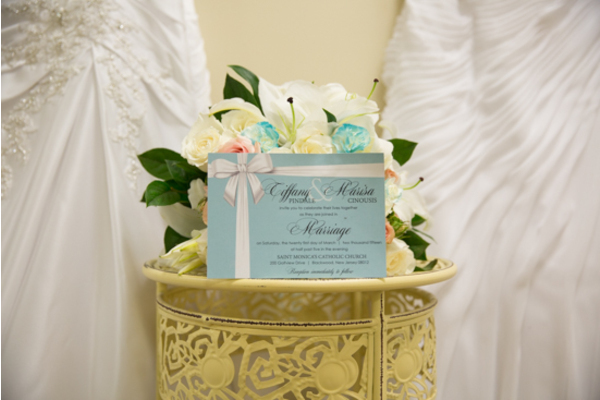 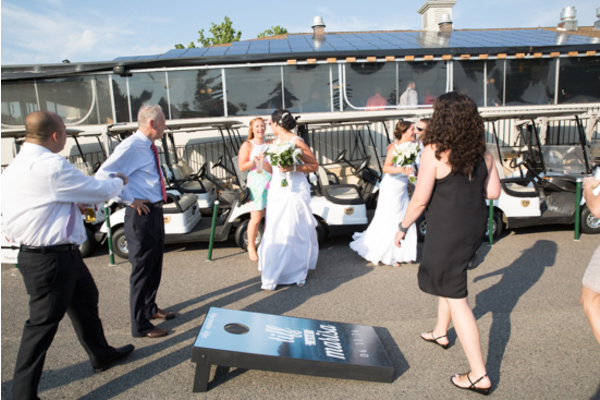 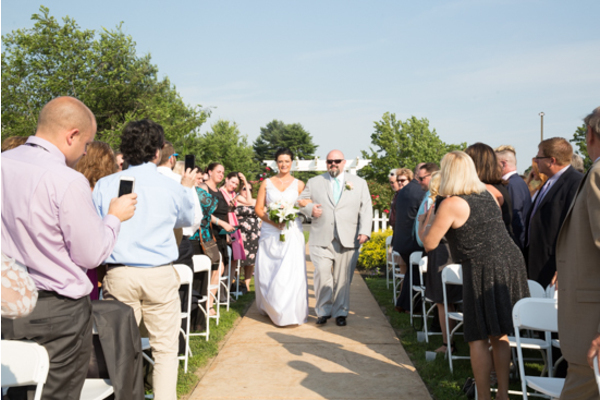 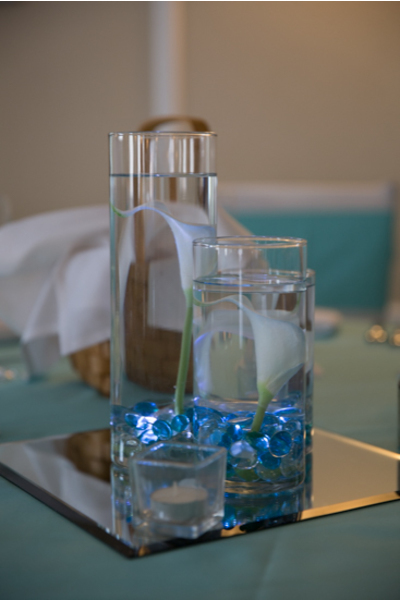 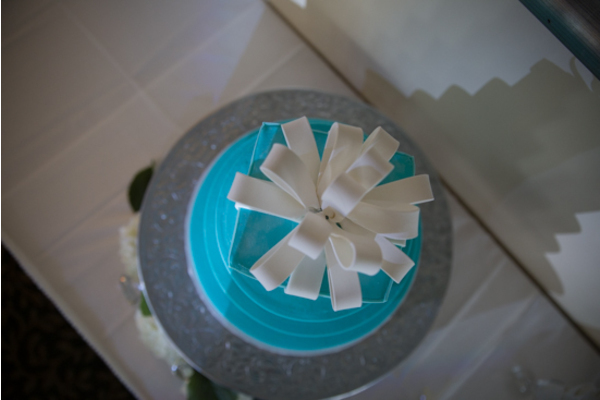 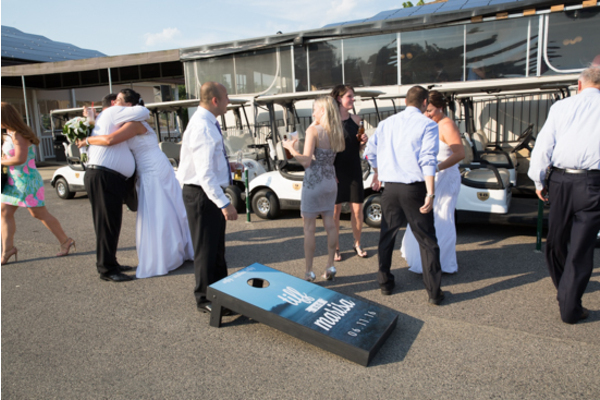 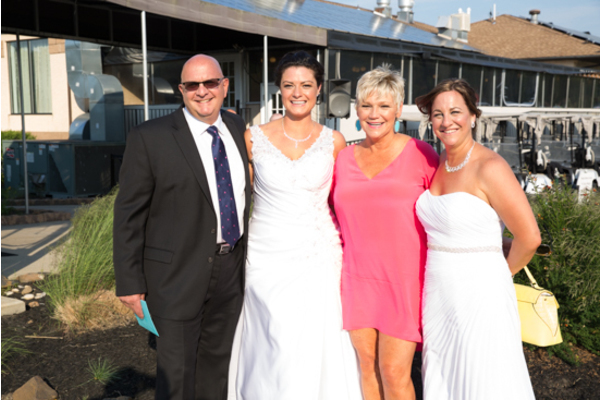 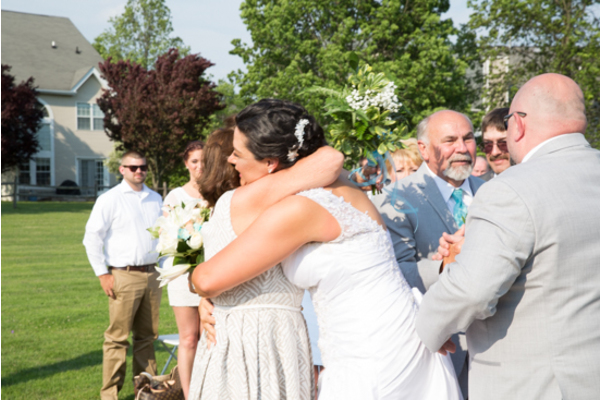 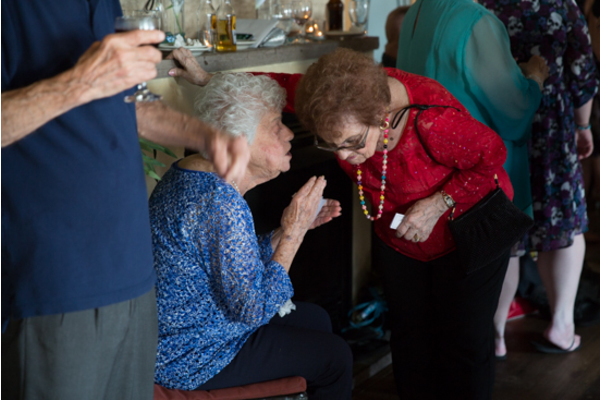 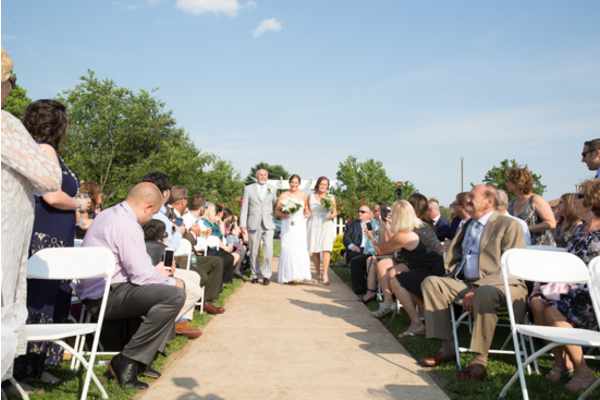 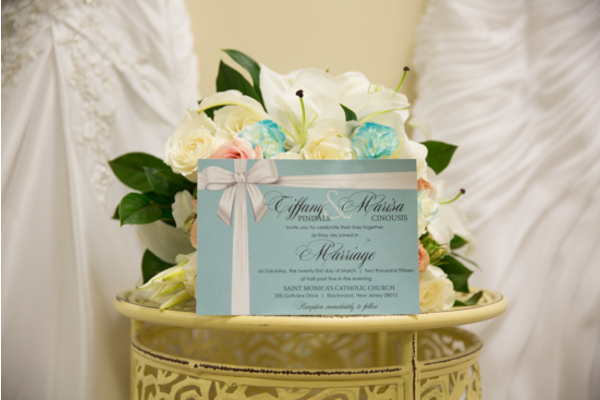 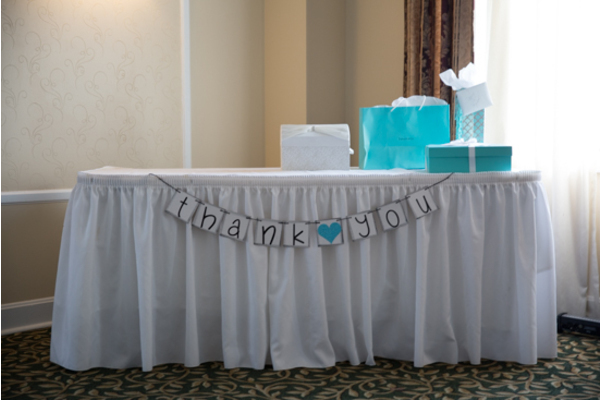 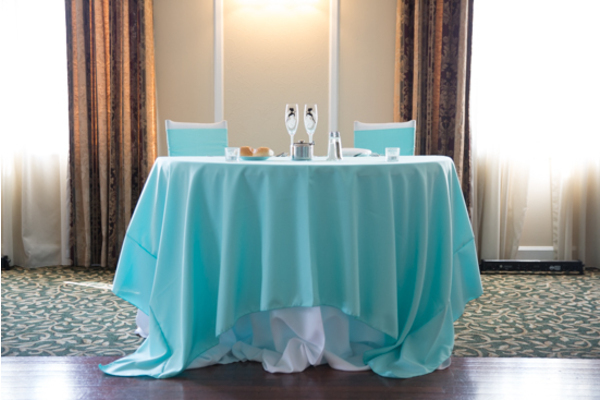 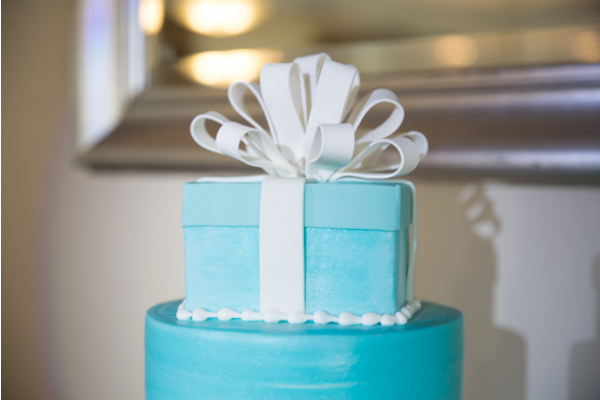 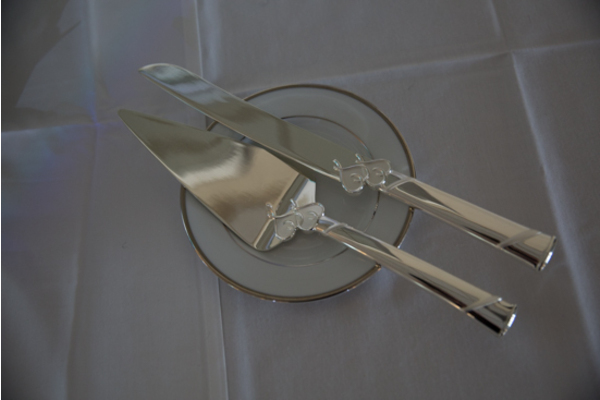 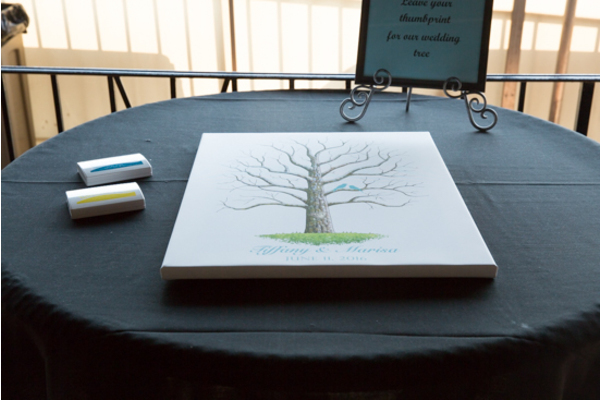 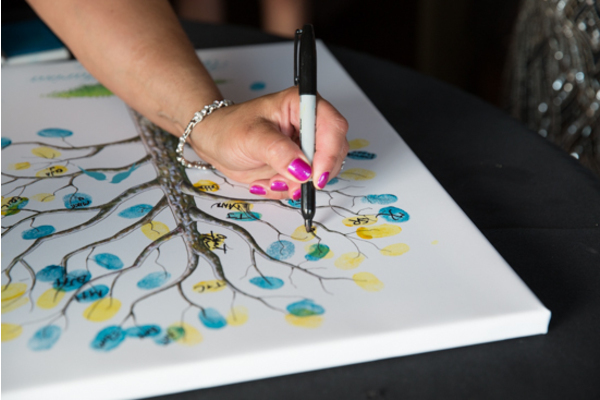 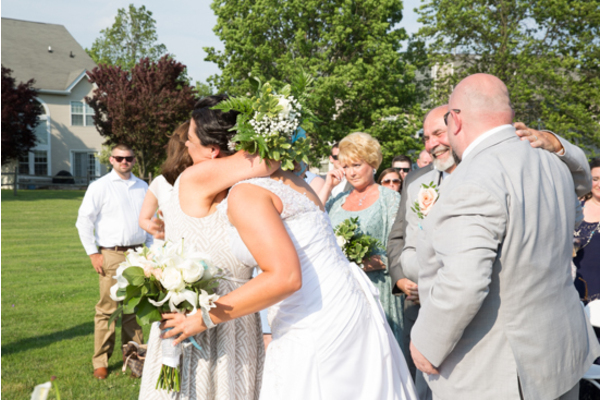 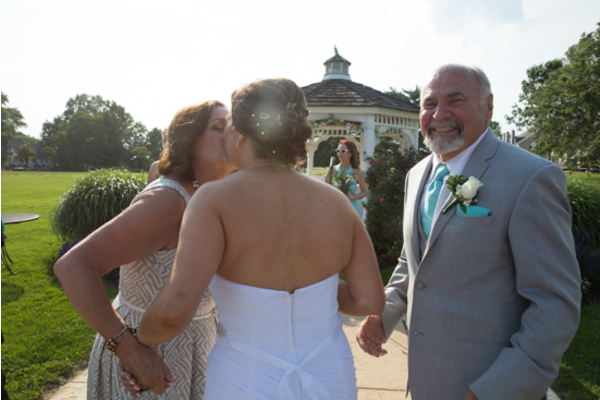 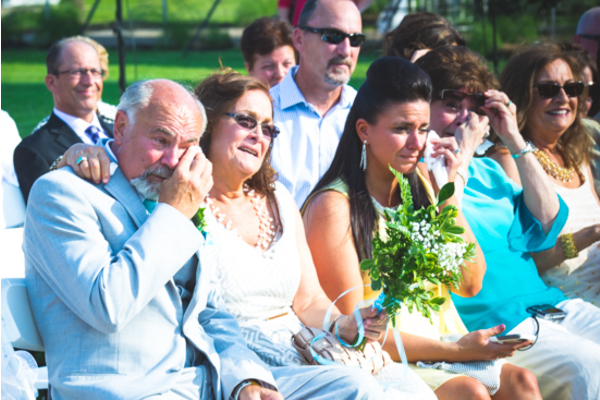 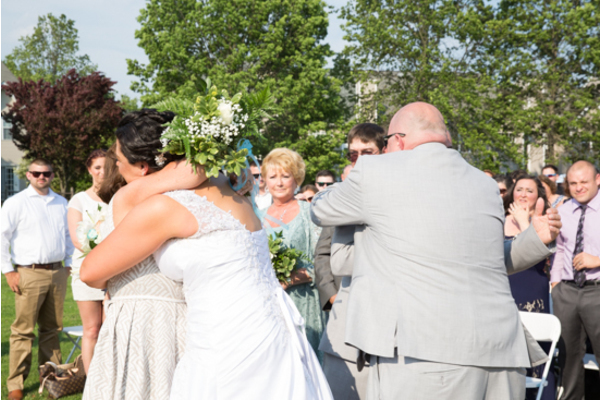 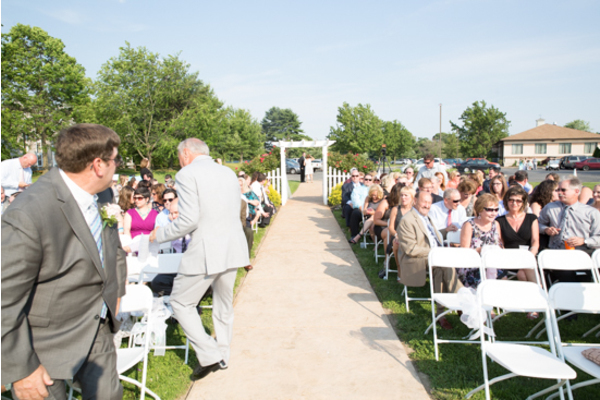 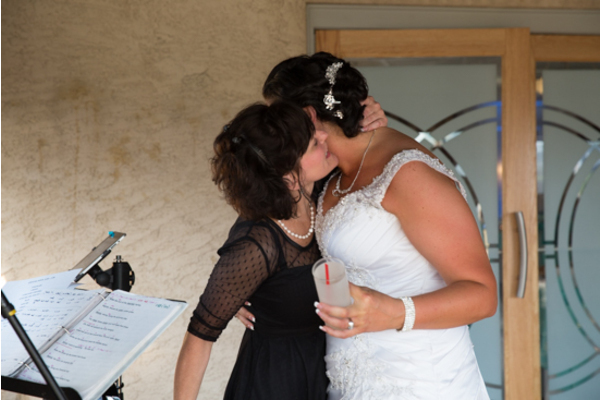 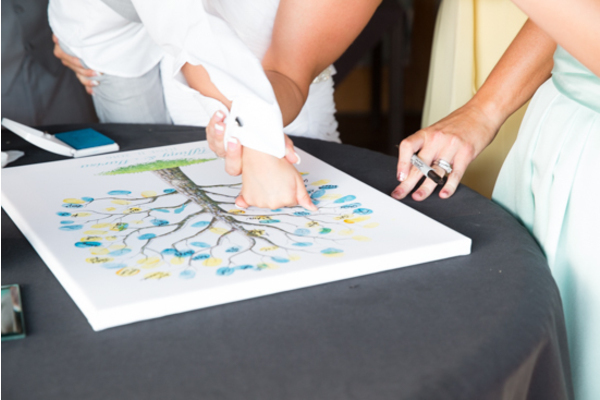 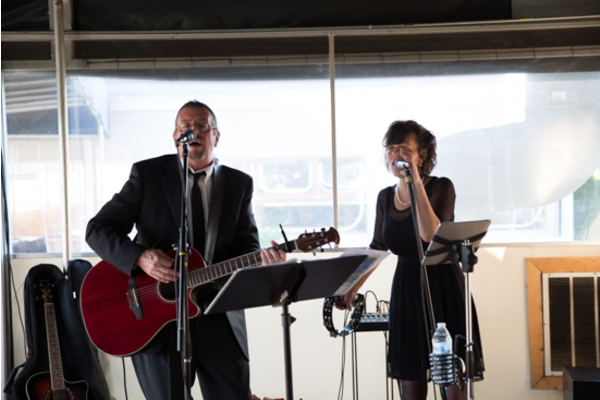 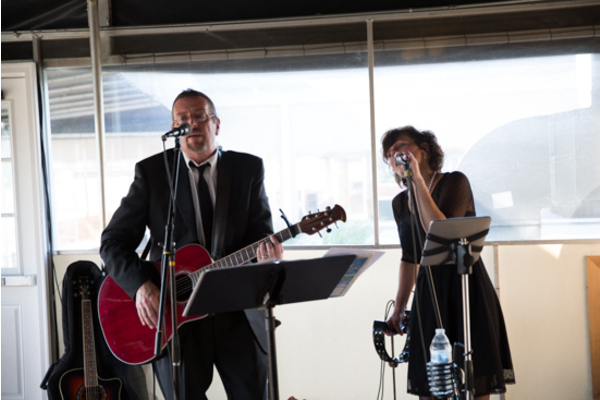 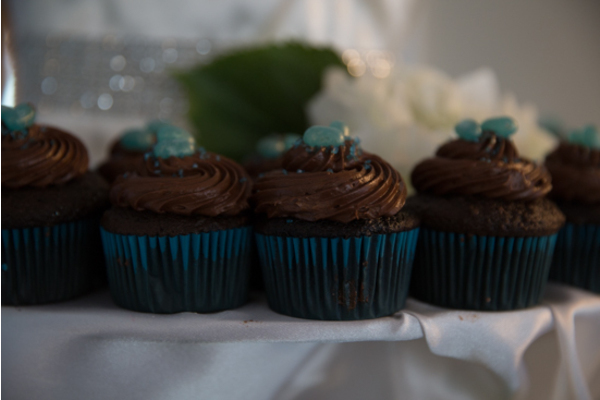 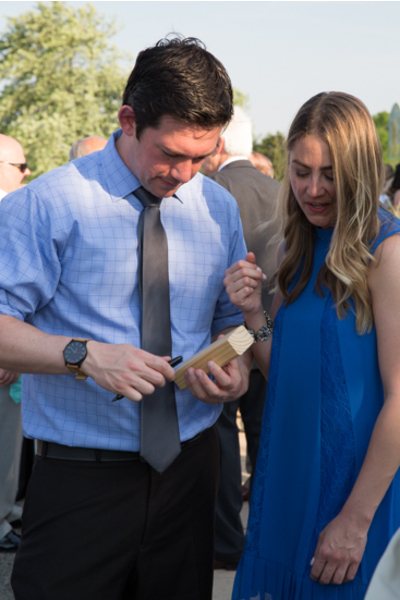 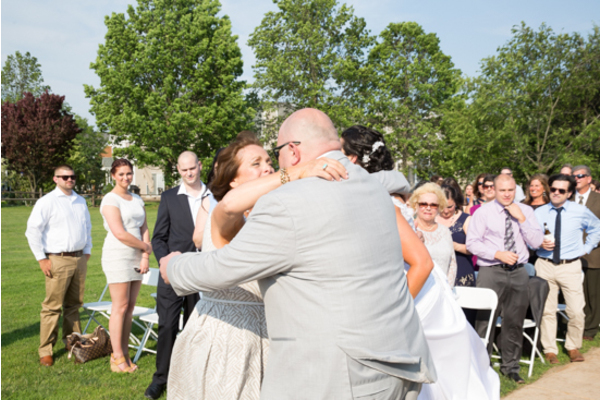 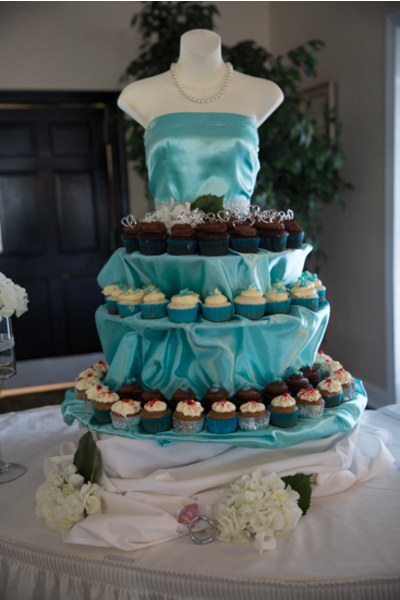 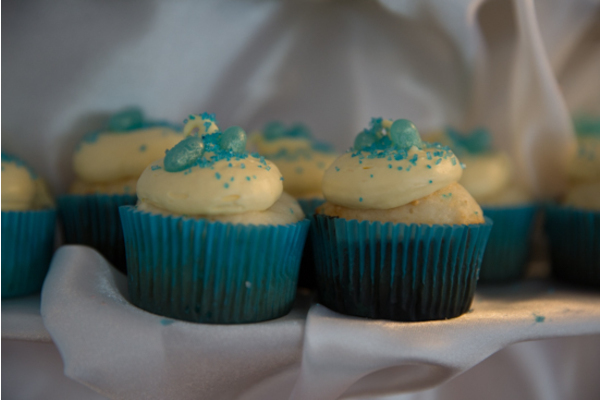 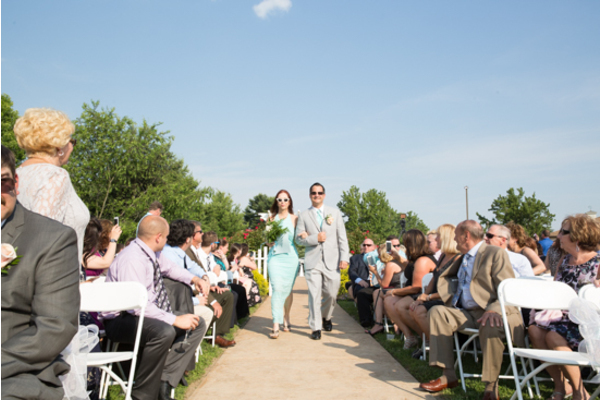 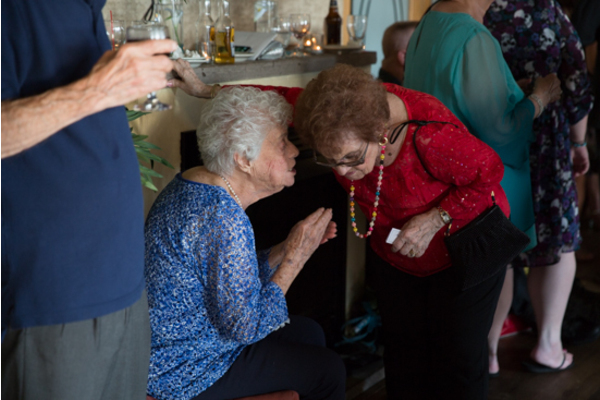 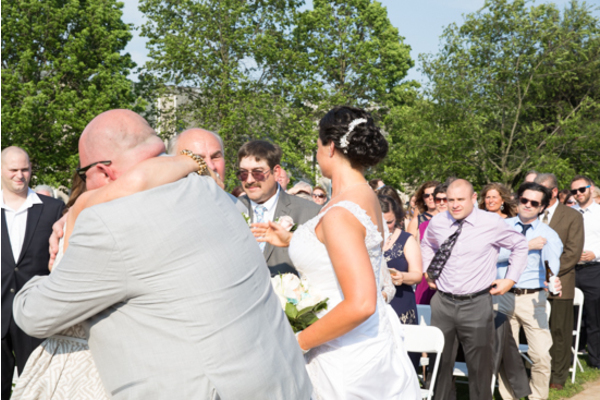 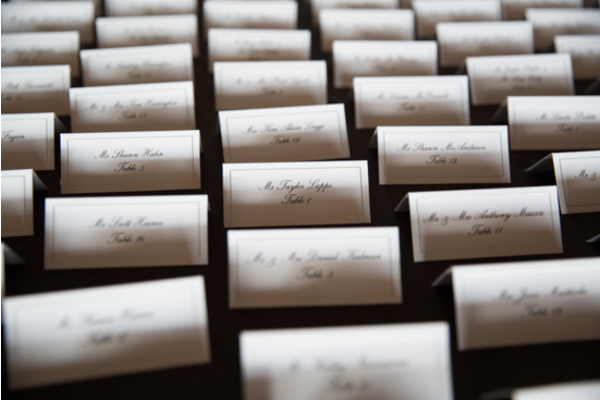 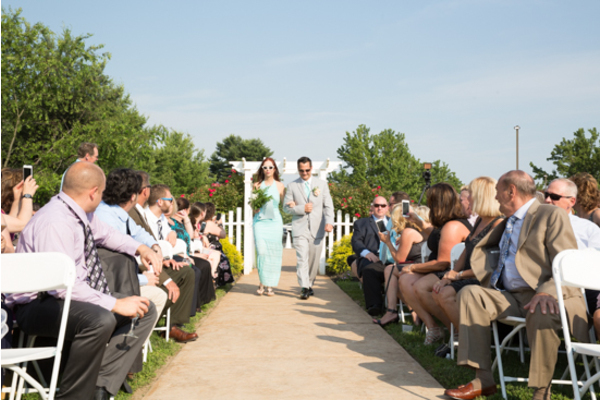 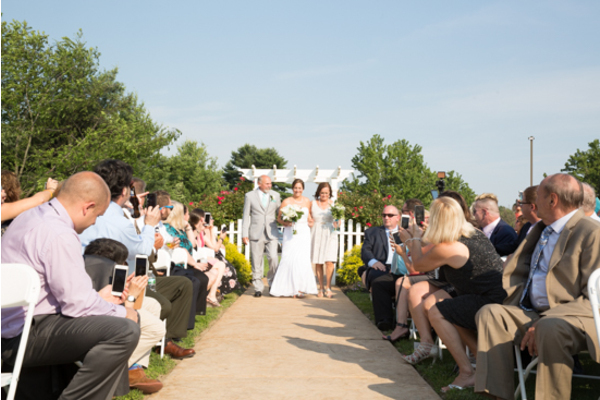 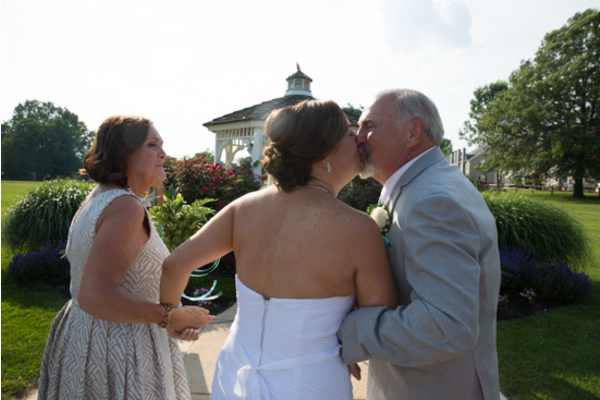 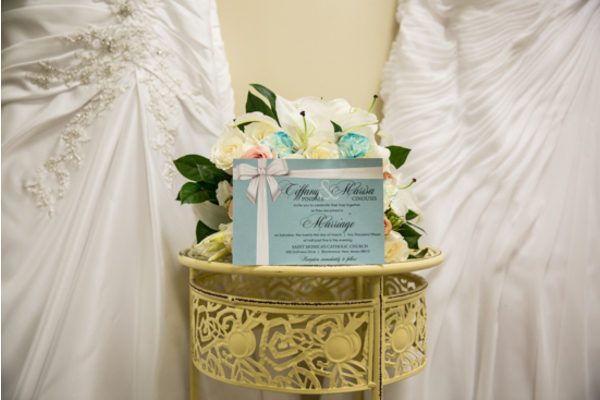 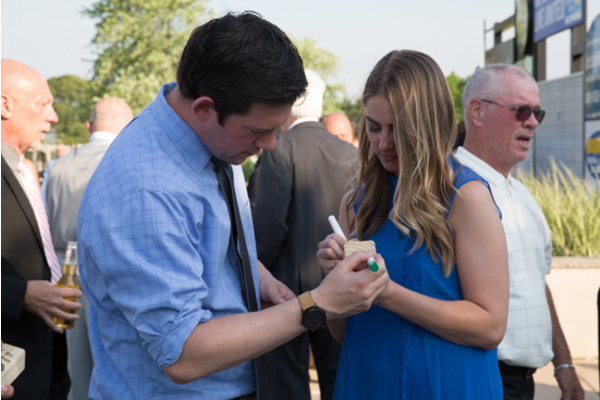 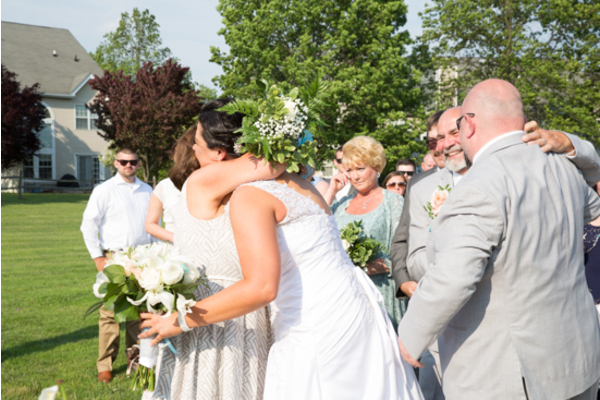 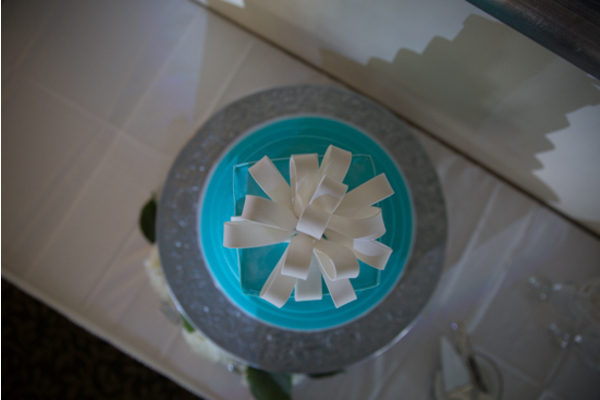 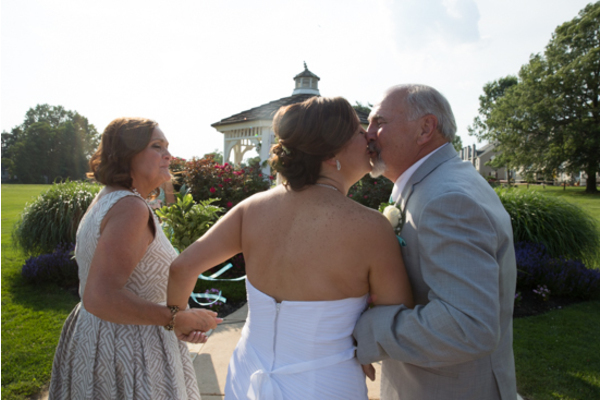 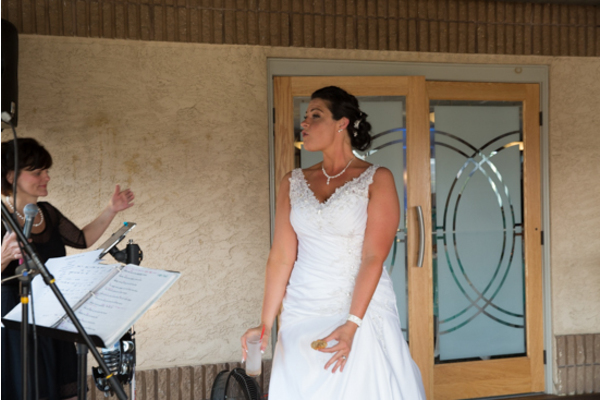 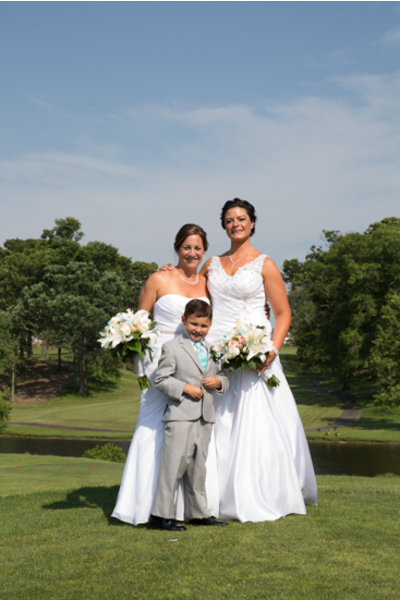 We were so honored to have been a part of their special day. 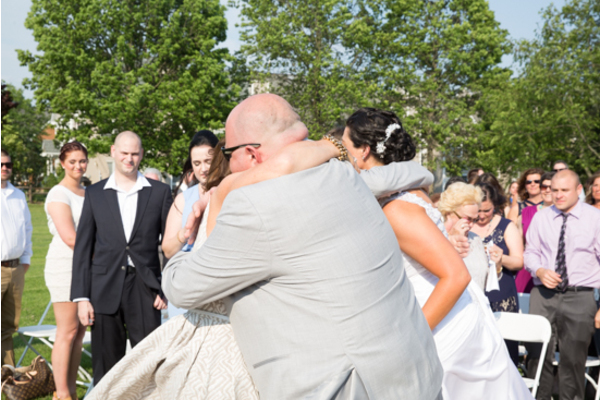 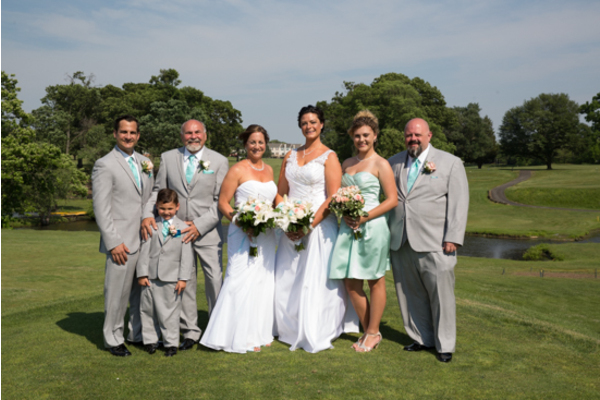 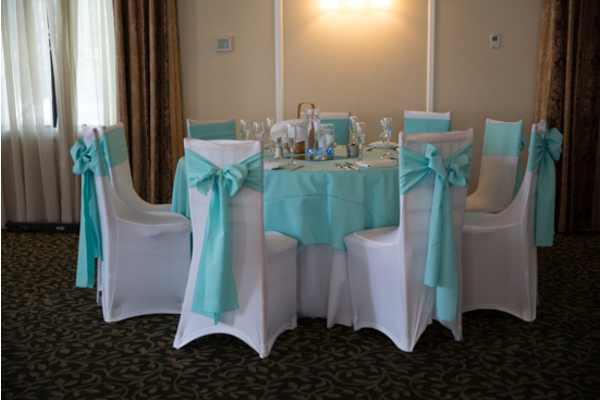 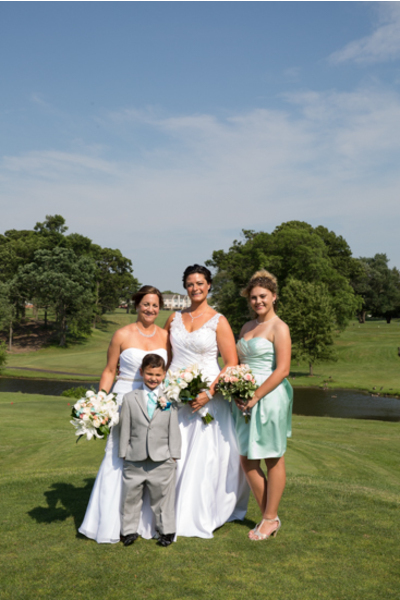 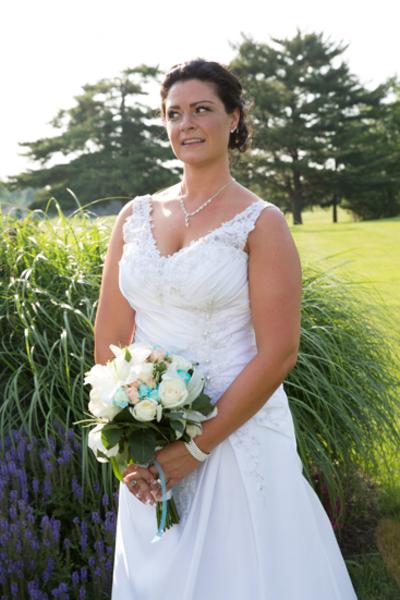 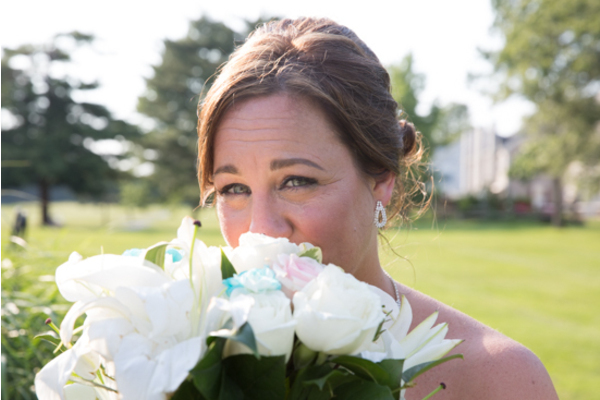 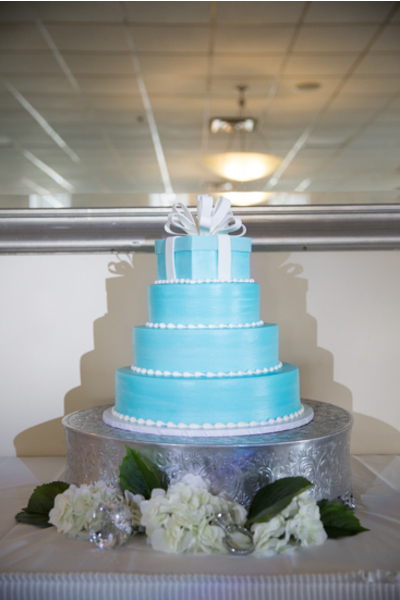 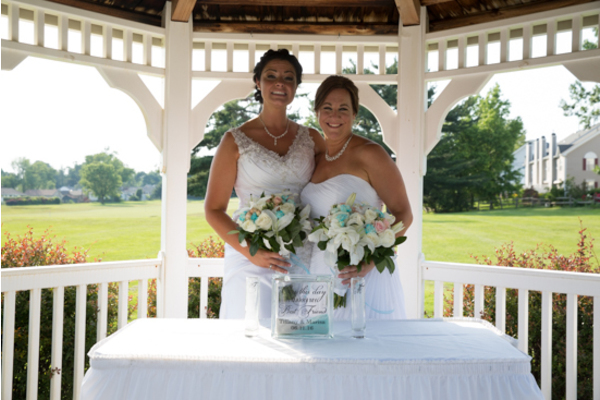 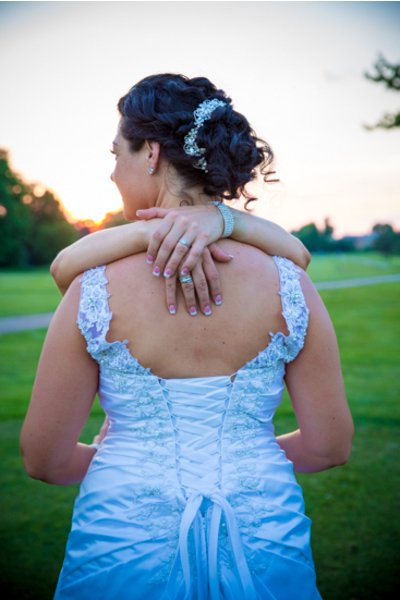 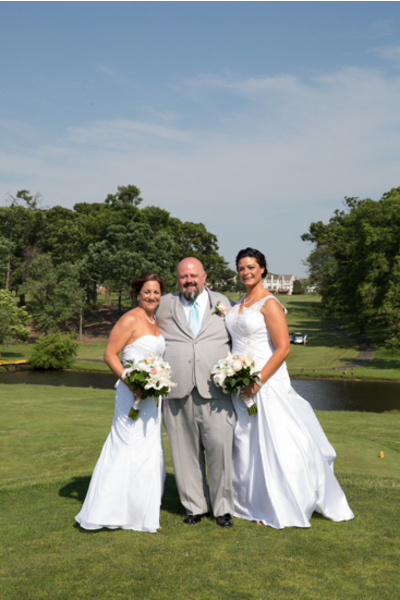 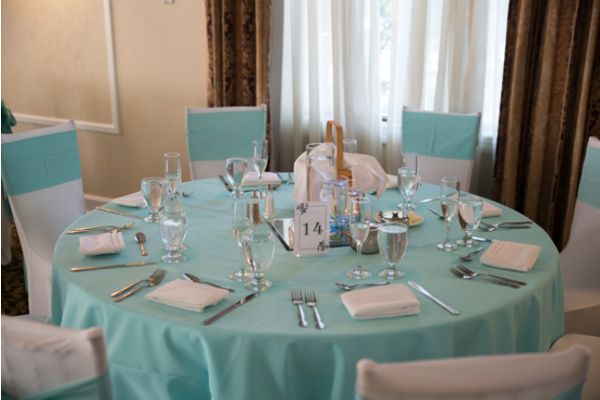 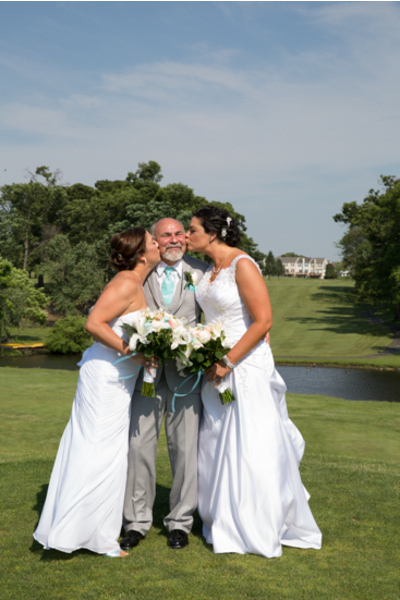 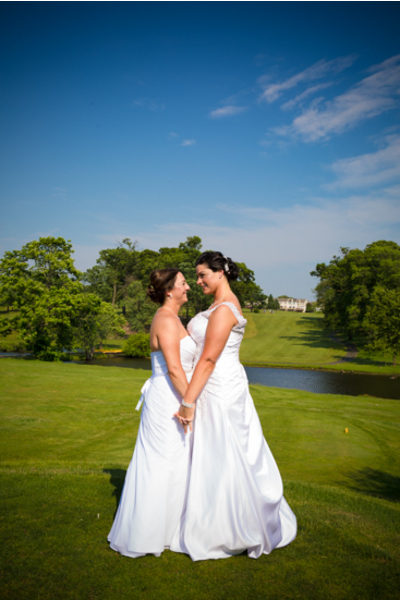 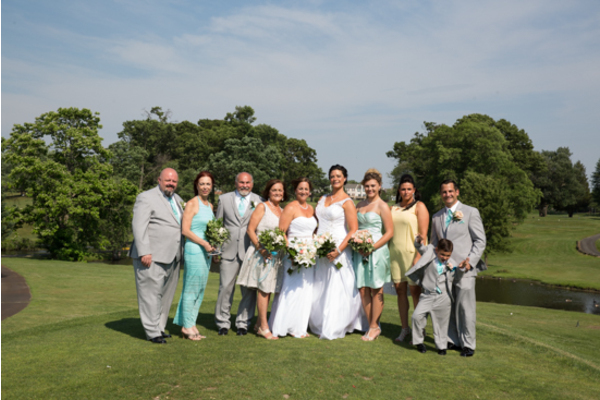 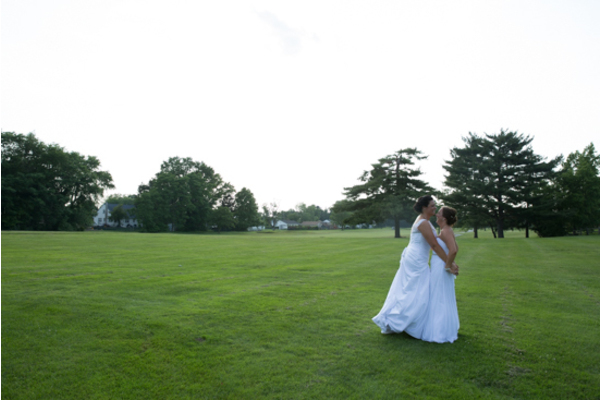 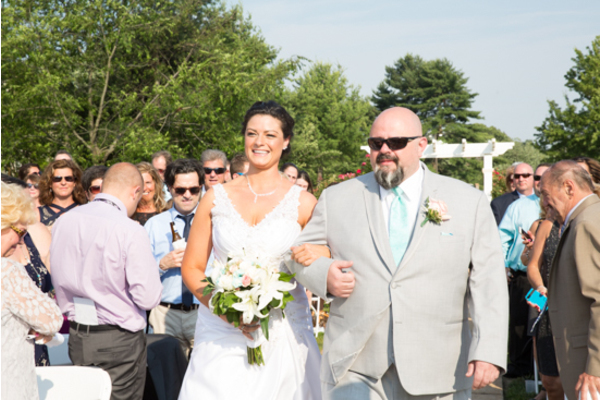 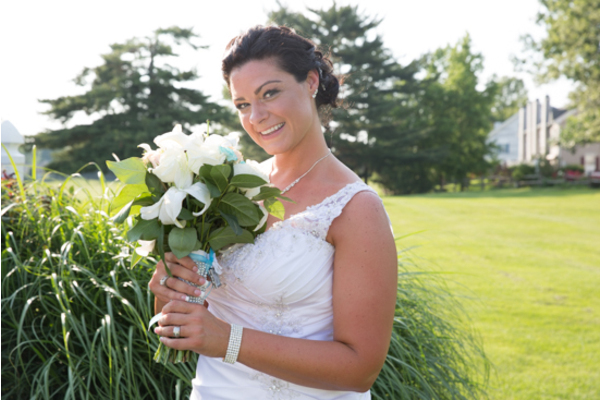 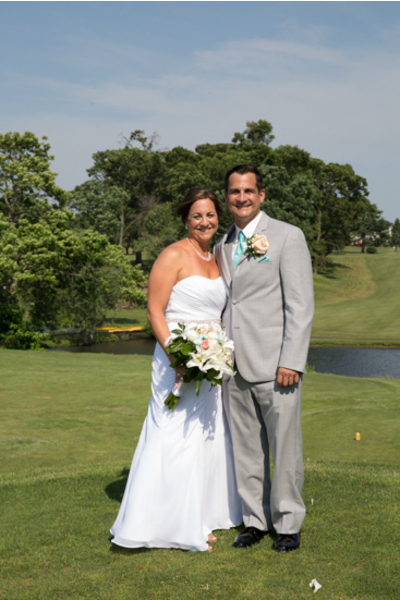 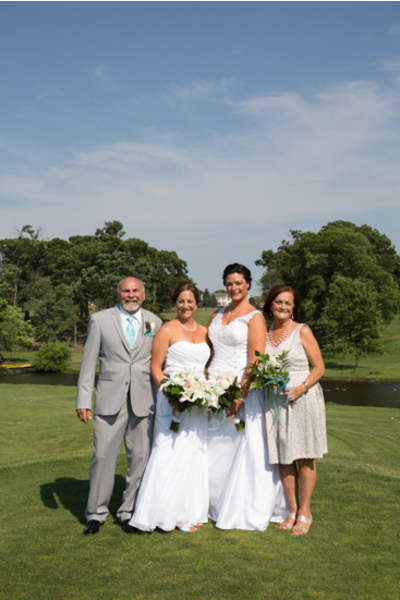 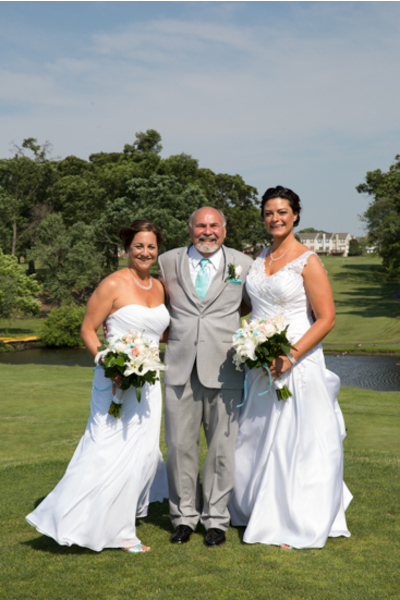 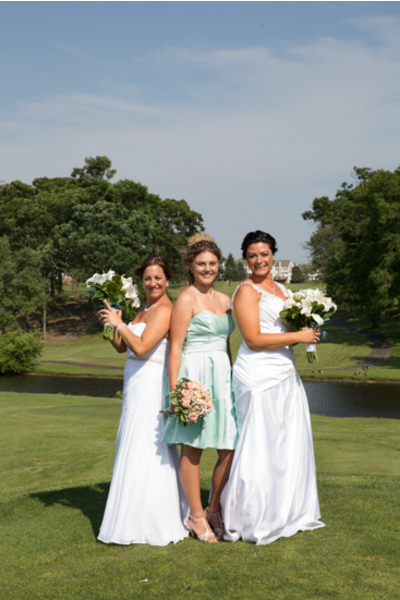 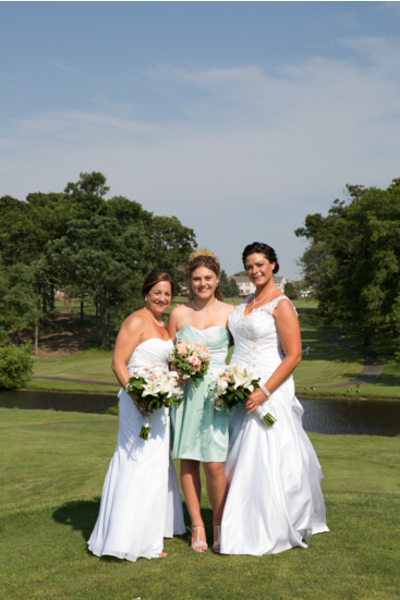 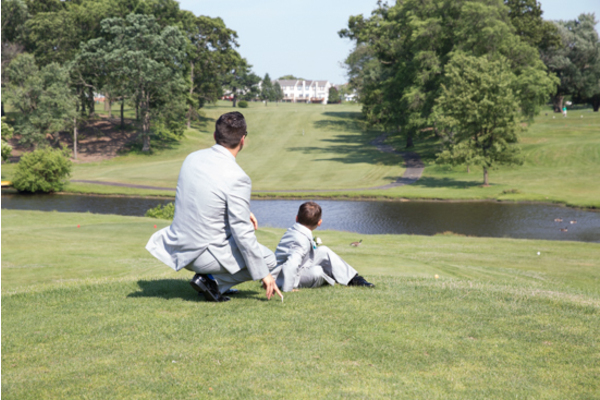 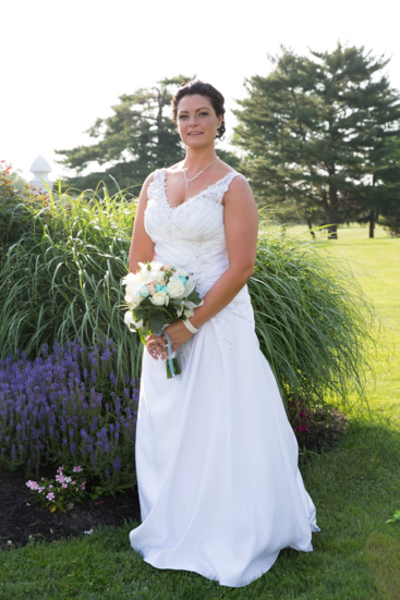 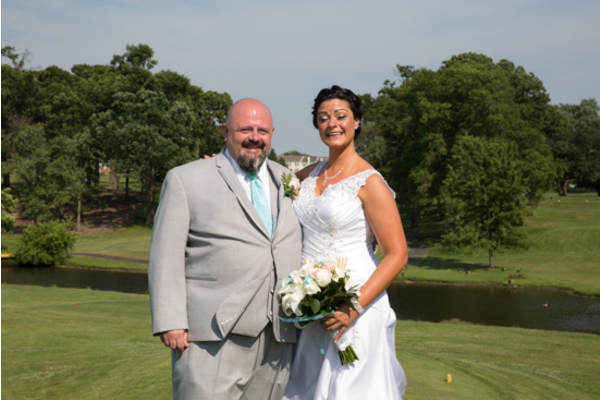 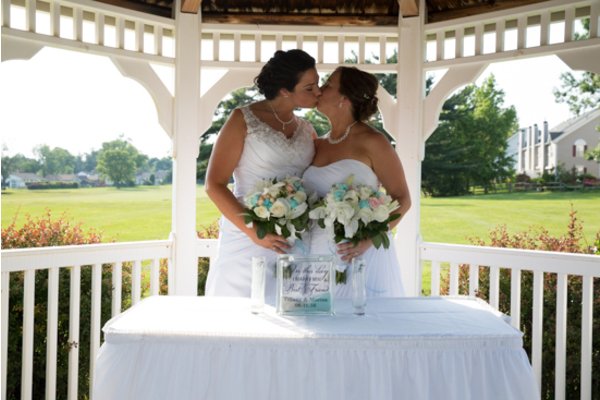 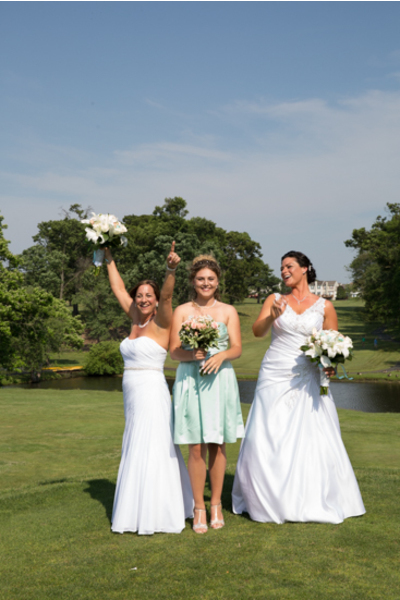 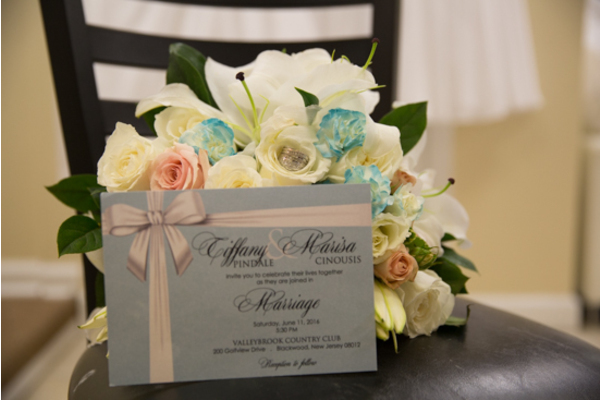 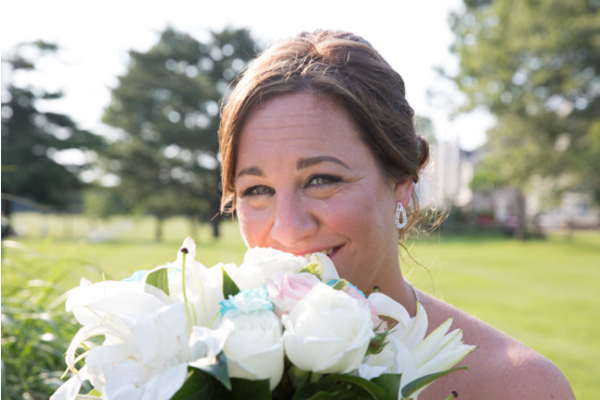 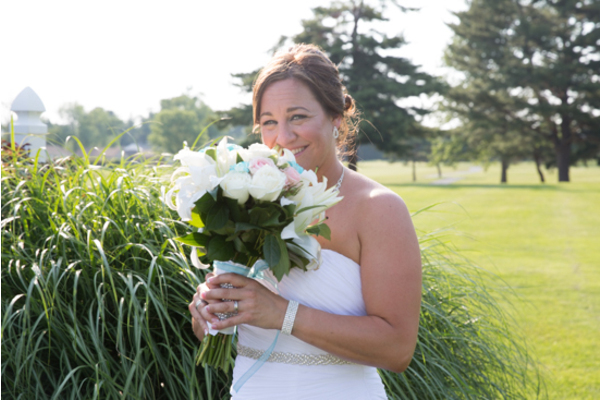 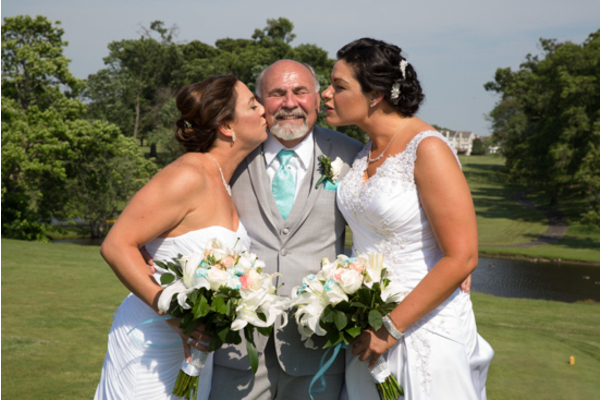 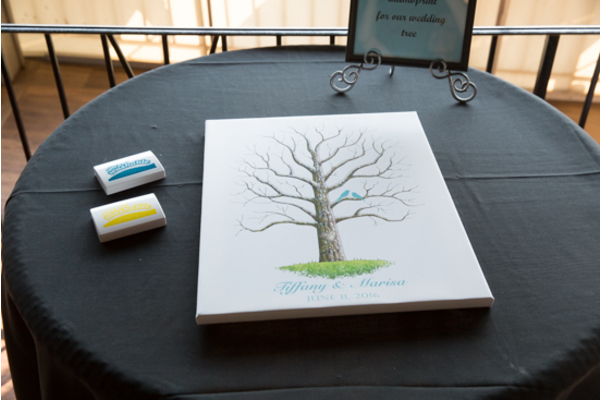 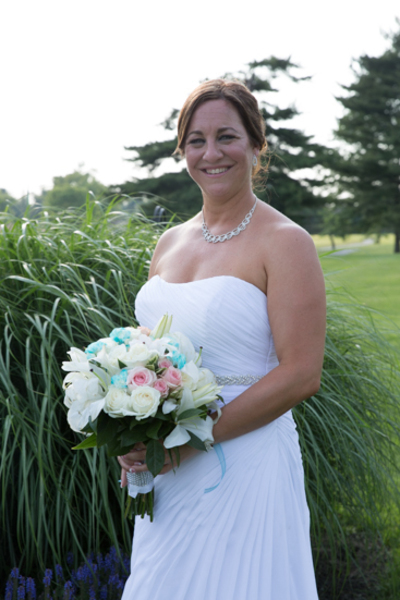 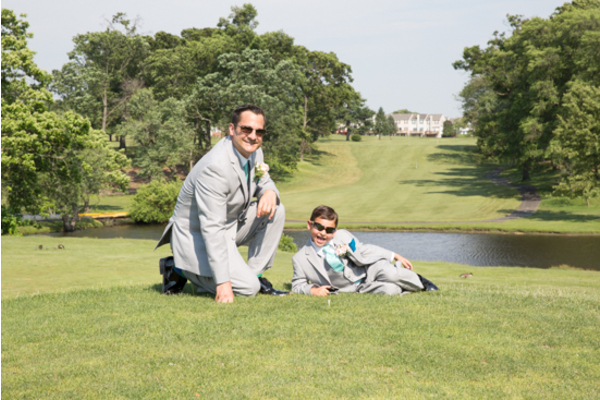 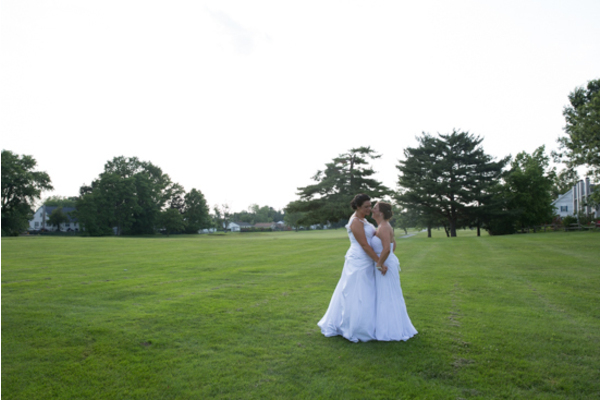 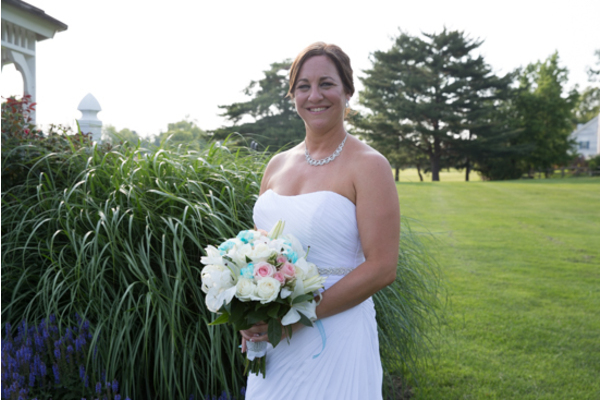 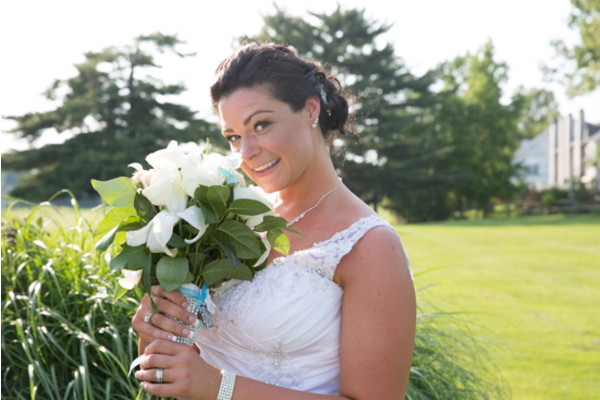 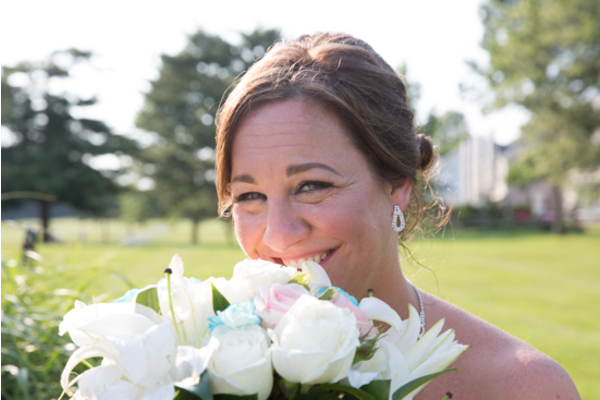 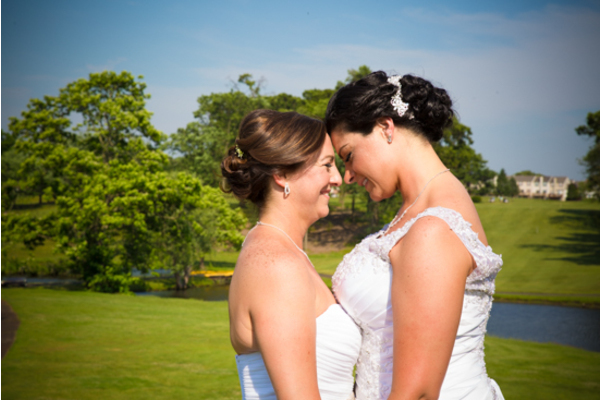 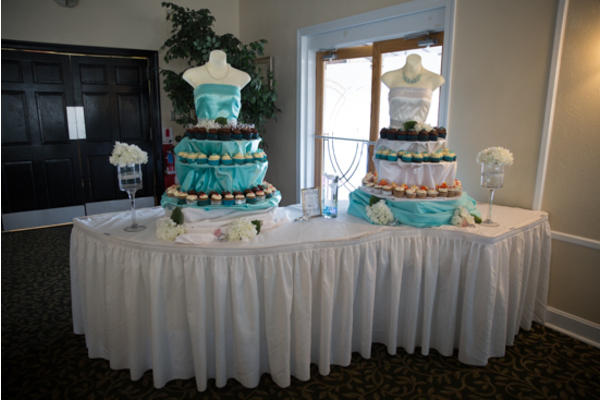 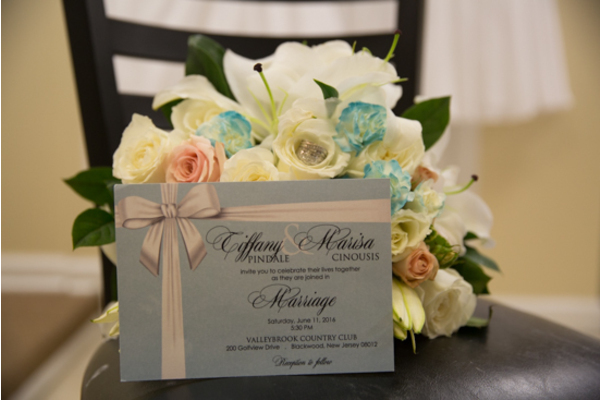 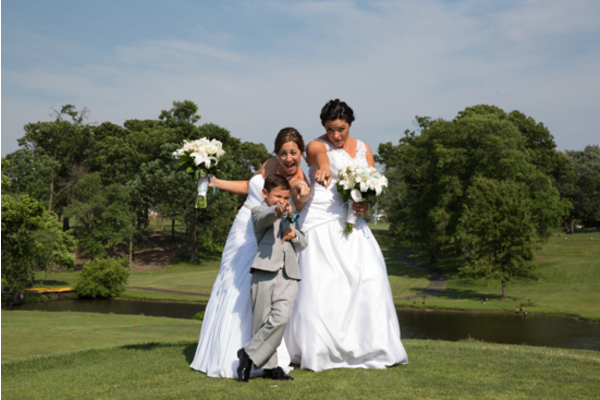 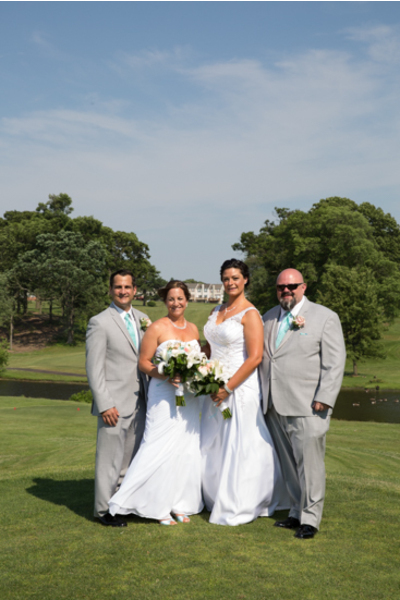 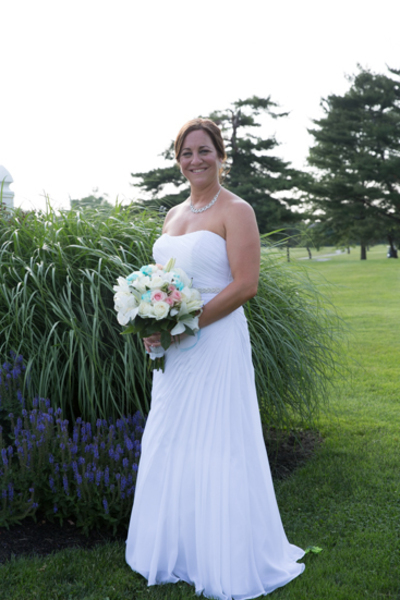 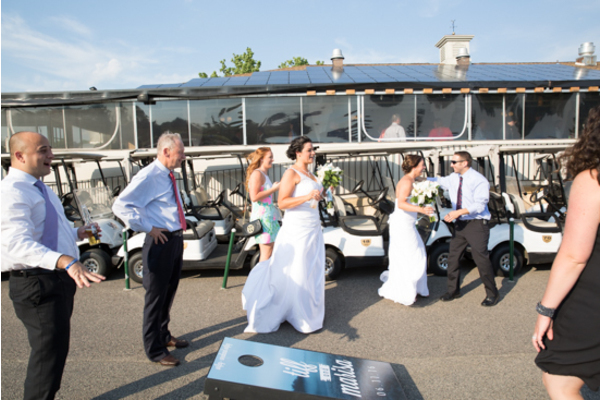 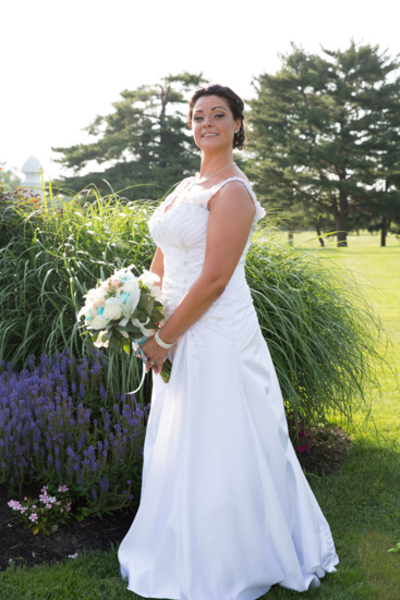 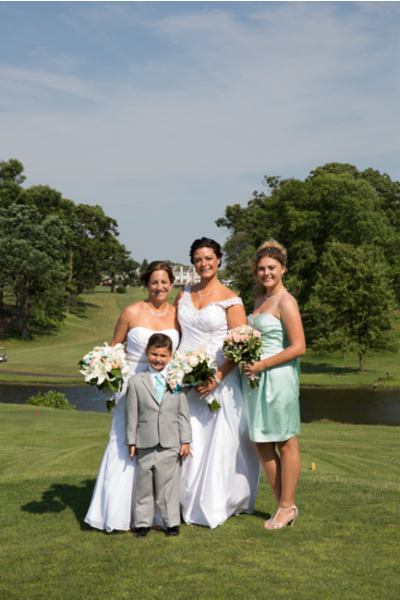 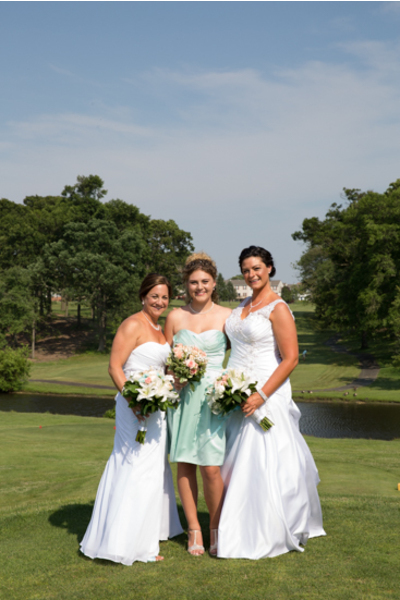 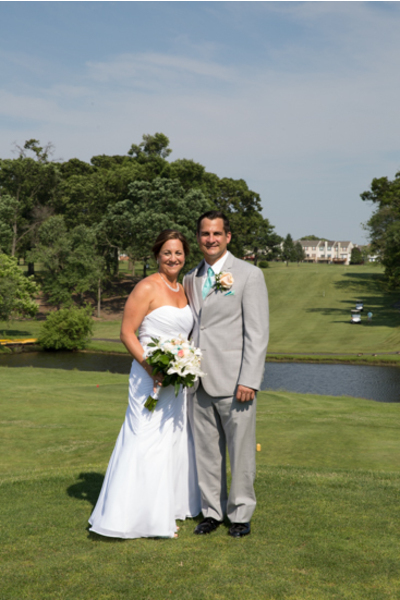 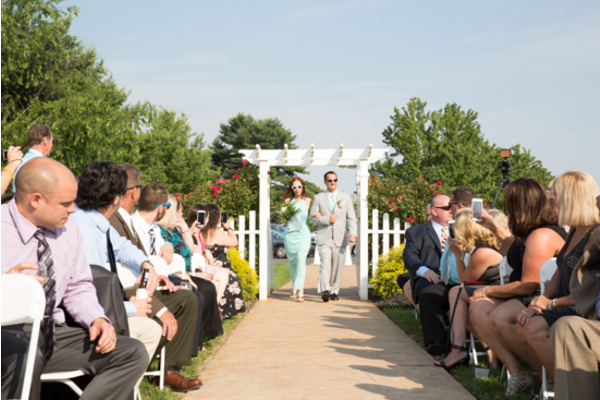 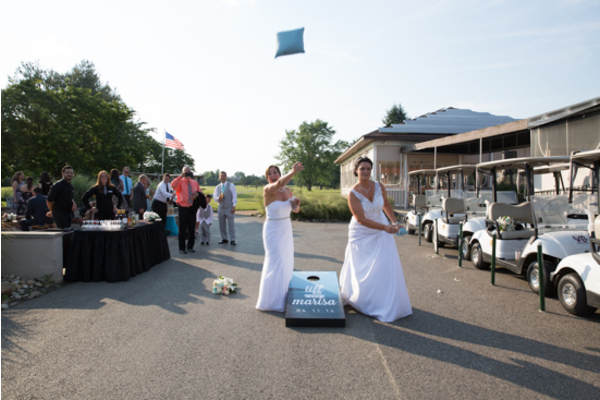 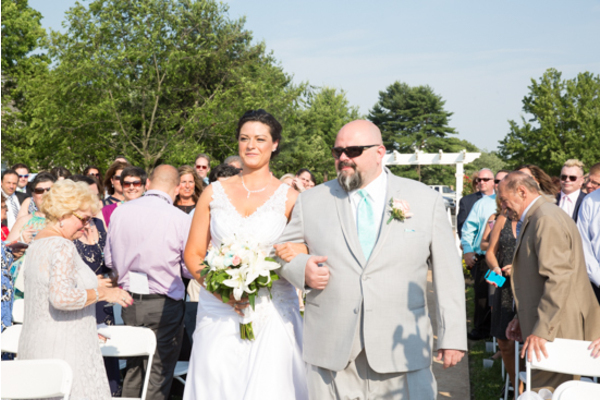 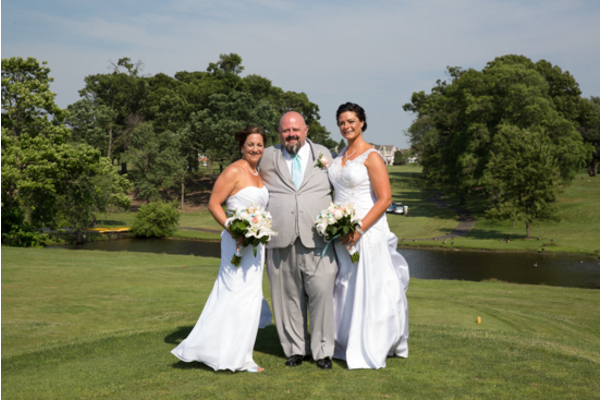 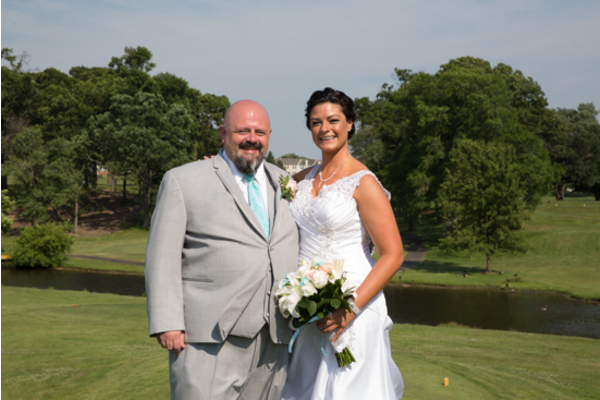 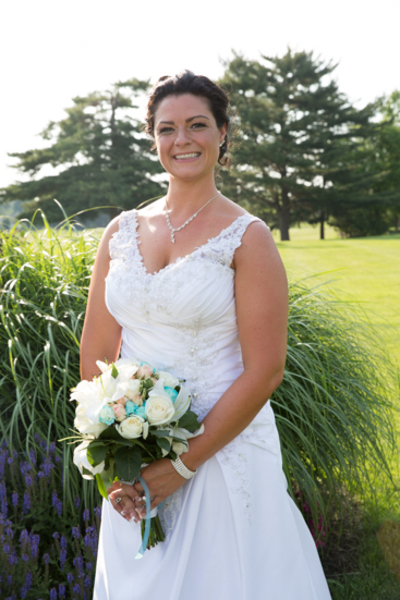 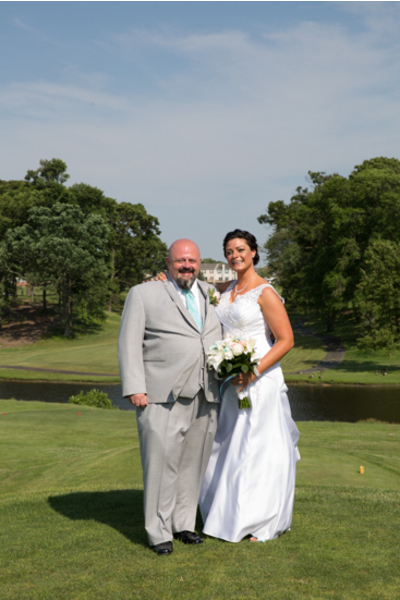 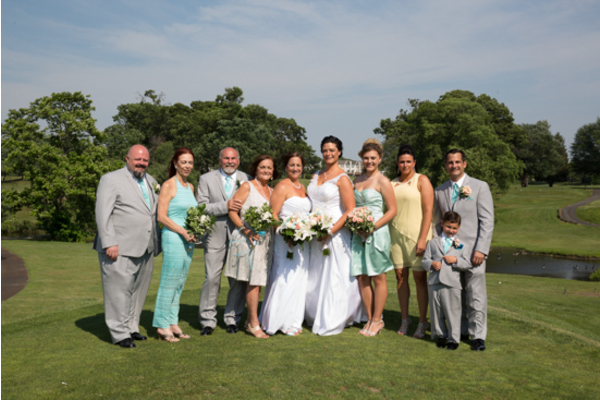 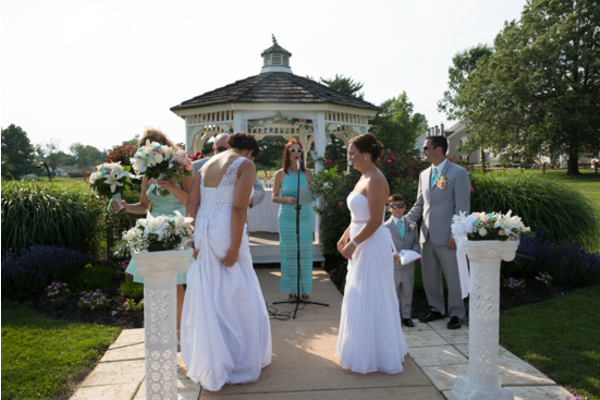 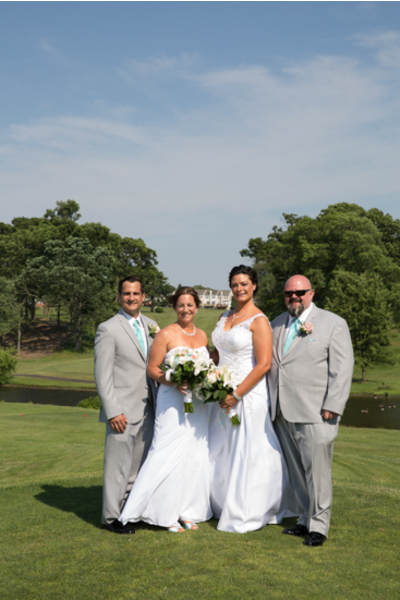 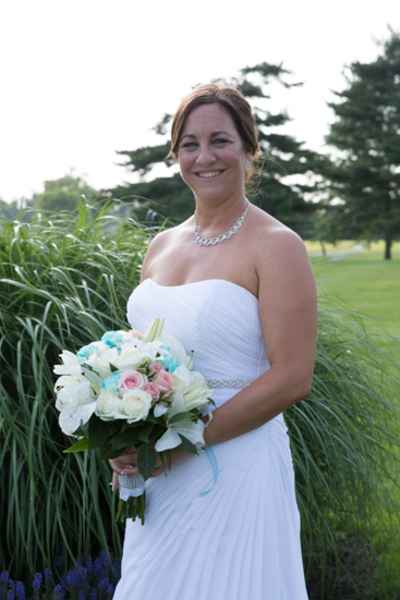 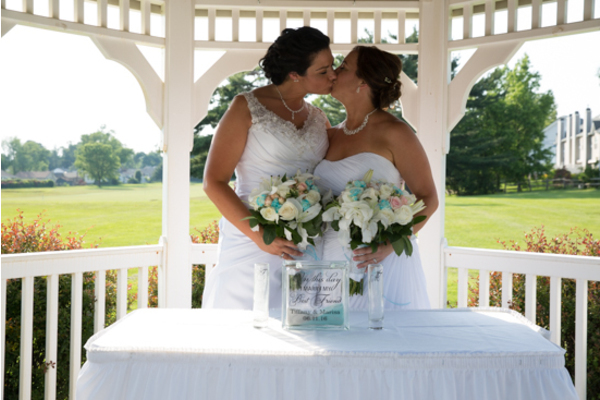 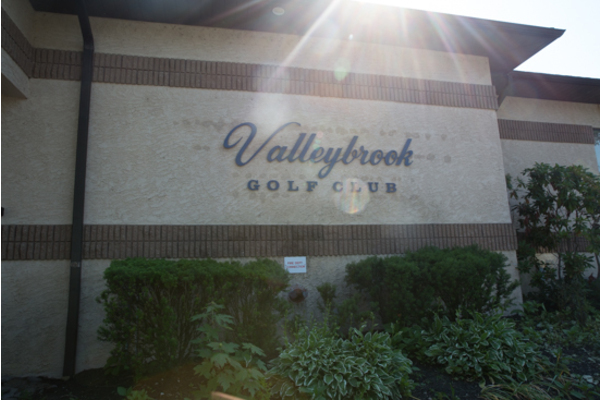 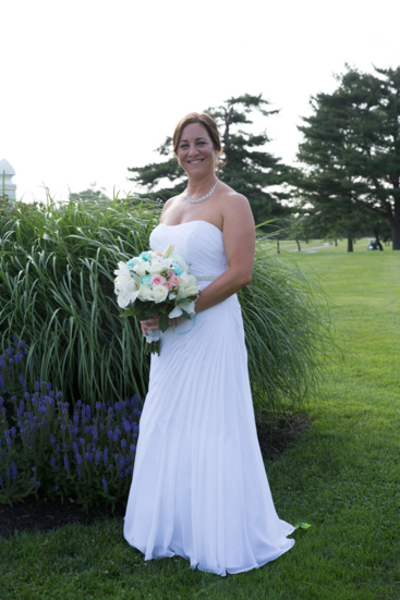 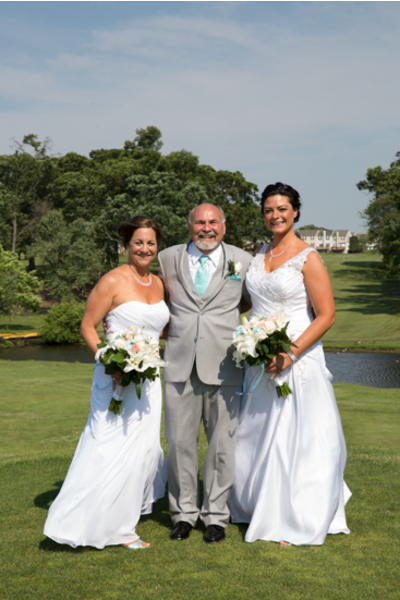 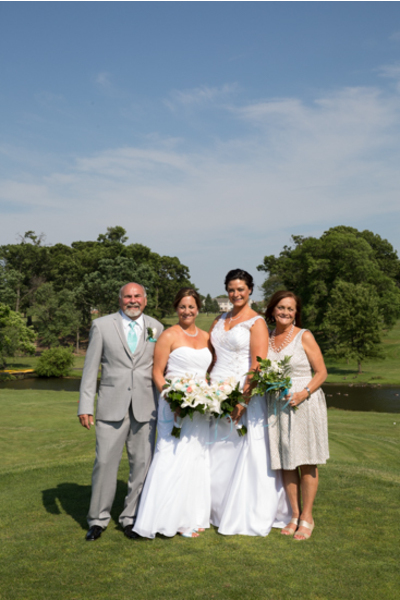 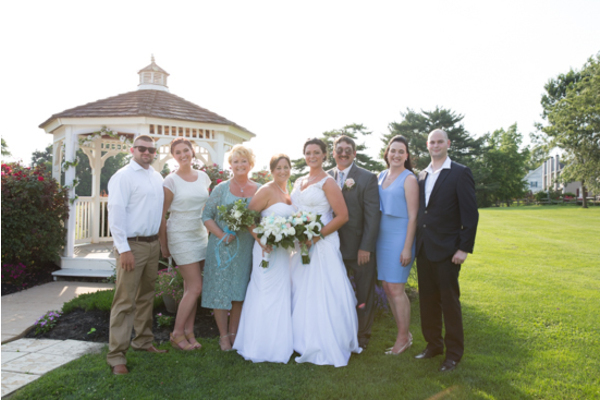 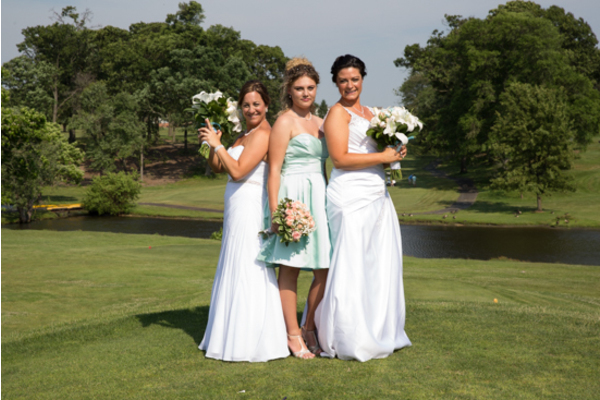 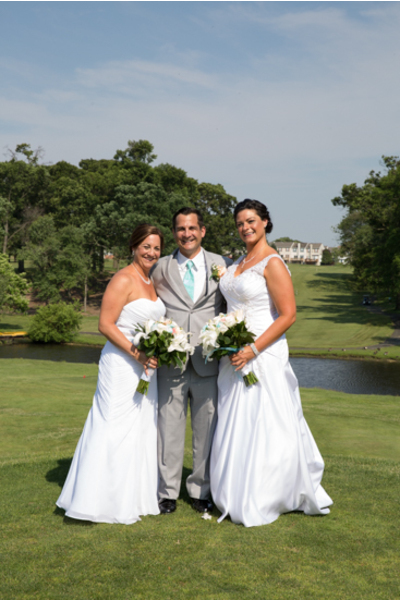 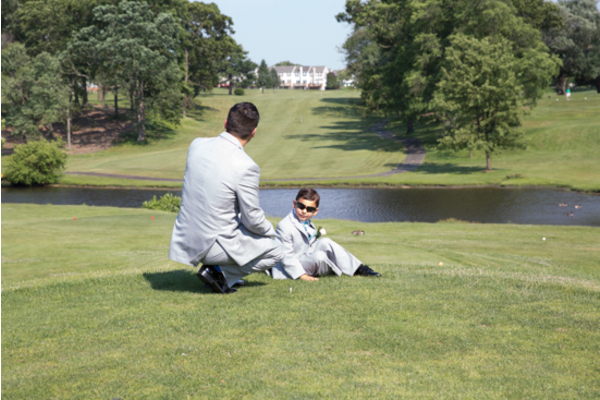 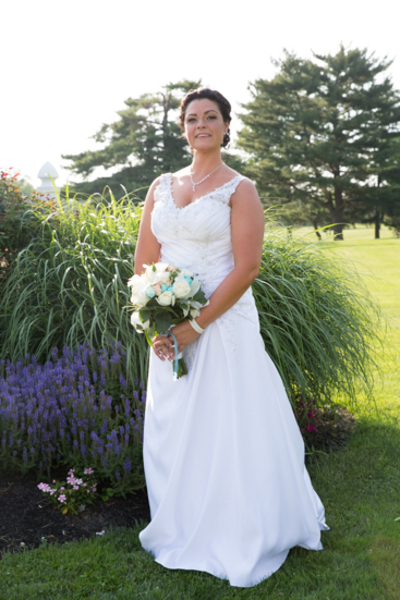 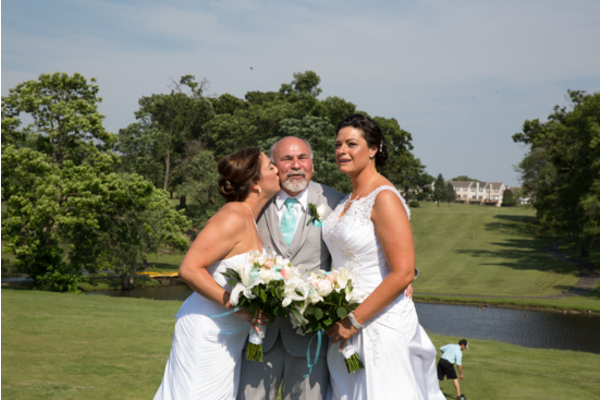 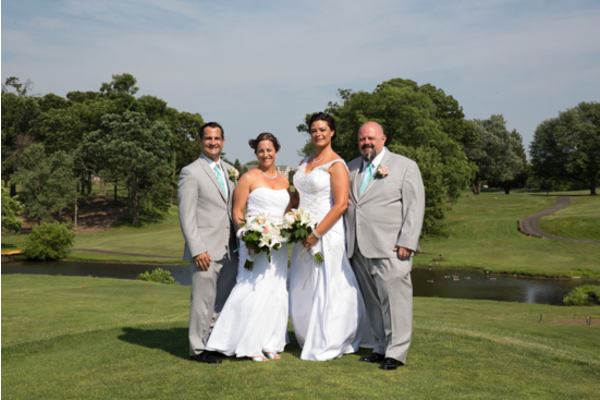 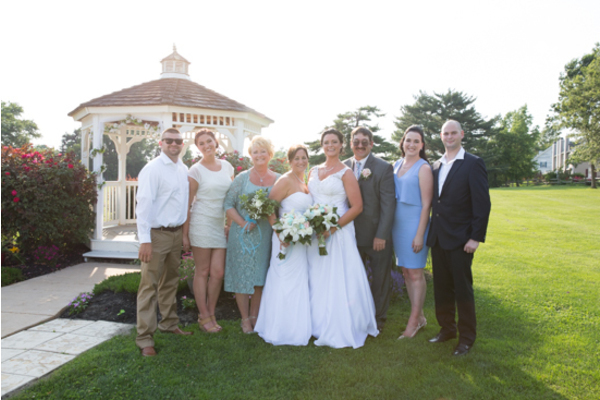 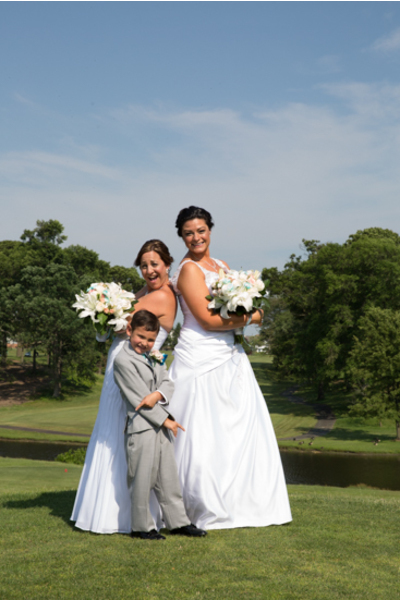 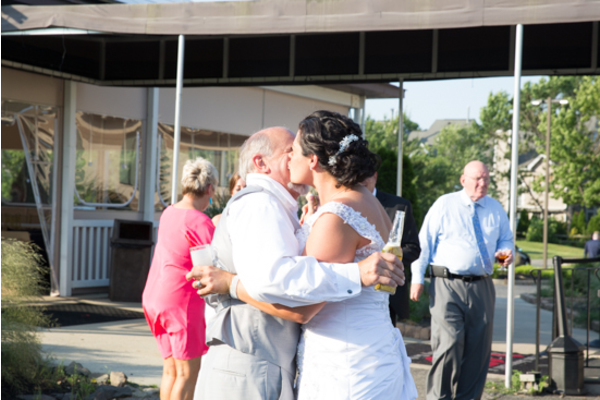 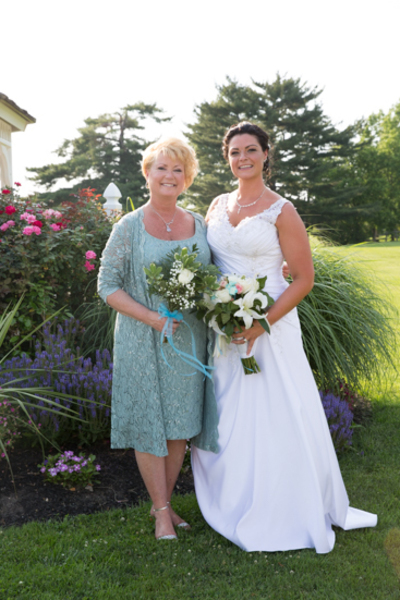 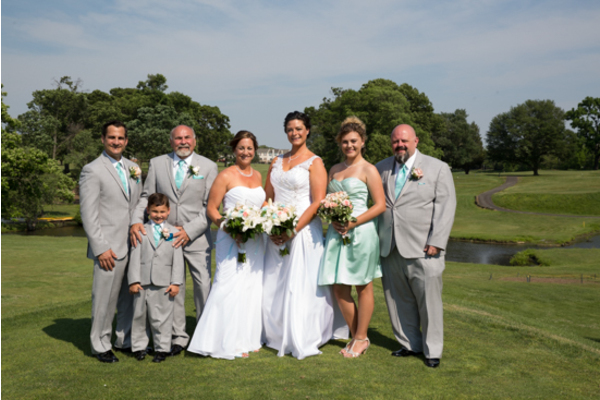 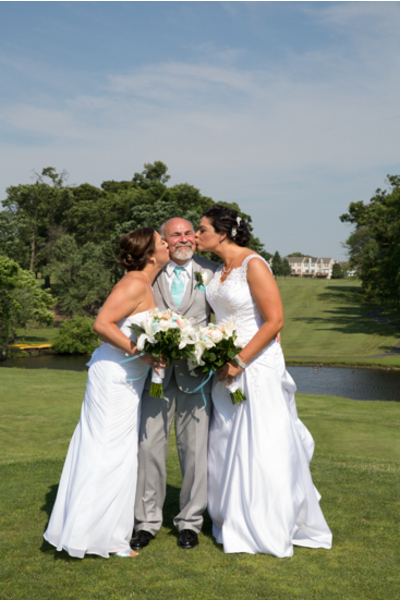 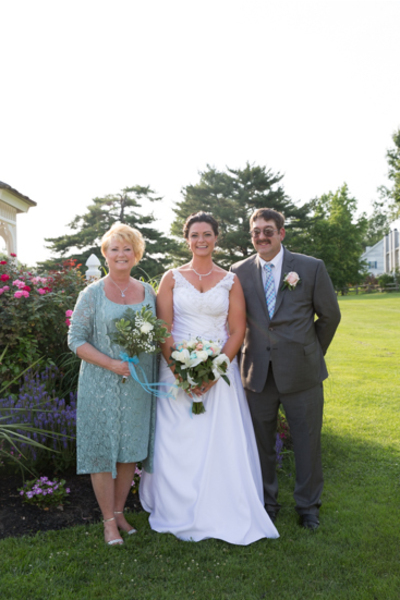 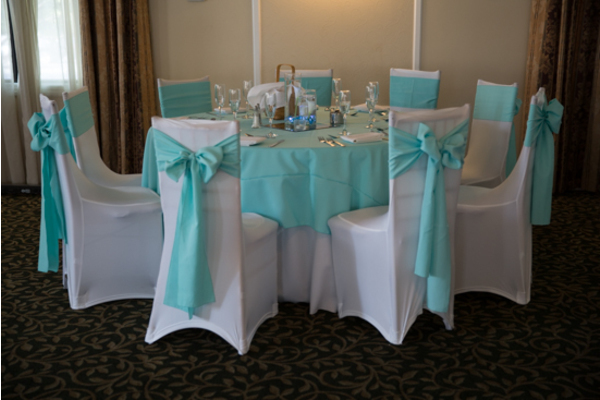 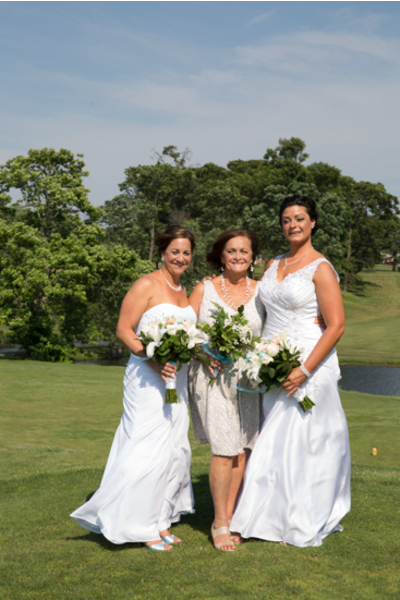 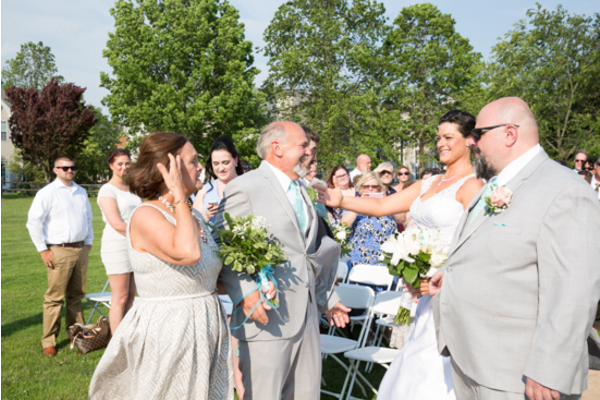 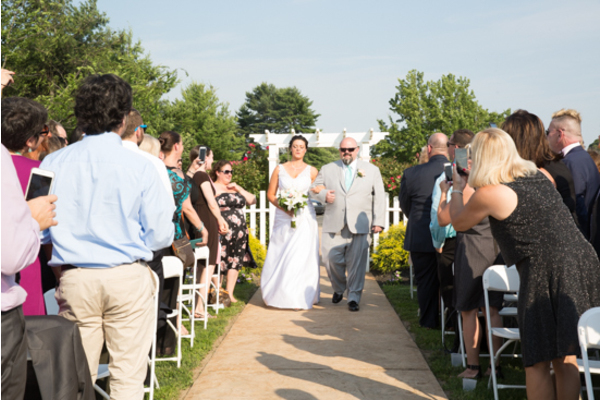 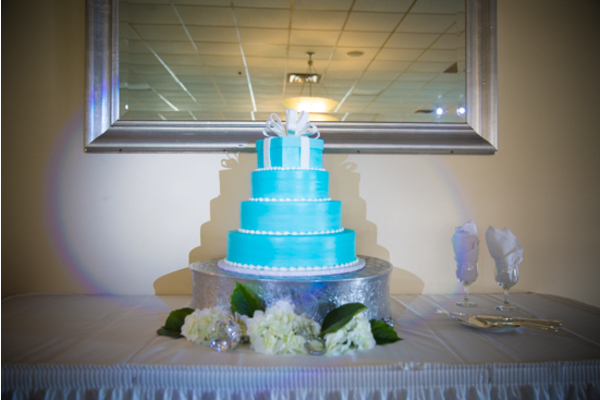 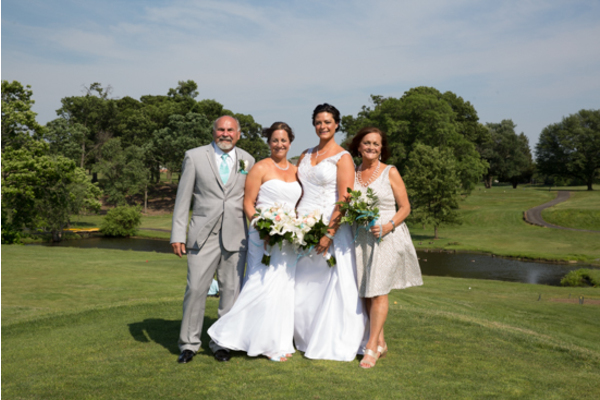 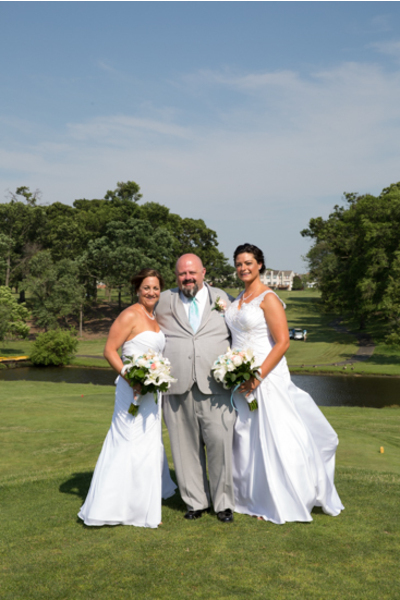 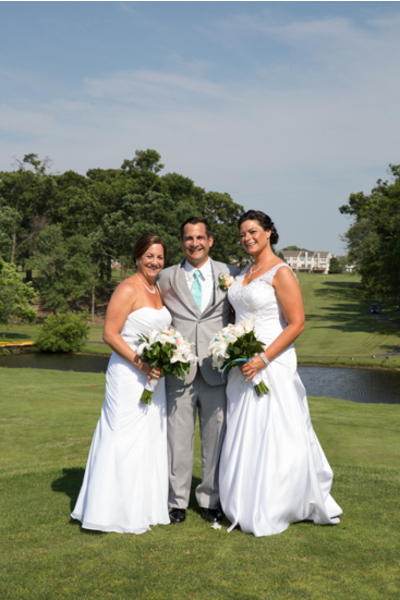 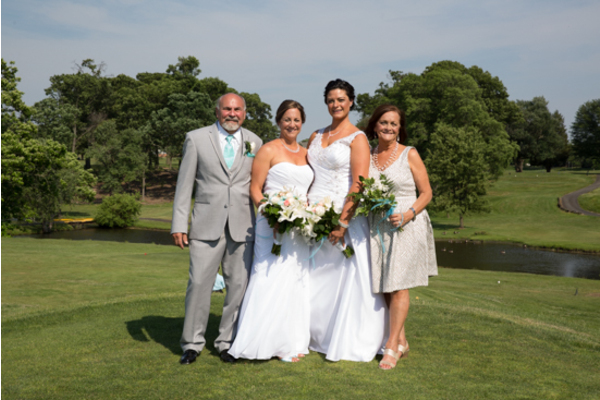 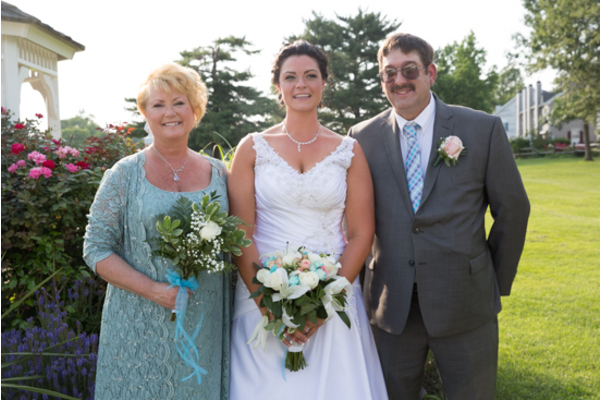 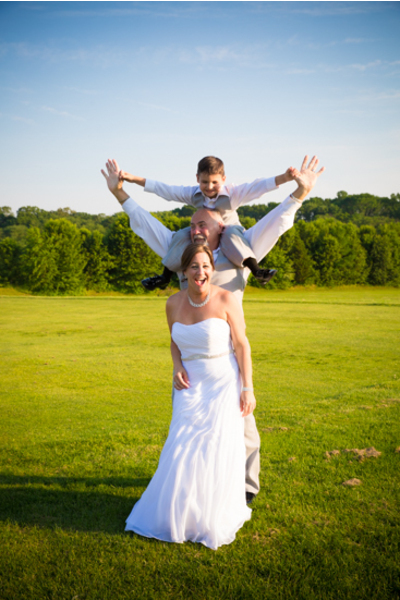 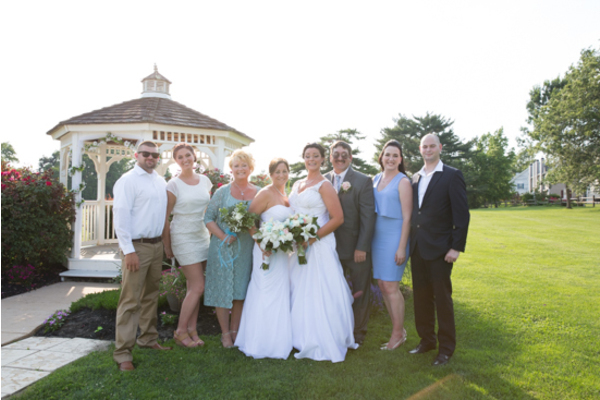 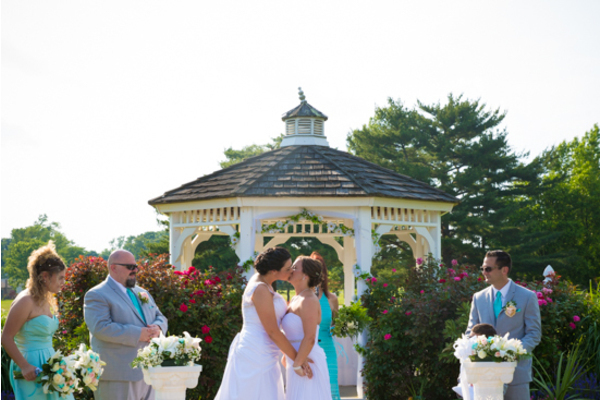 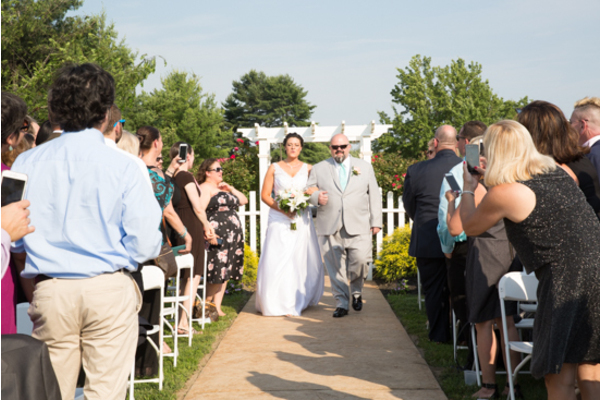 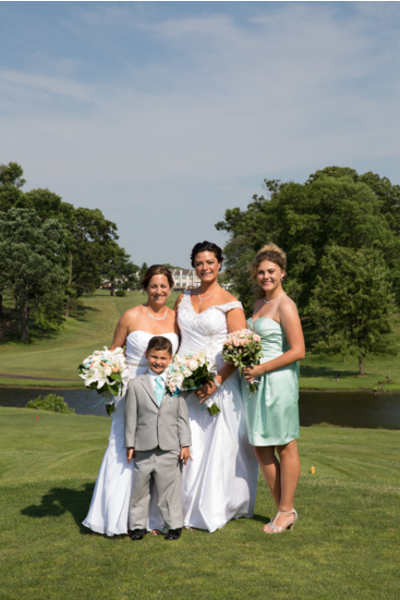 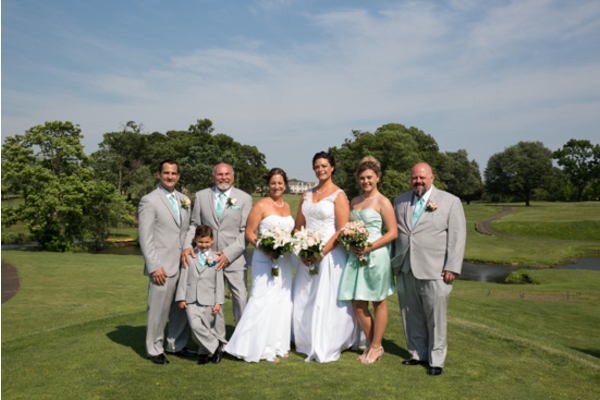 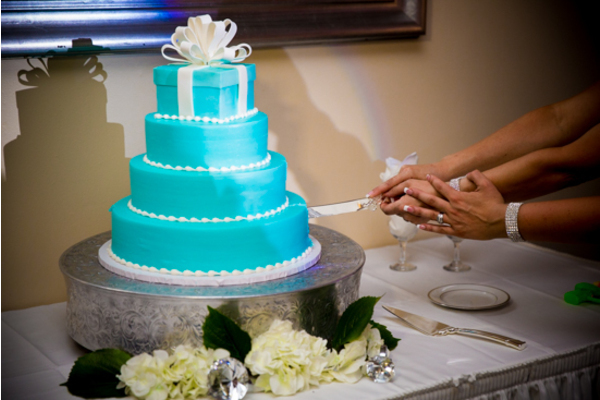 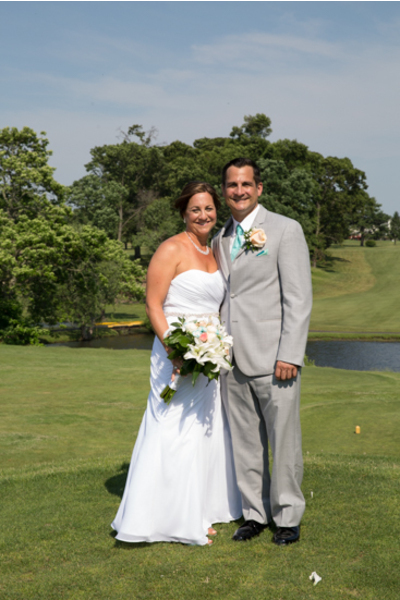 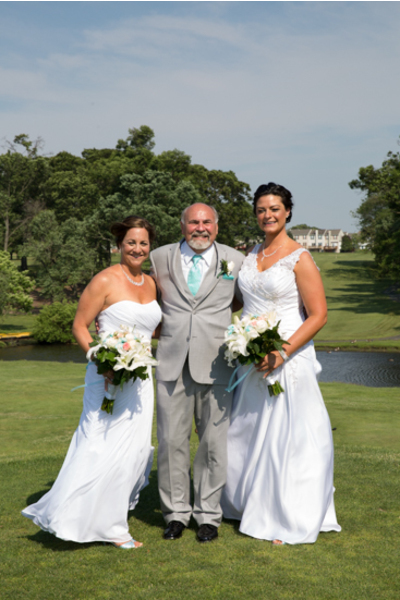 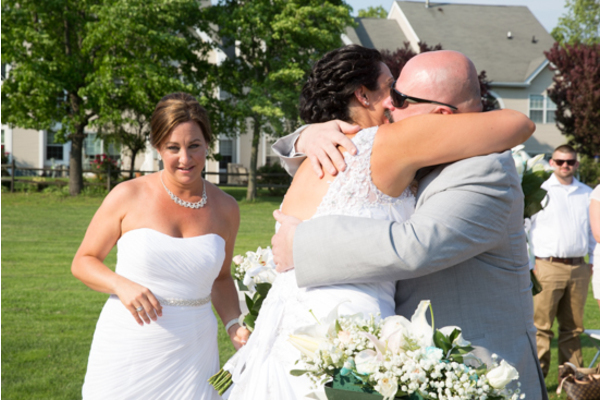 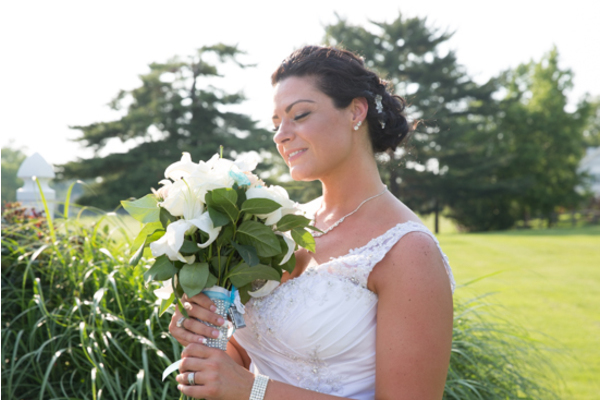 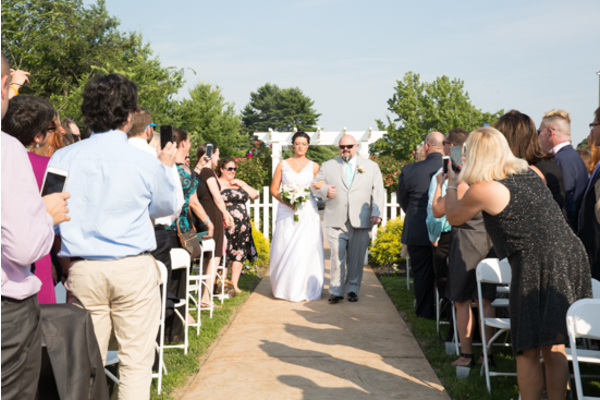 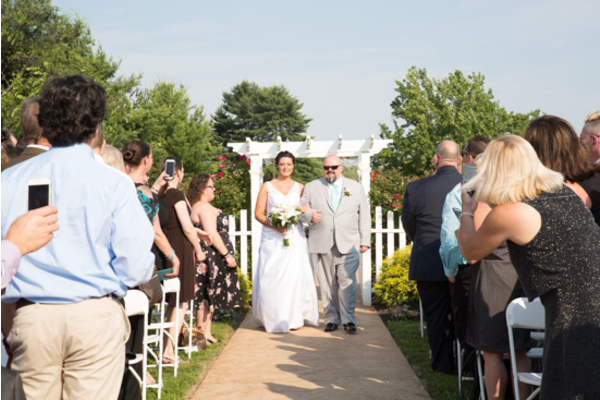 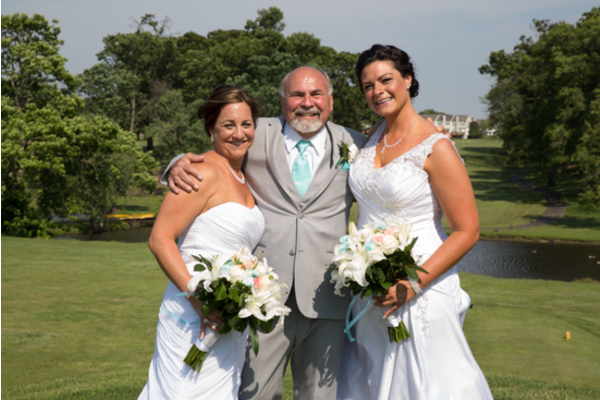 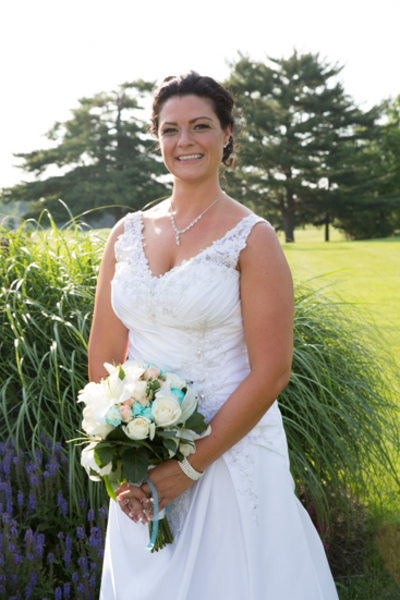 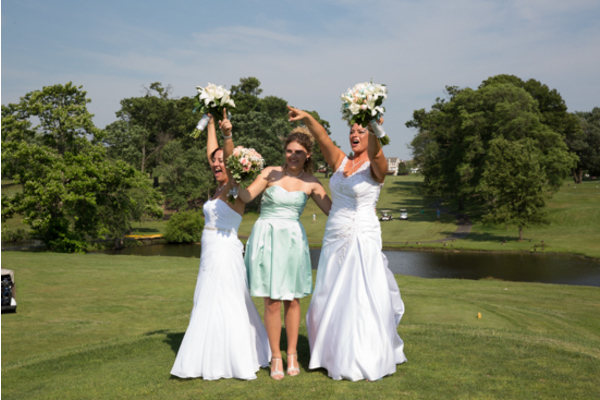 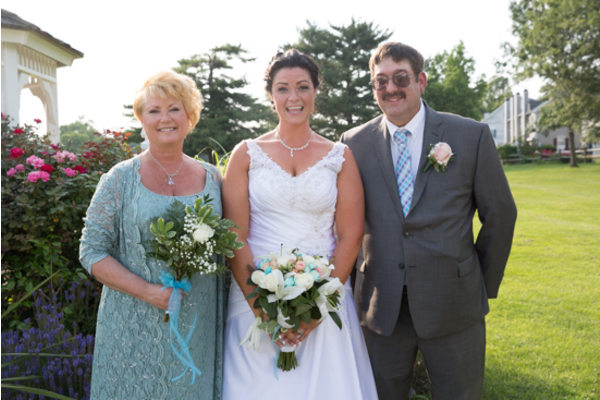 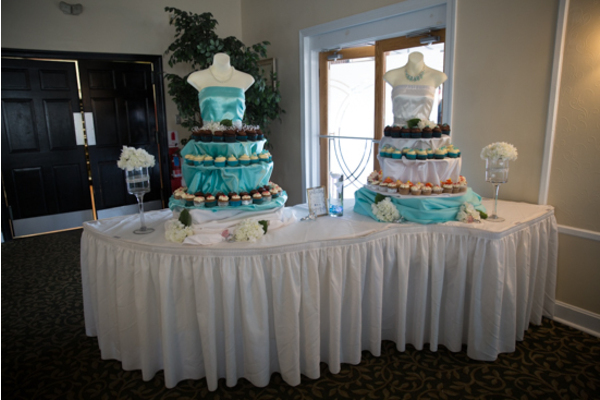 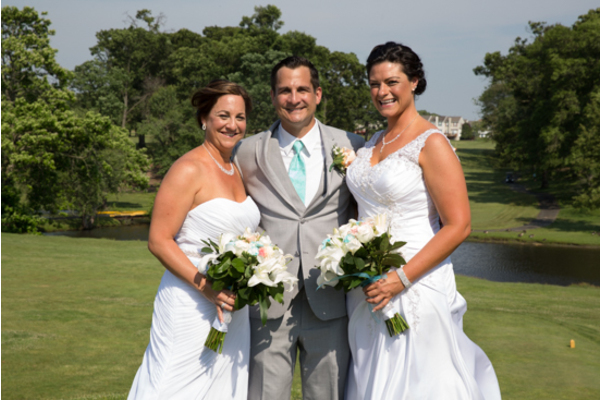 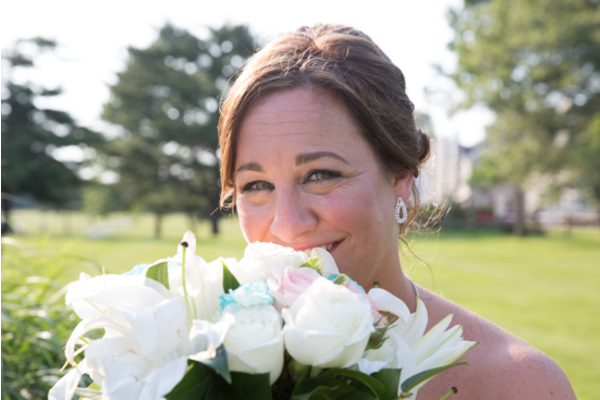 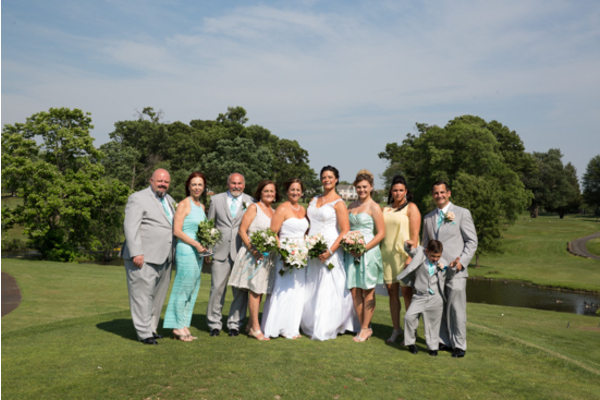 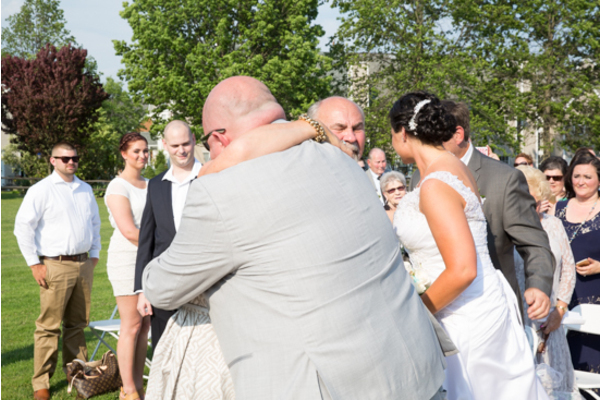 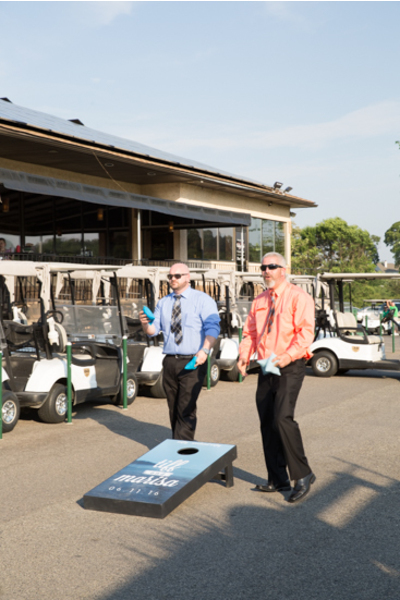 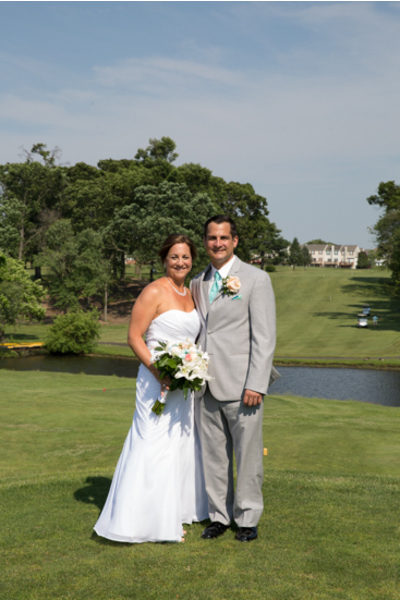 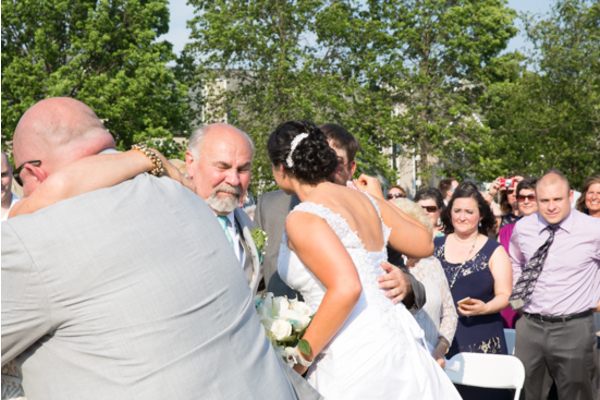 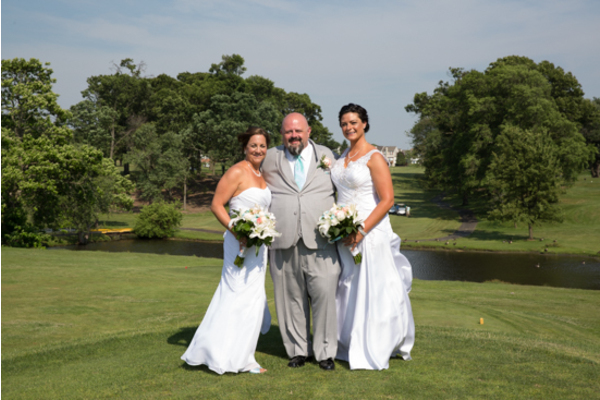 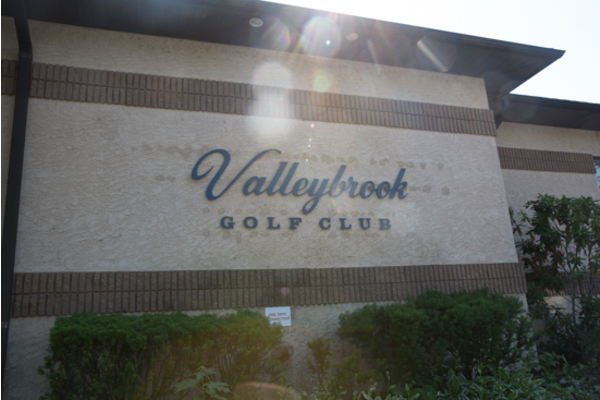 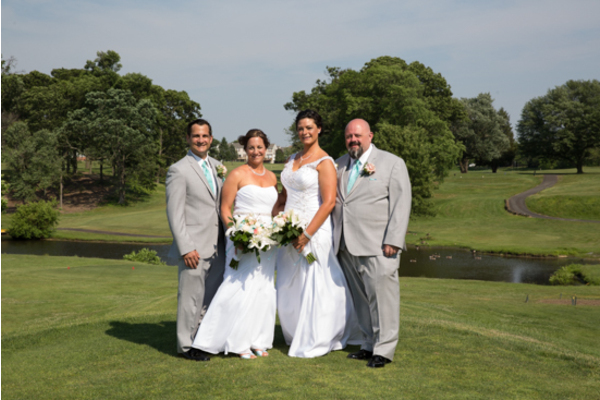 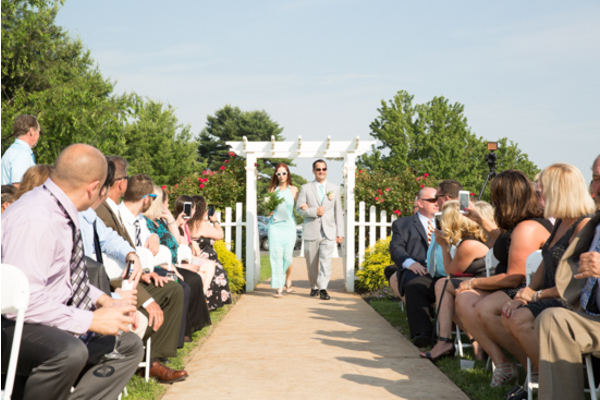 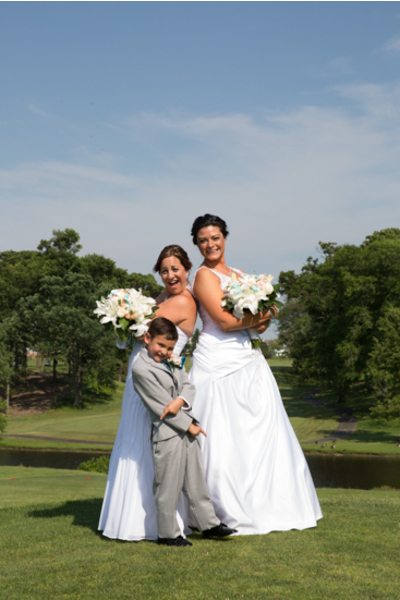 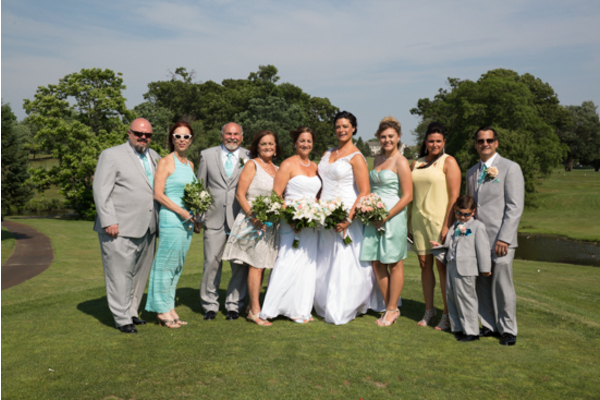 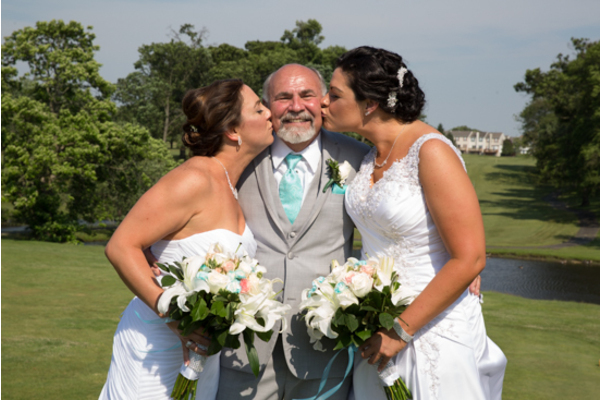 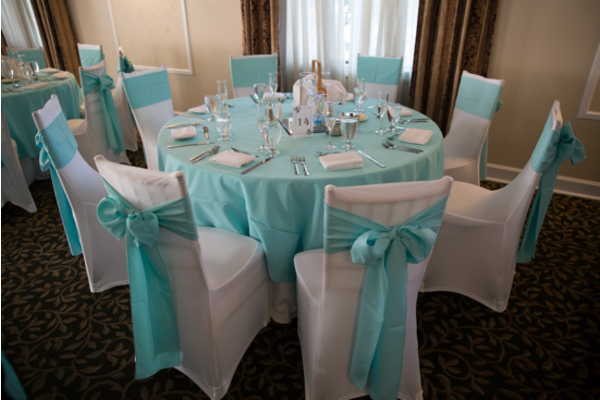 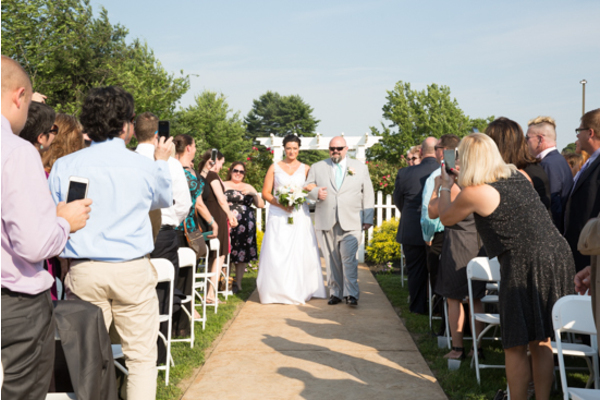 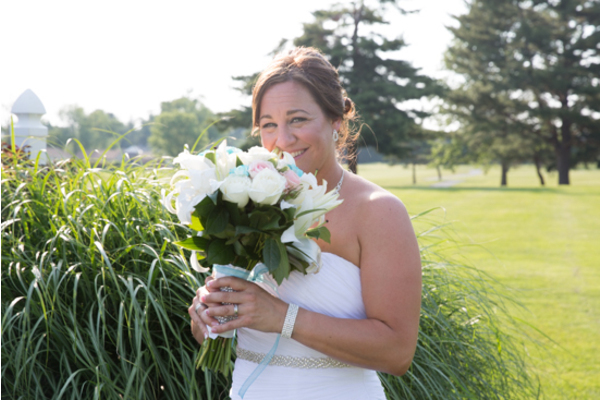 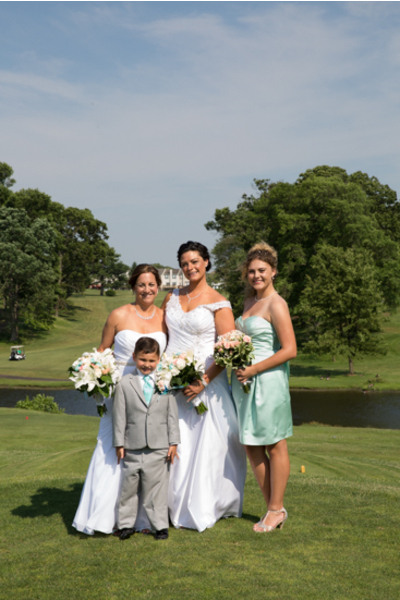 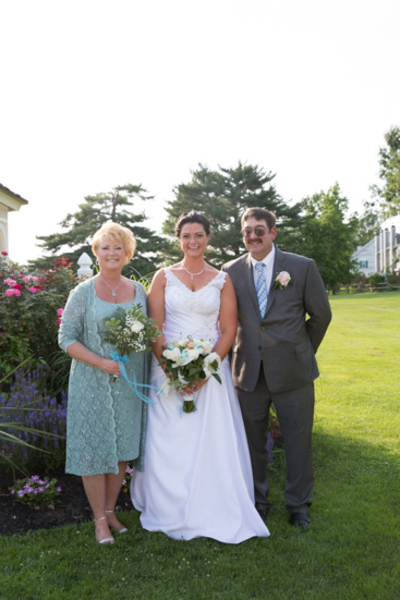 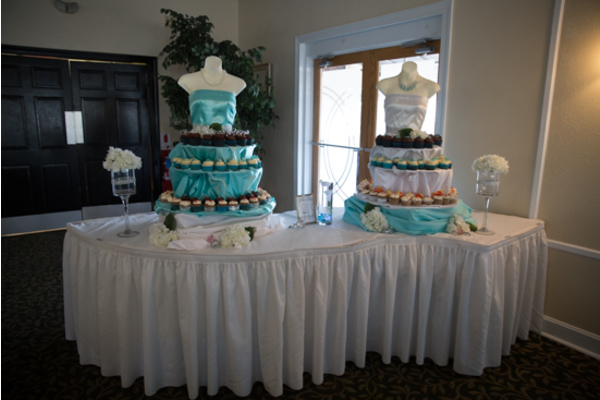 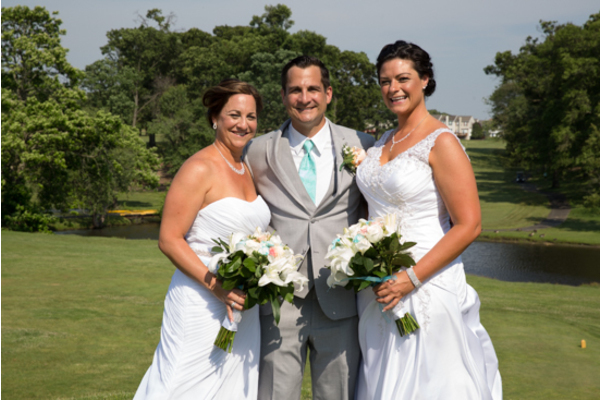 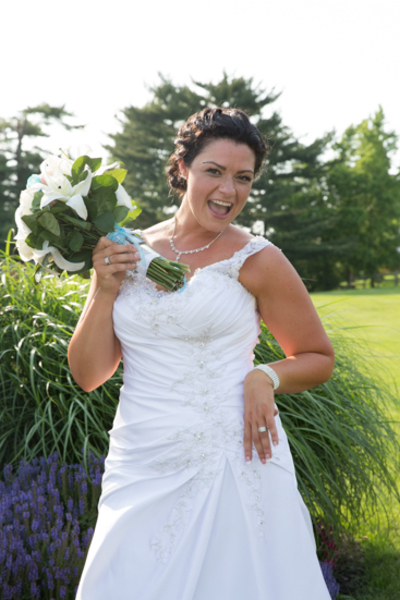 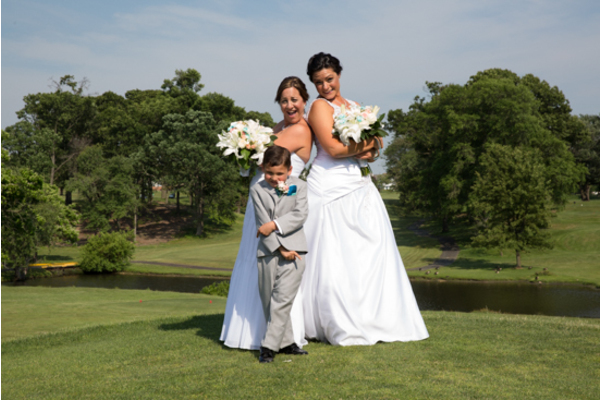 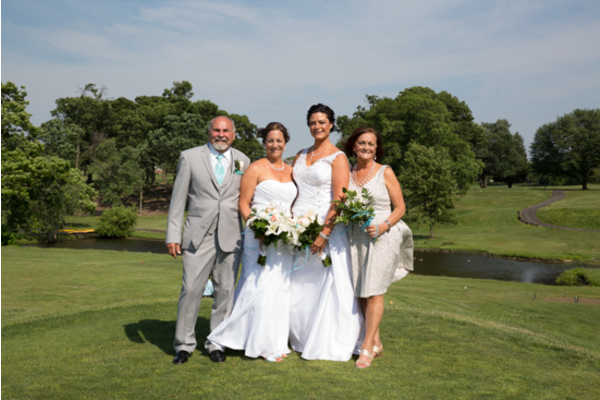 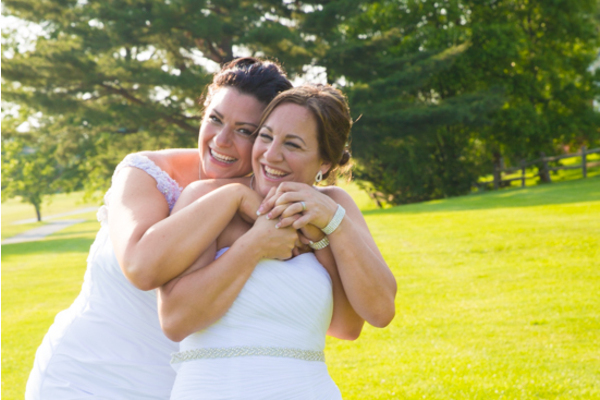 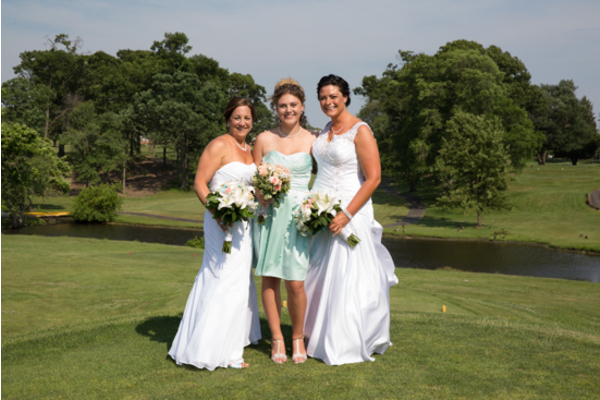 These two love birds tied the knot at the Valley Brook Country club on a beautiful spring day! 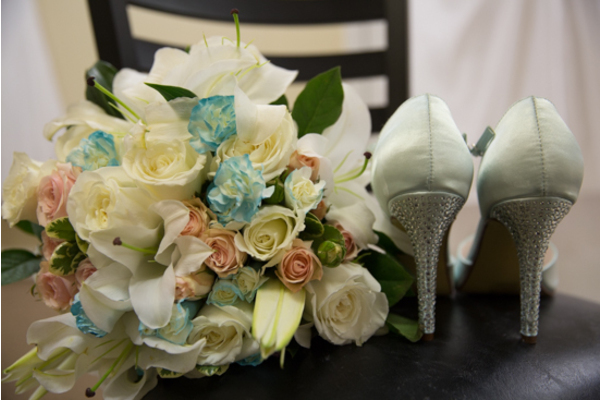 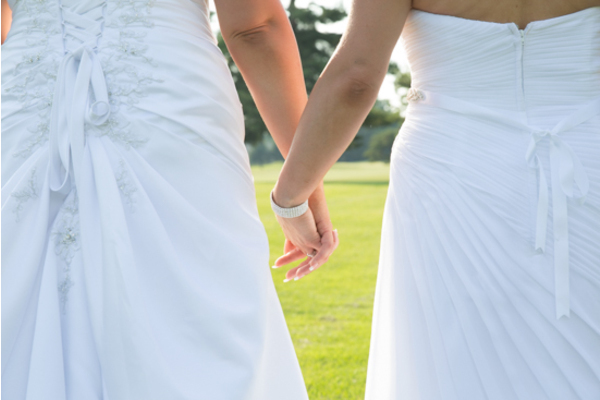 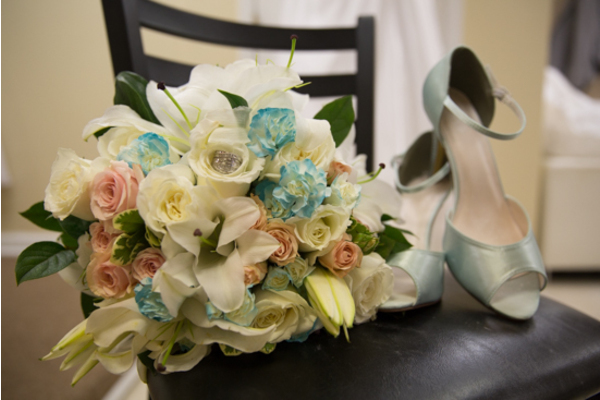 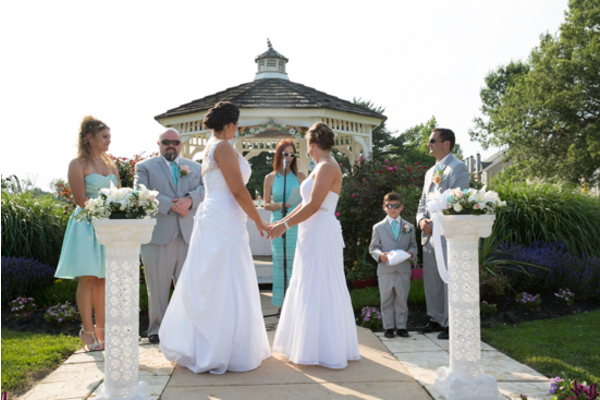 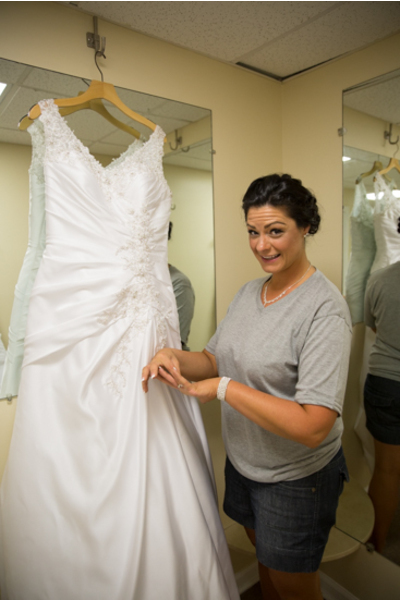 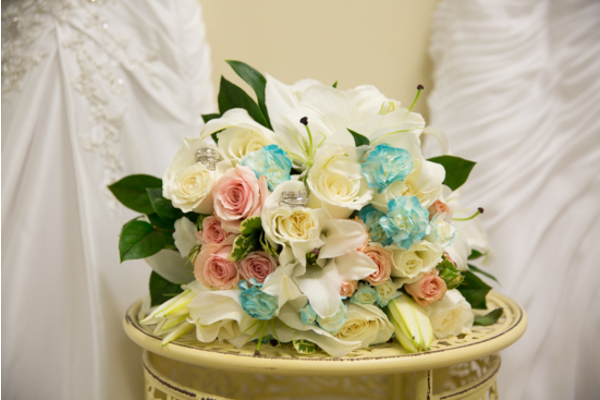 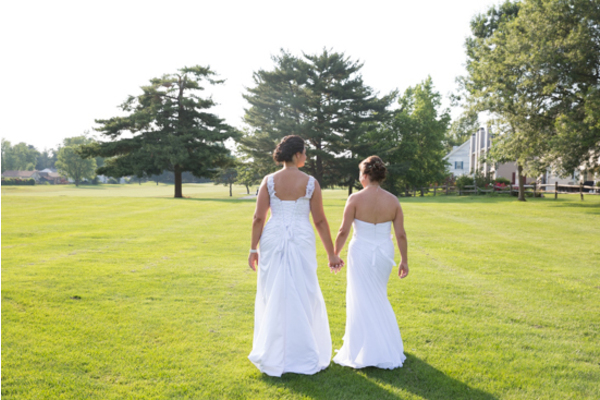 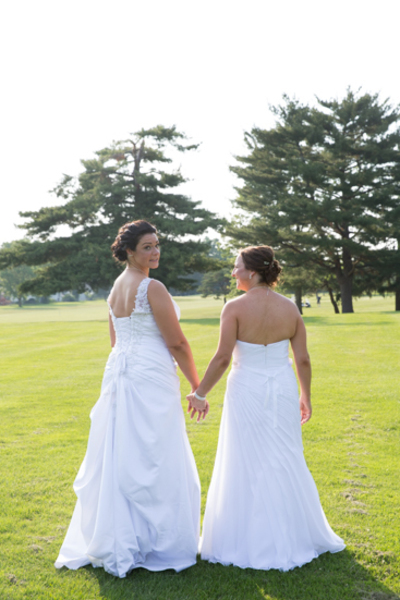 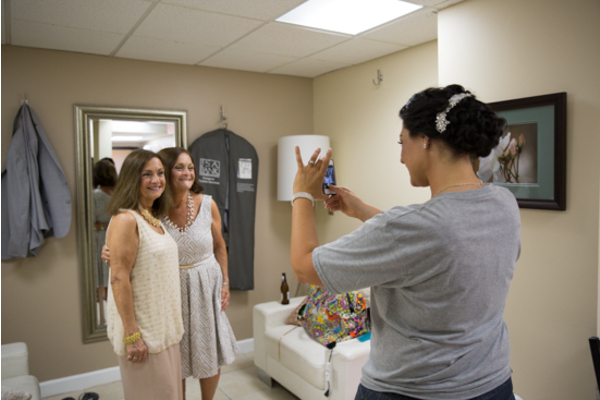 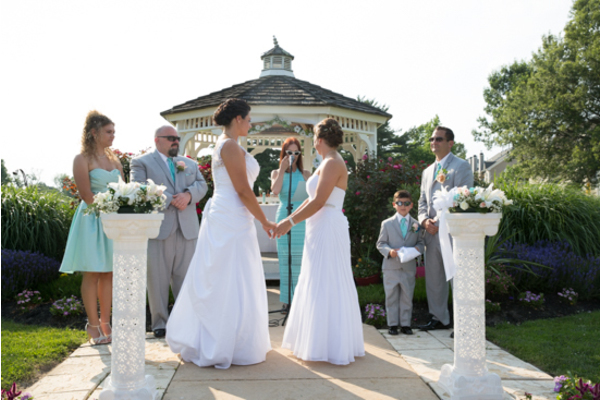 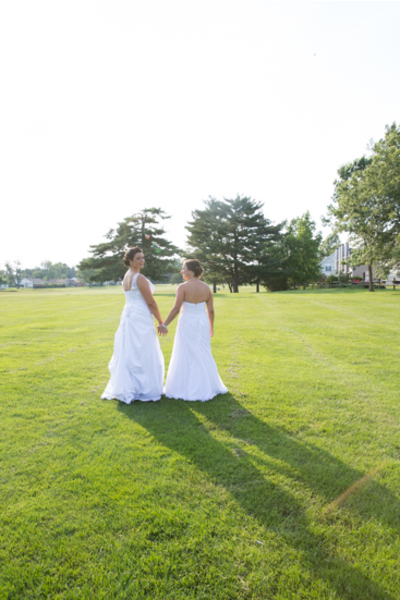 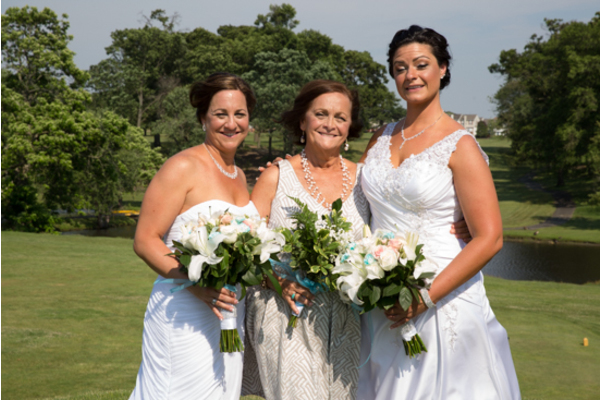 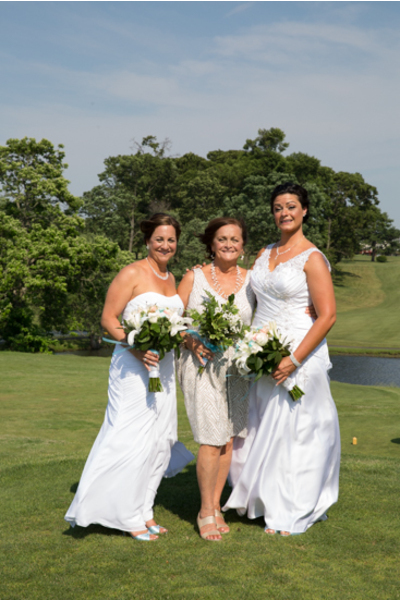 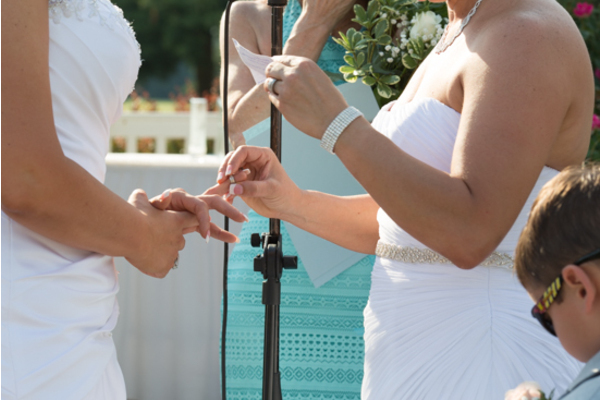 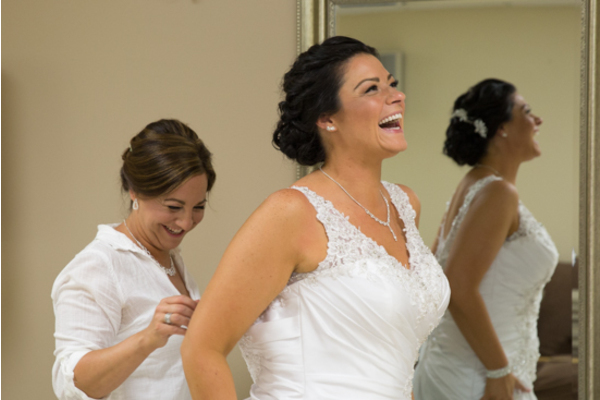 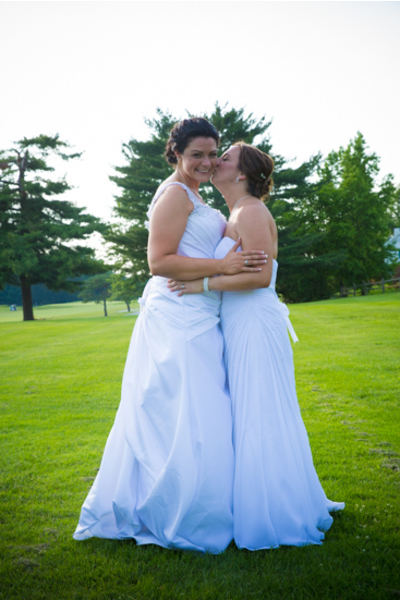 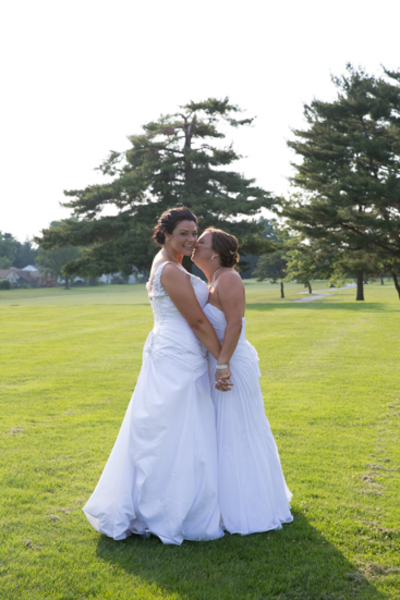 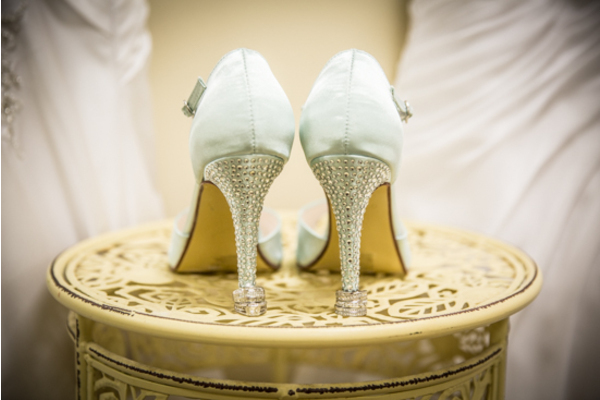 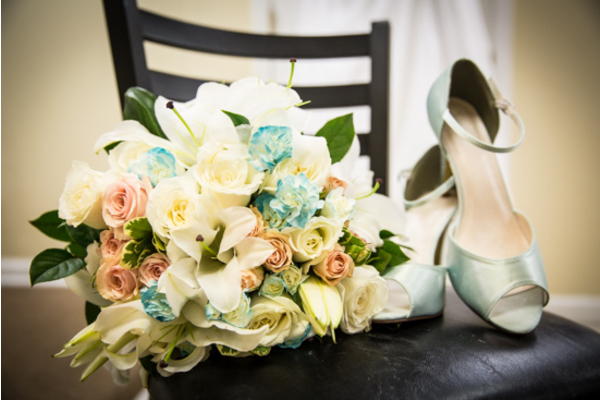 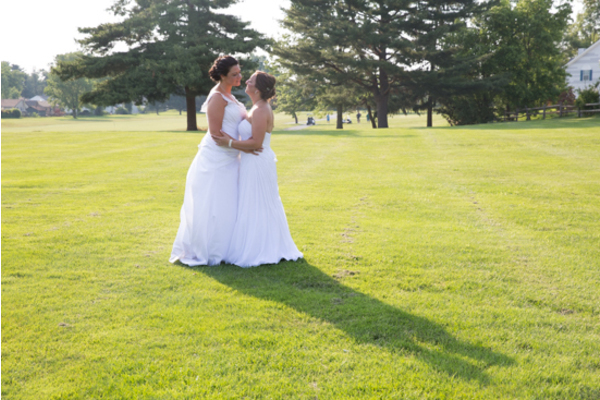 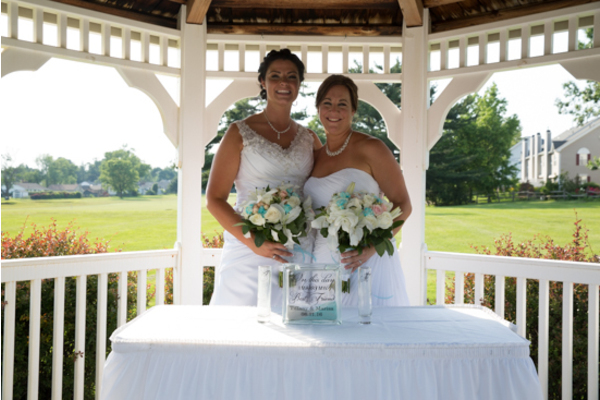 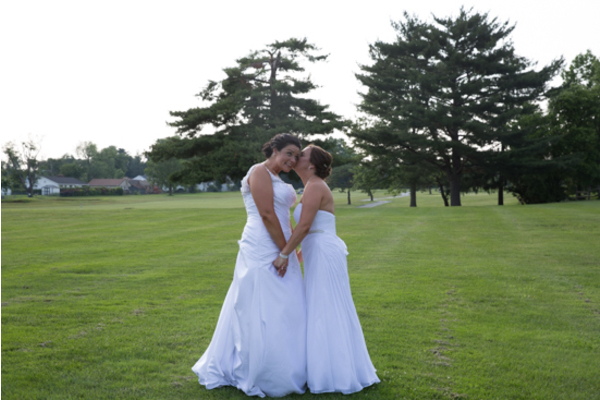 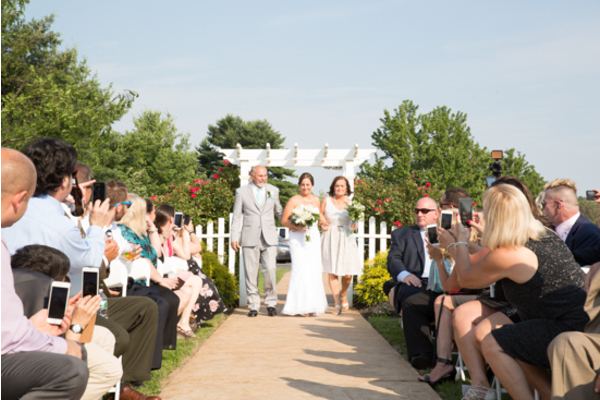 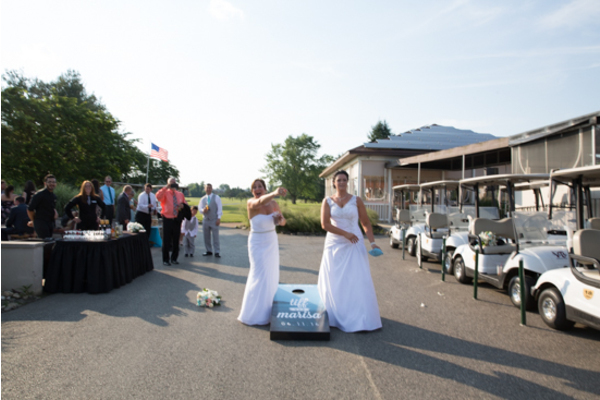 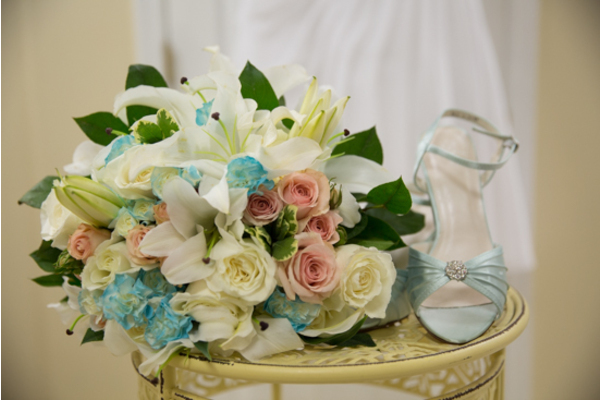 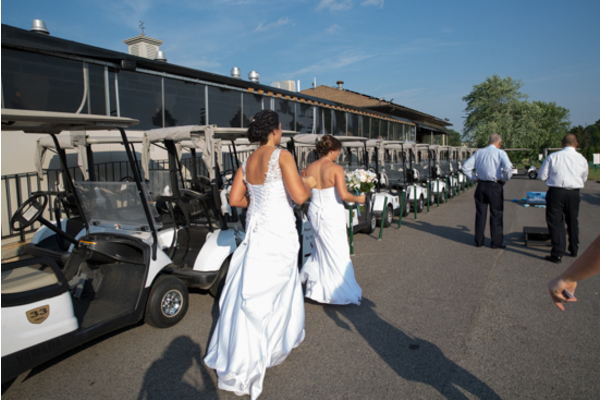 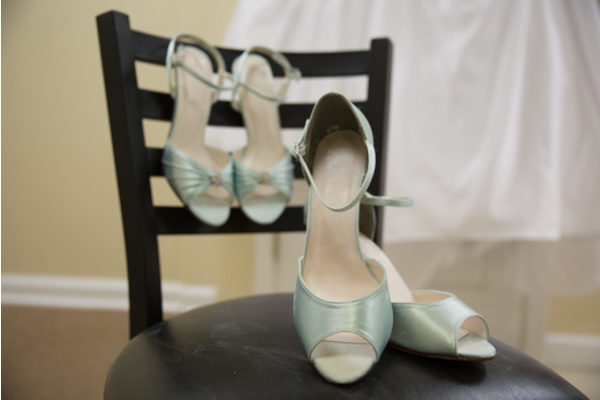 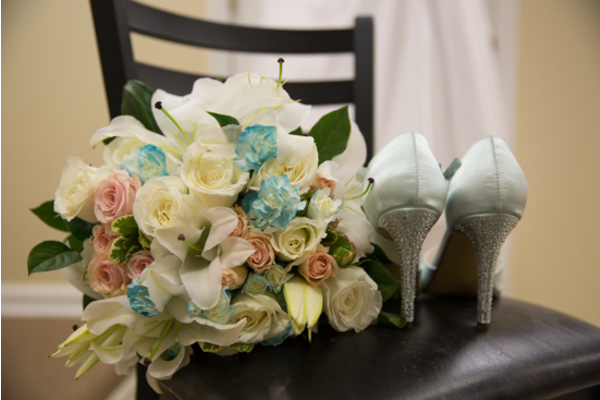 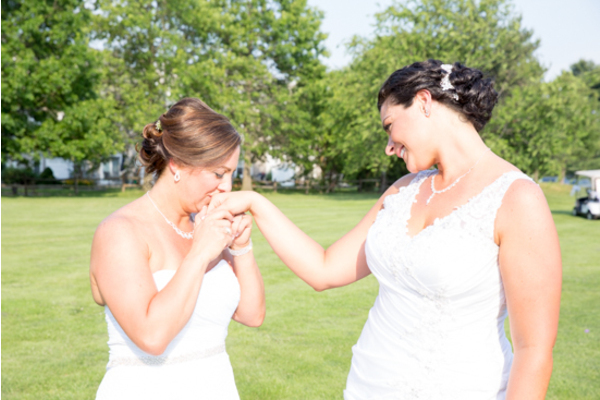 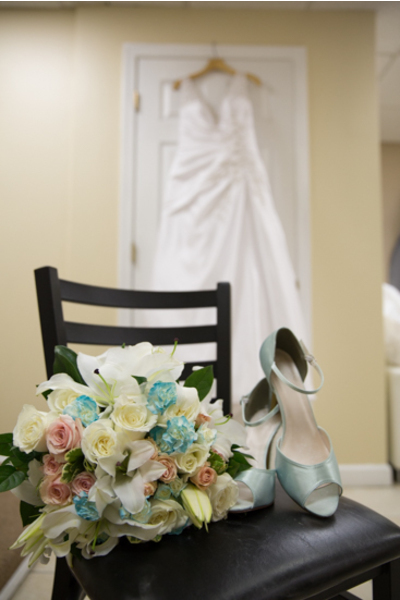 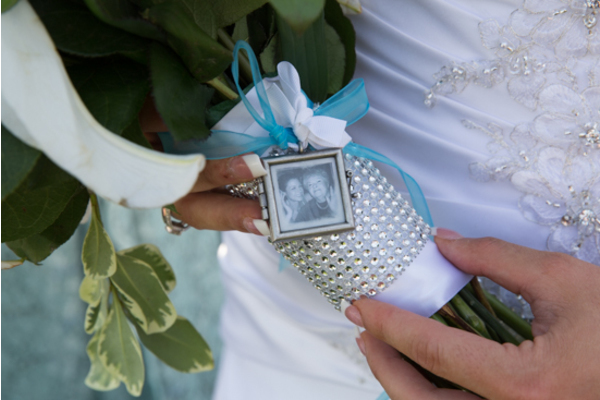 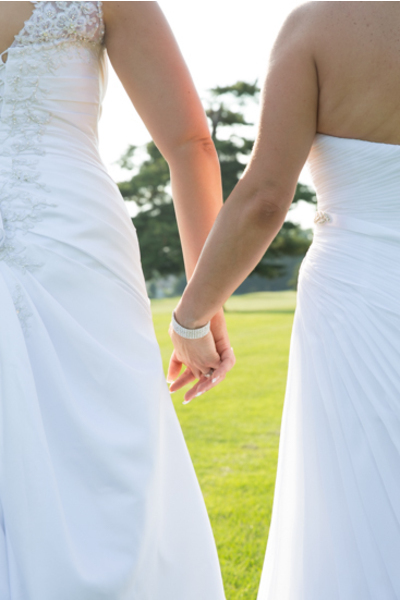 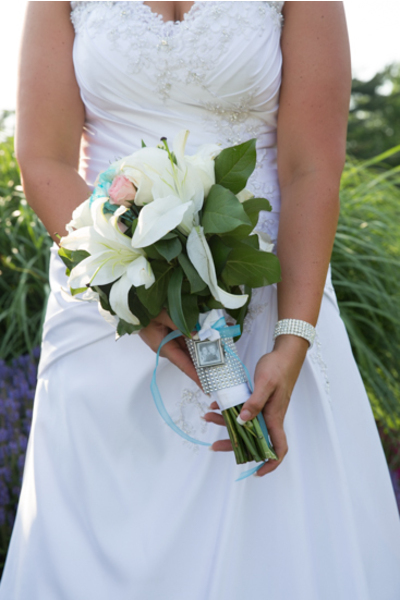 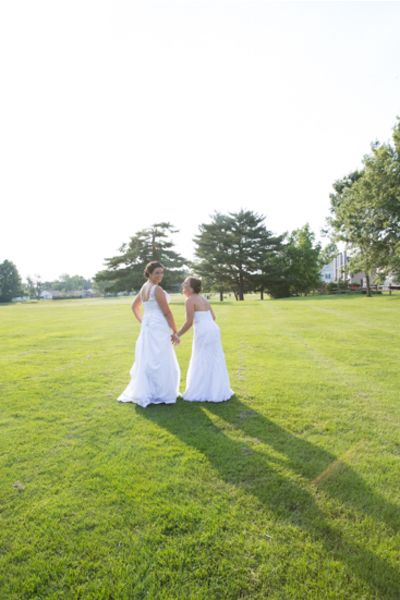 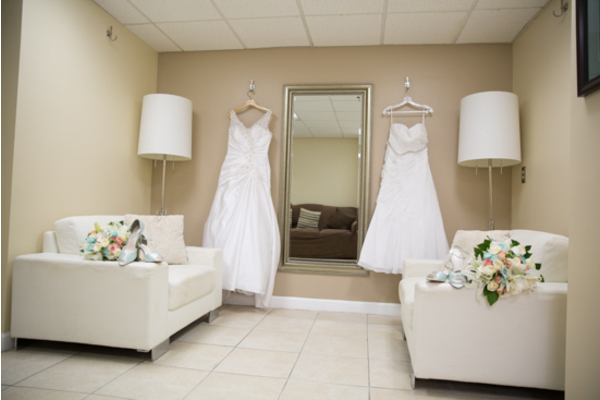 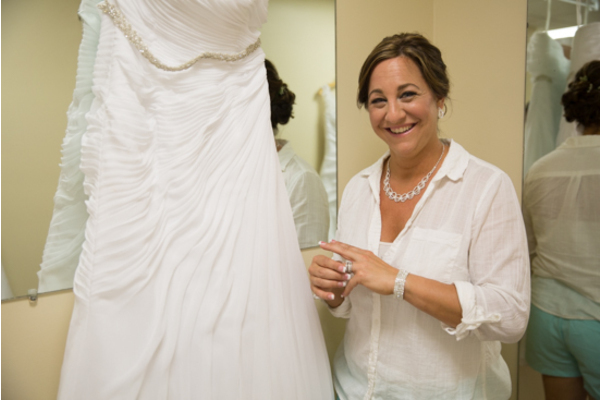 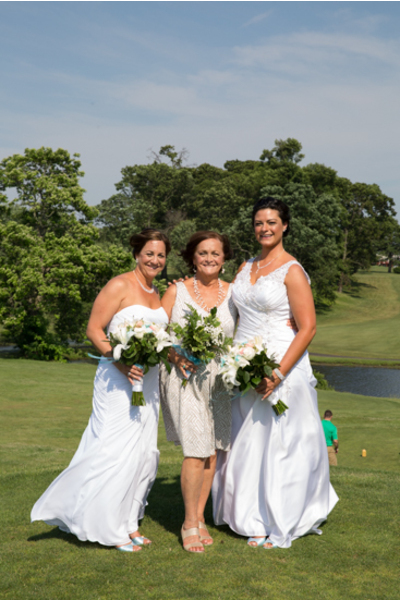 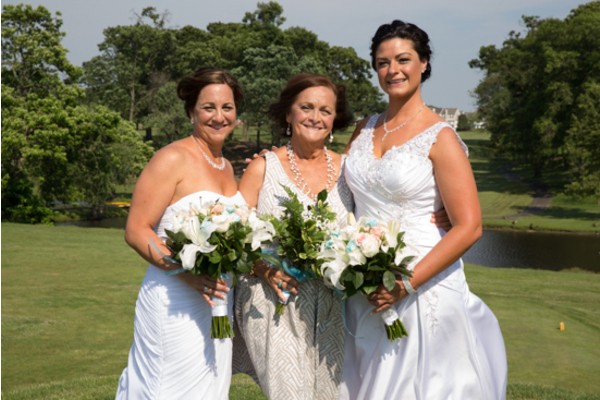 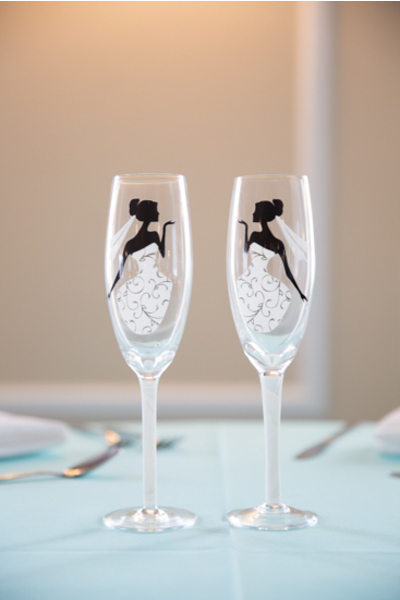 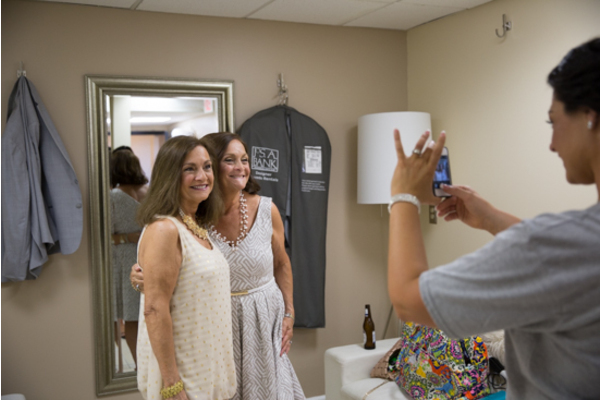 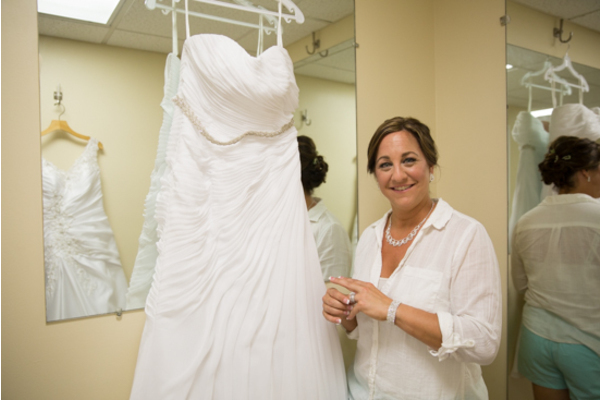 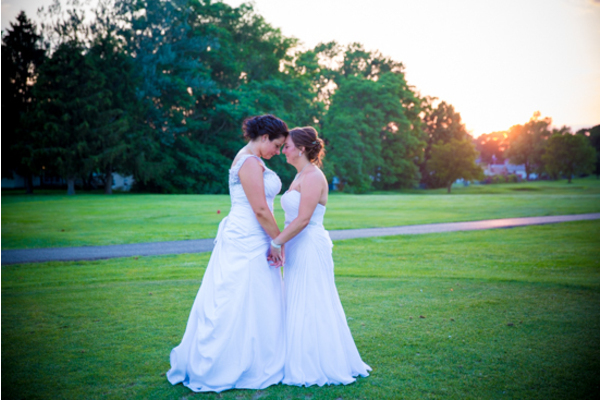 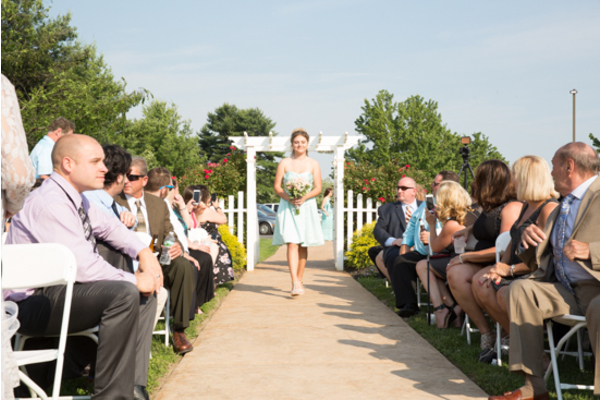 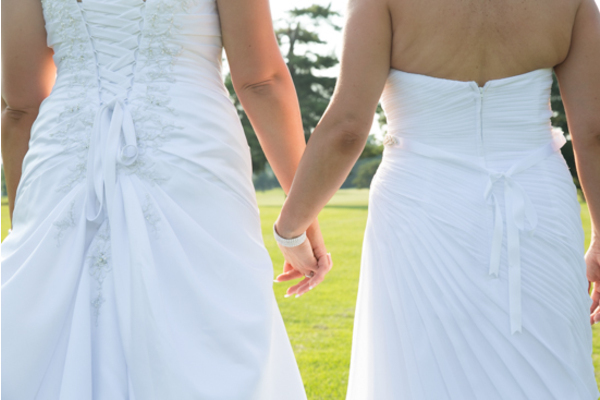 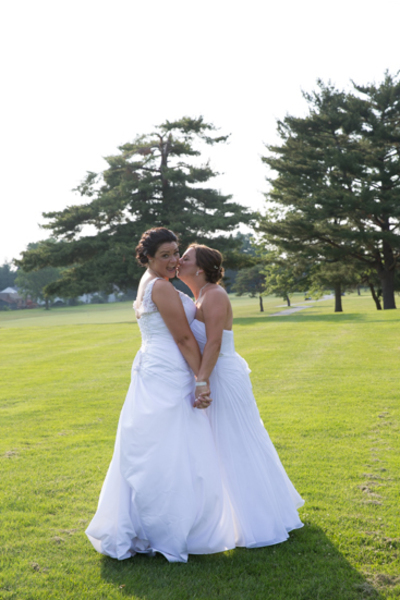 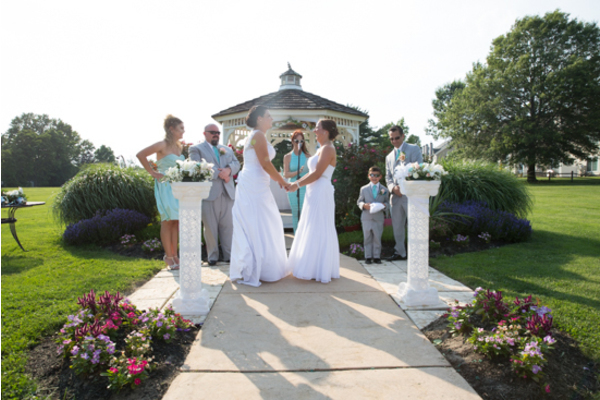 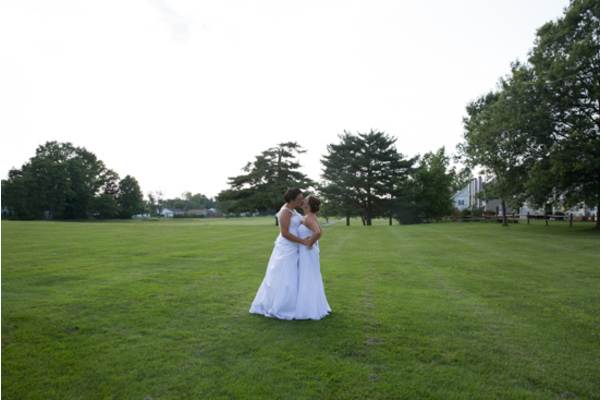 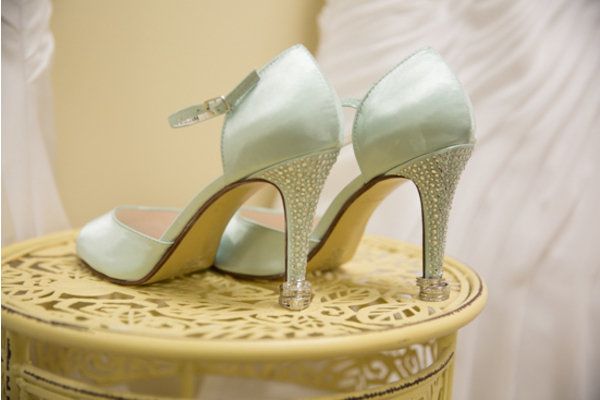 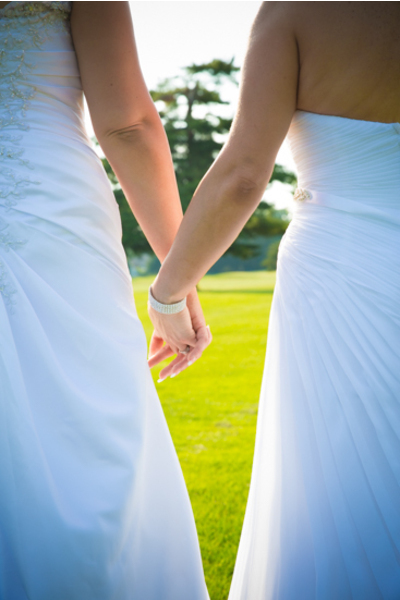 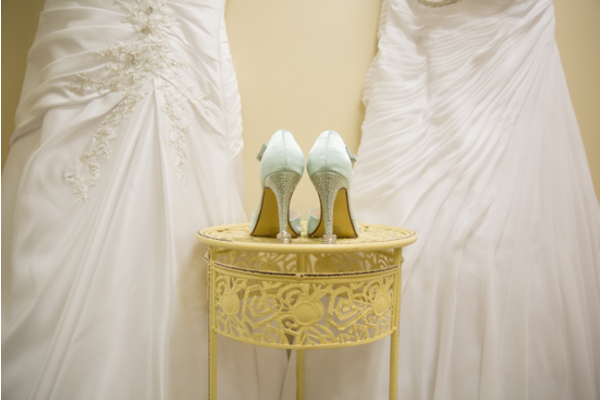 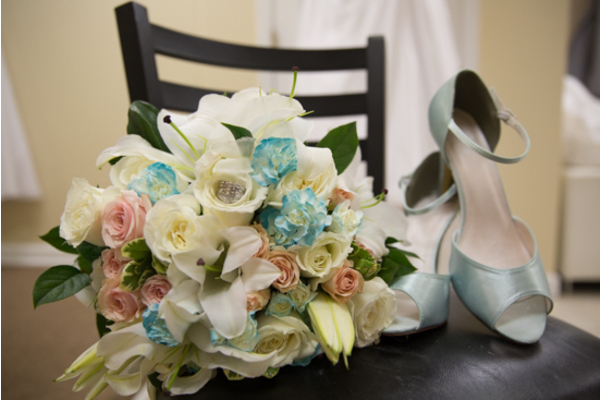 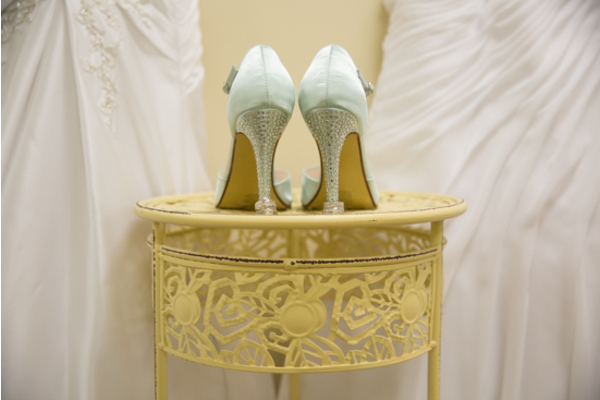 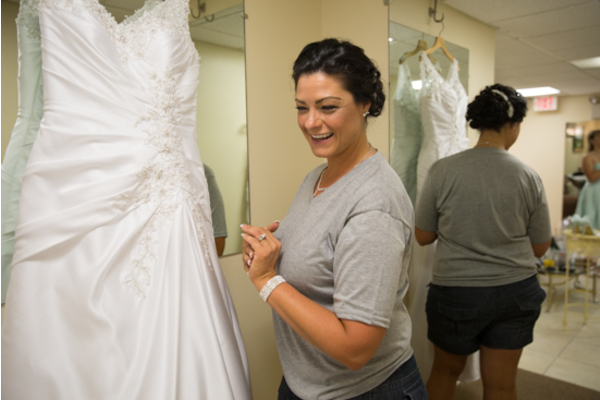 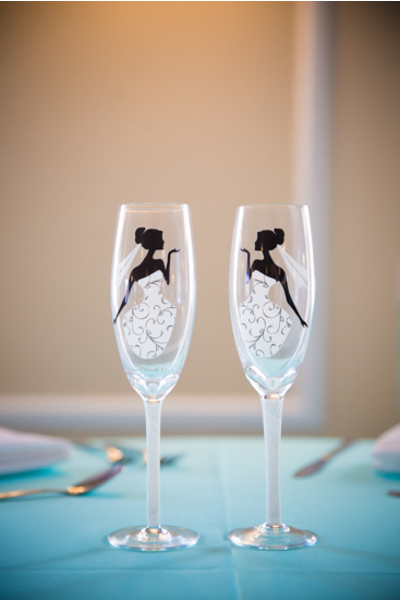 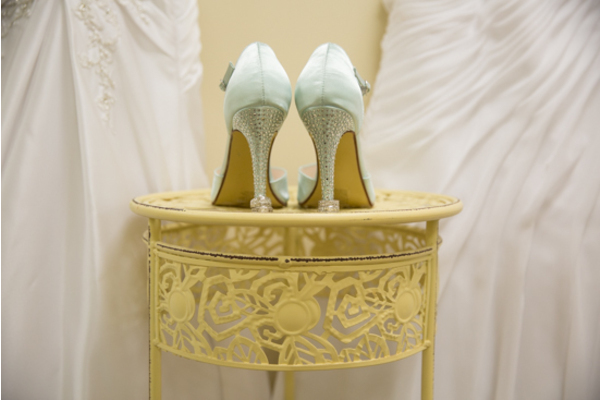 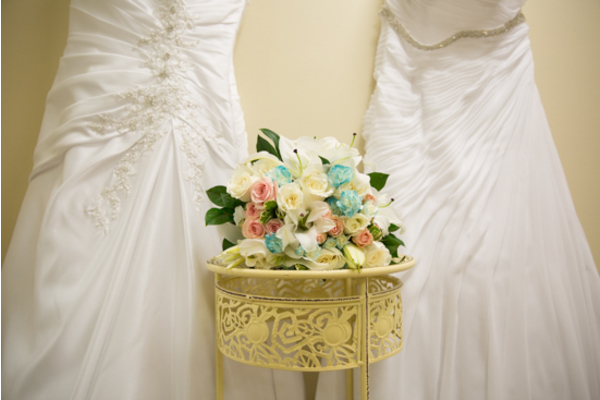 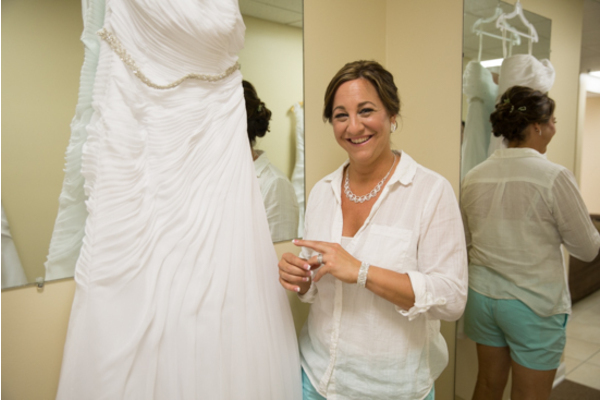 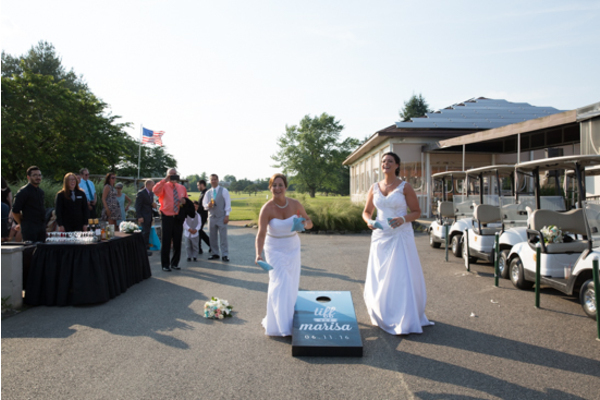 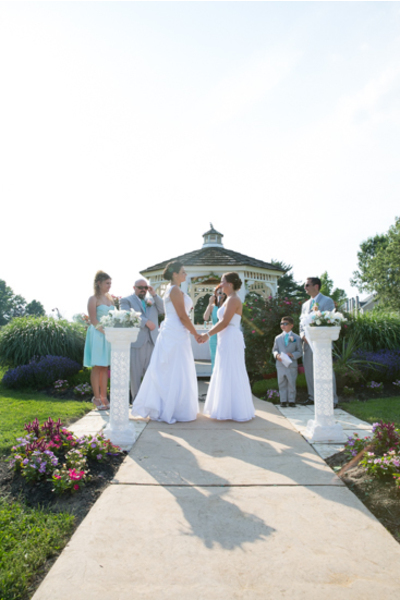 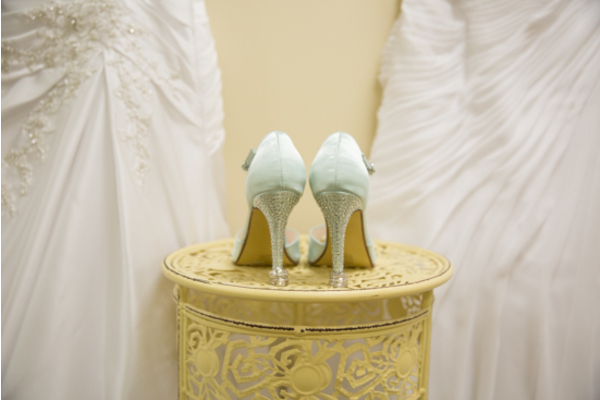 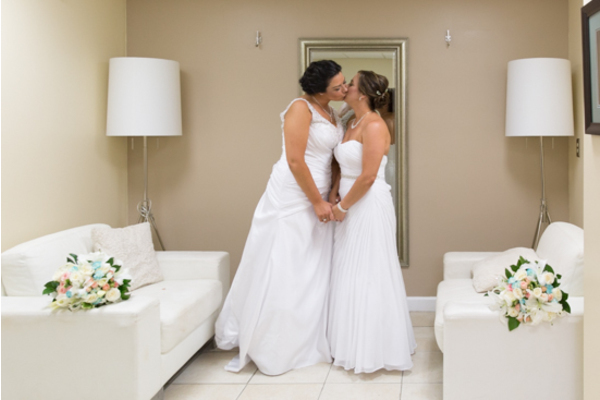 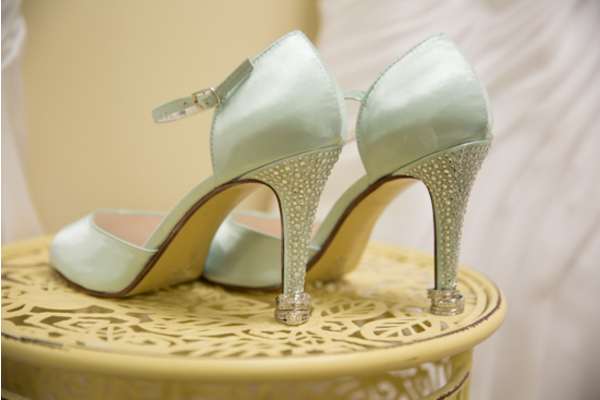 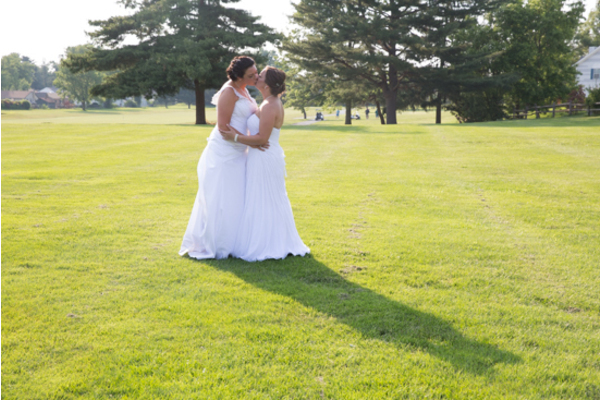 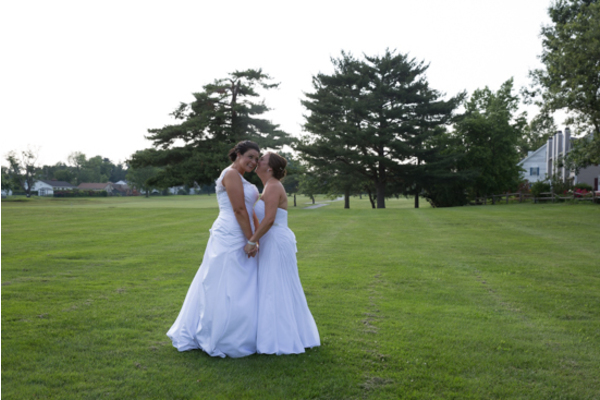 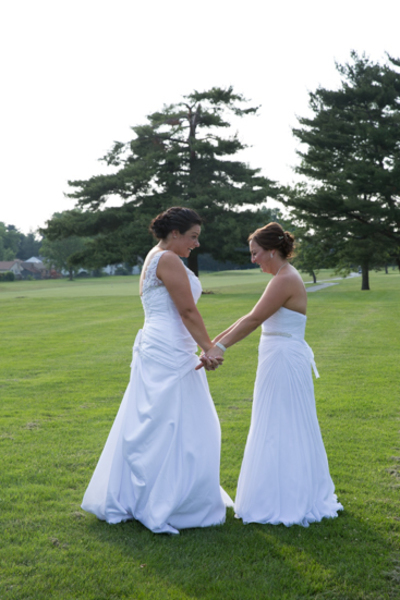 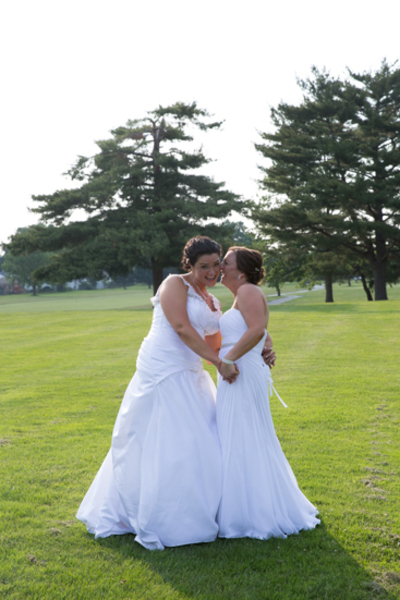 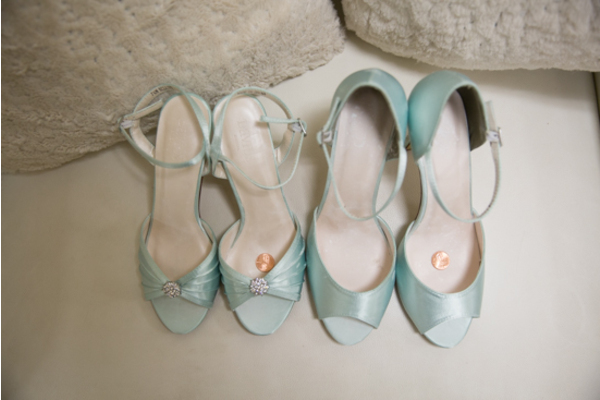 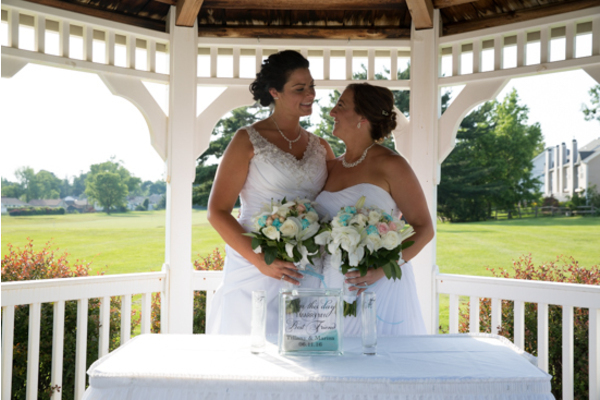 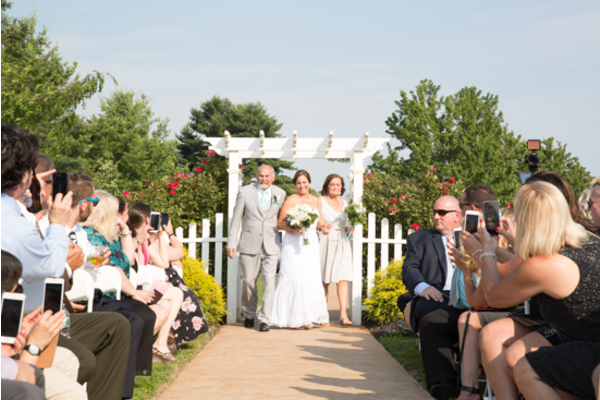 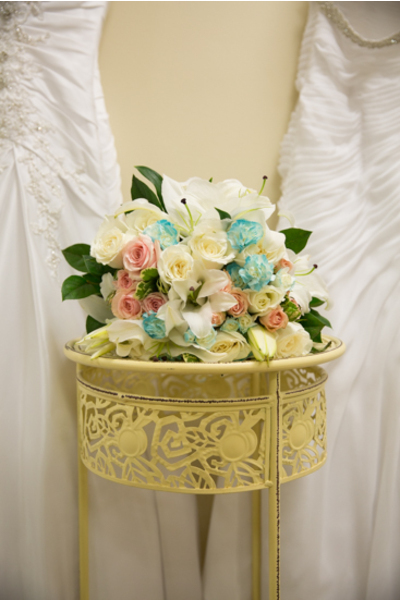 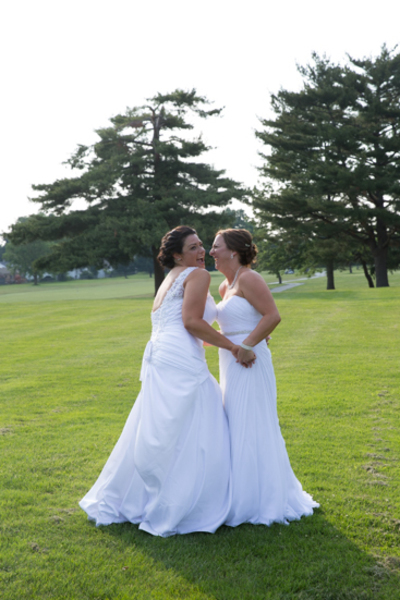 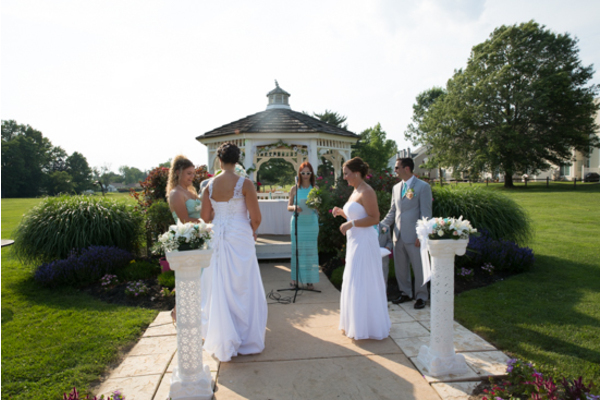 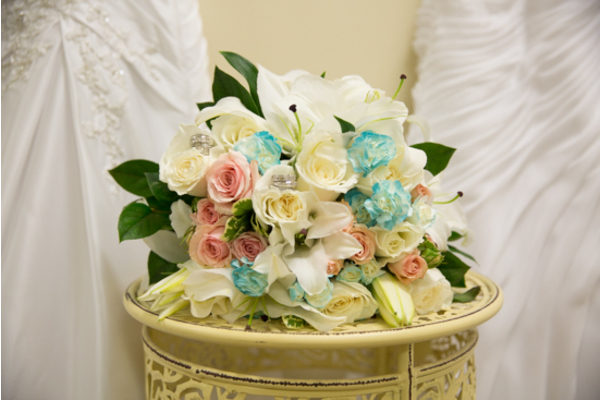 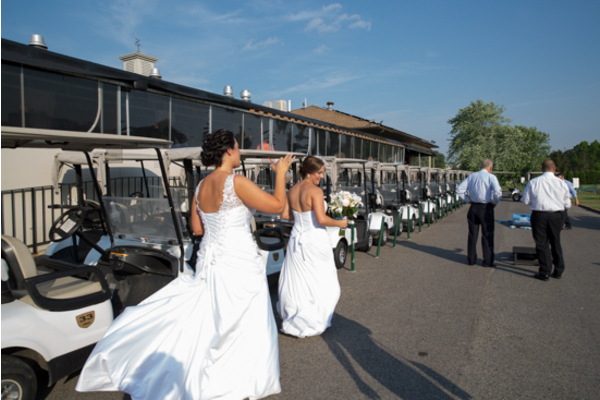 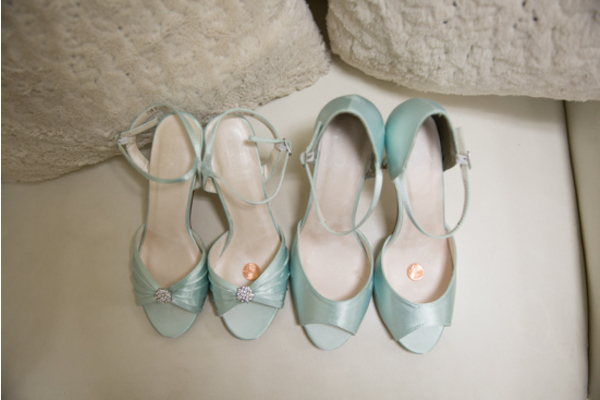 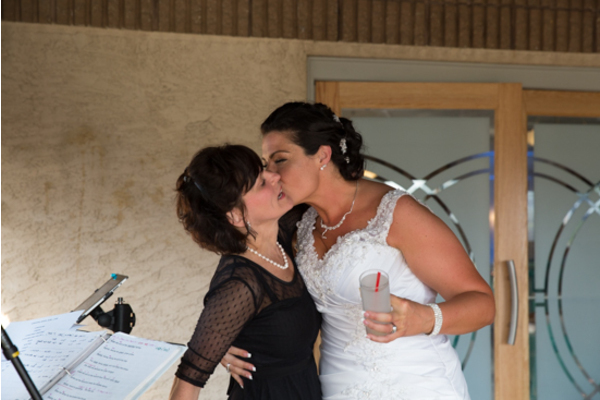 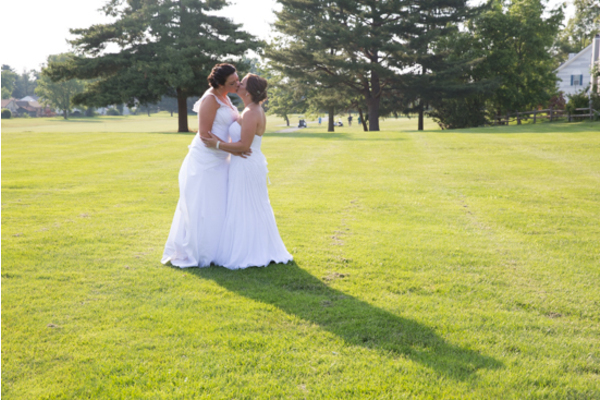 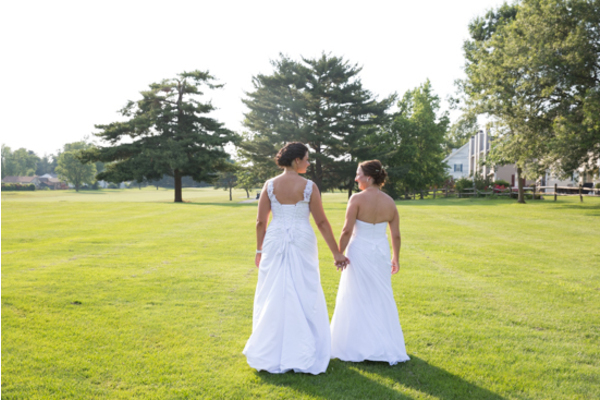 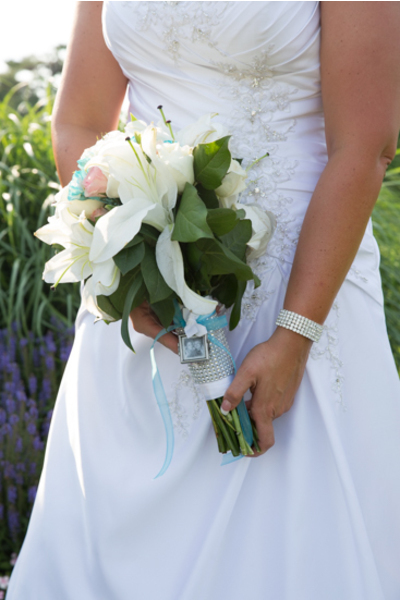 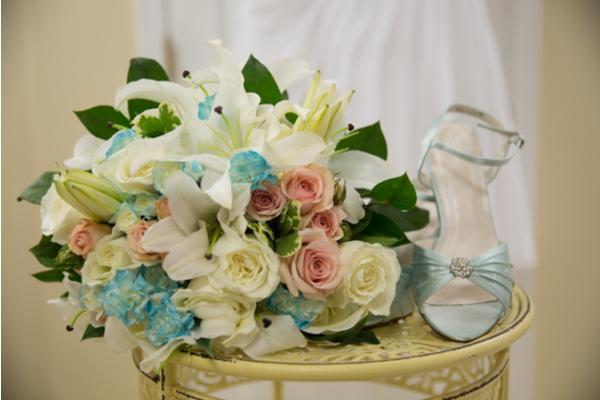 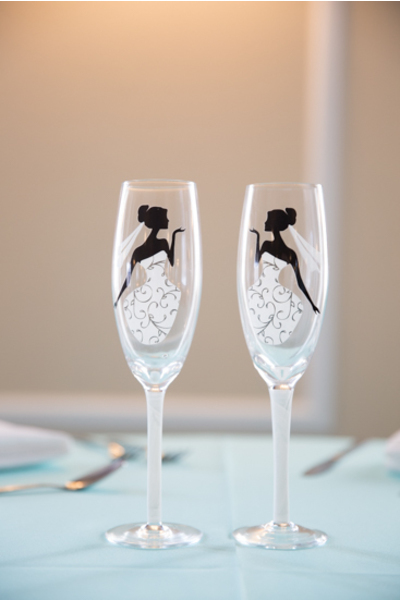 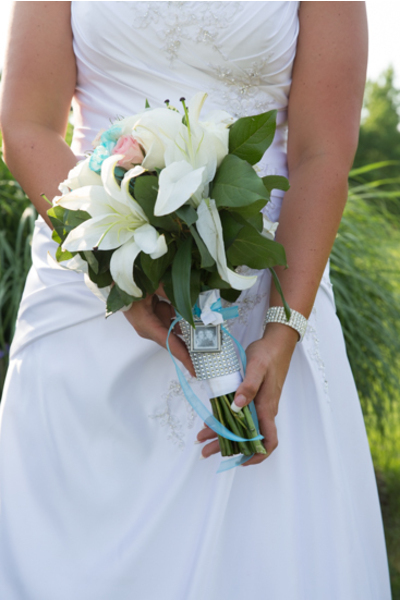 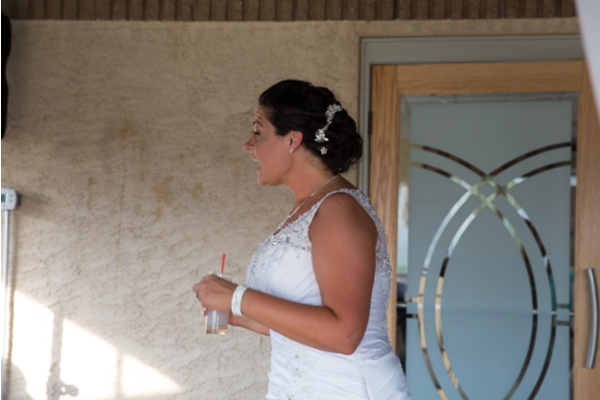 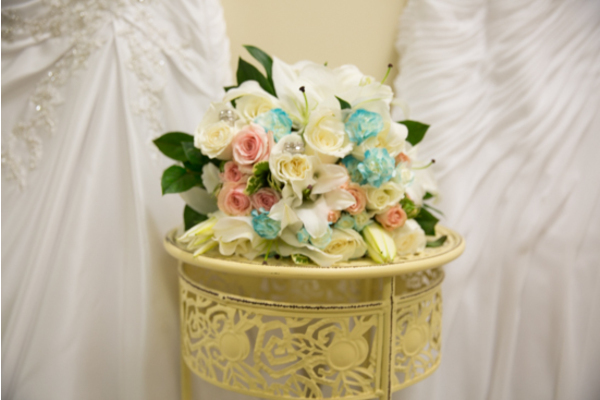 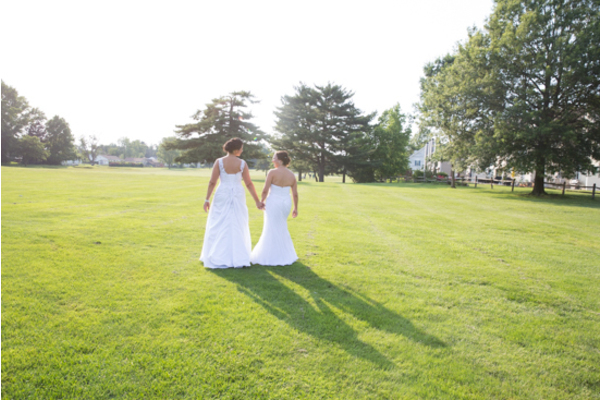 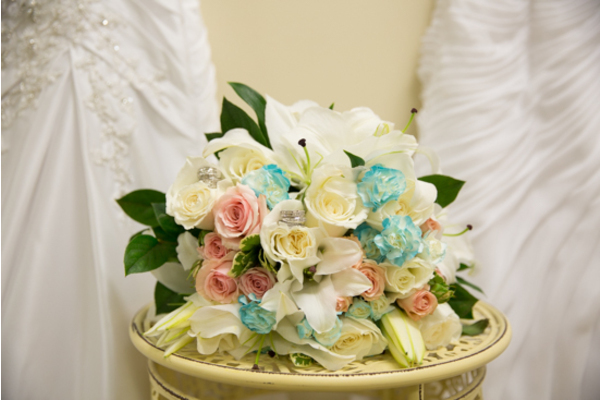 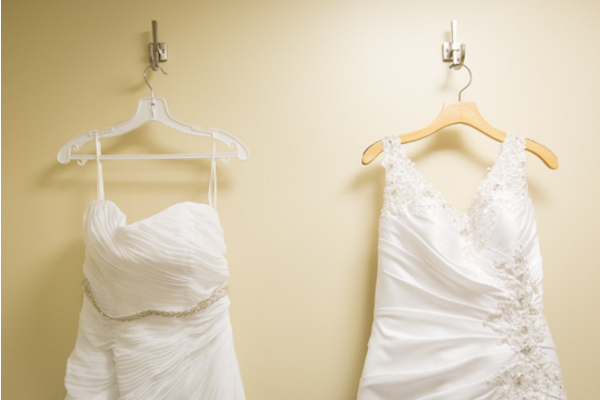 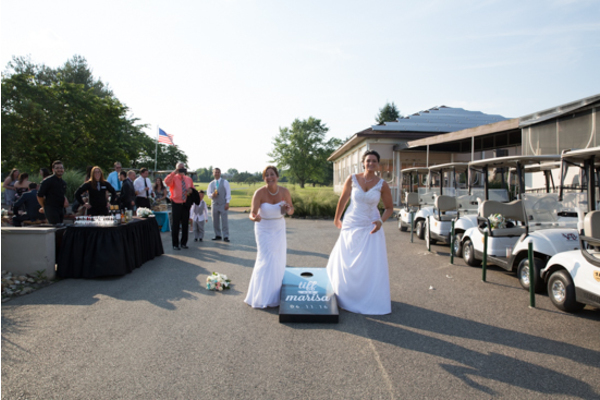 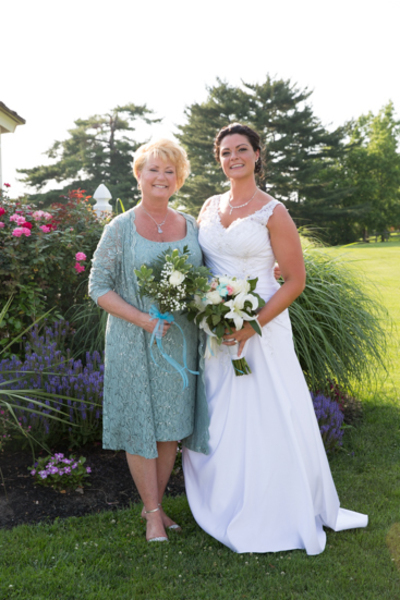 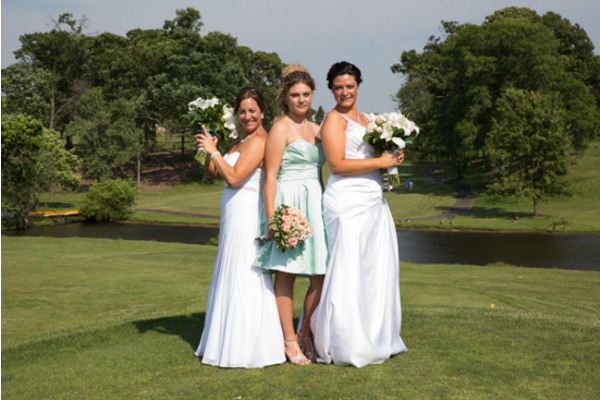 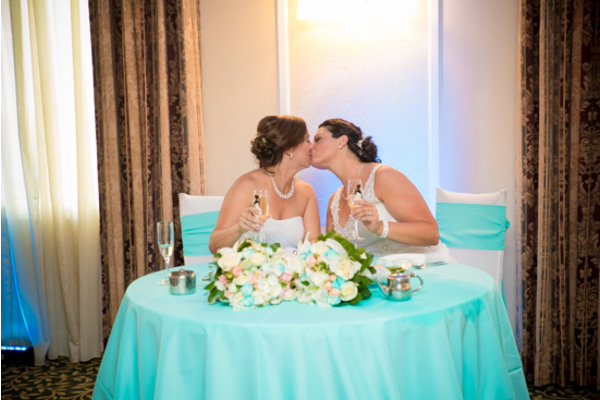 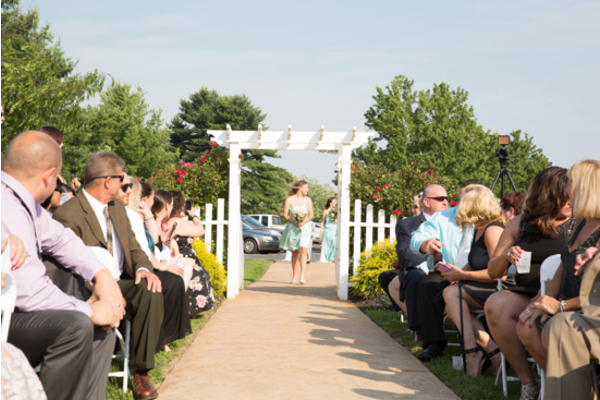 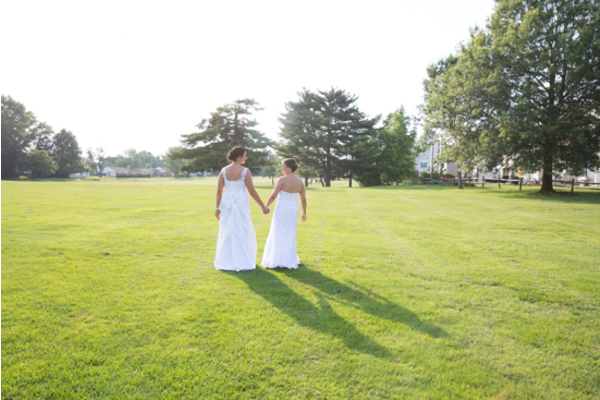 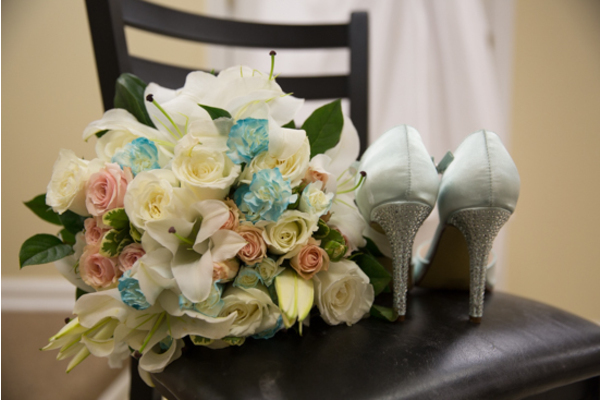 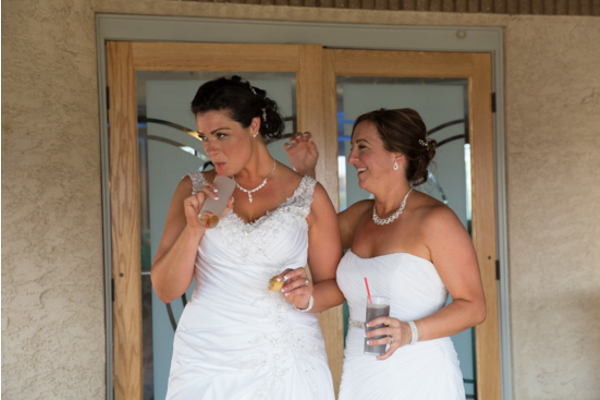 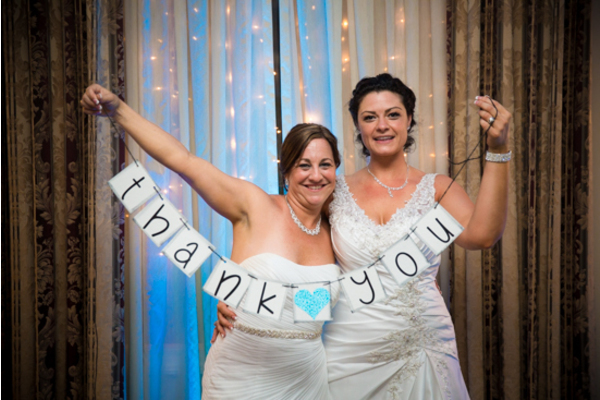 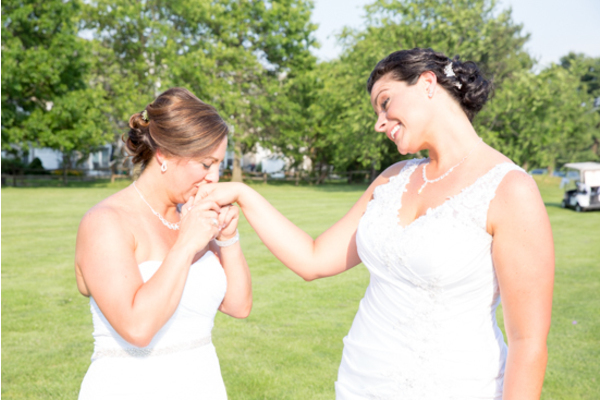 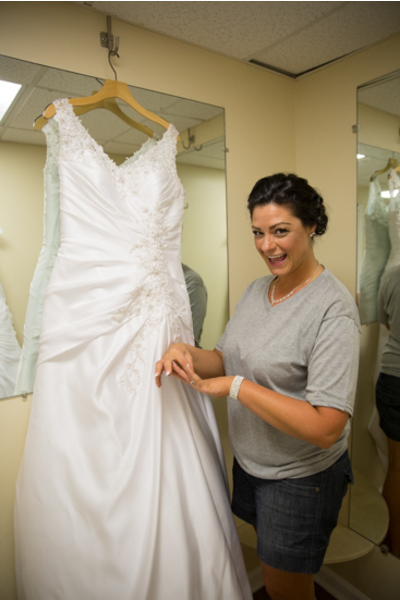 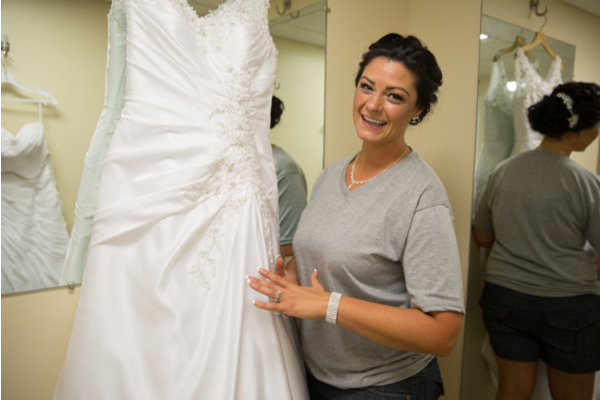 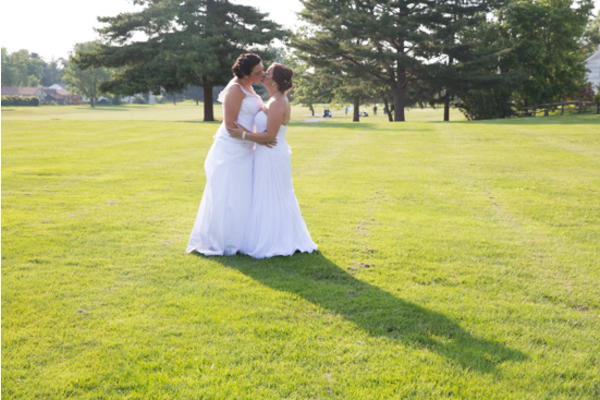 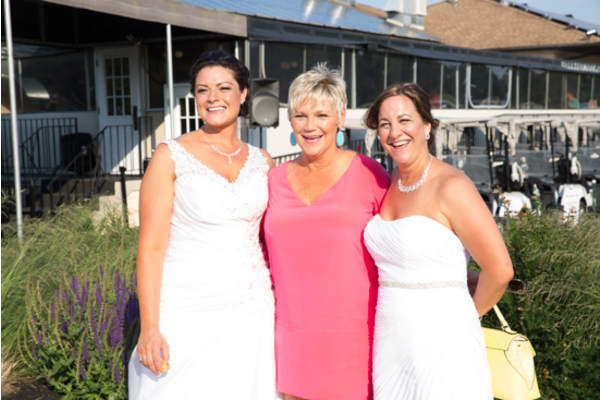 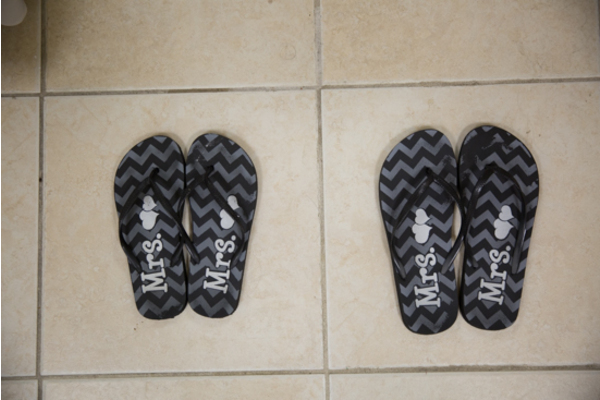 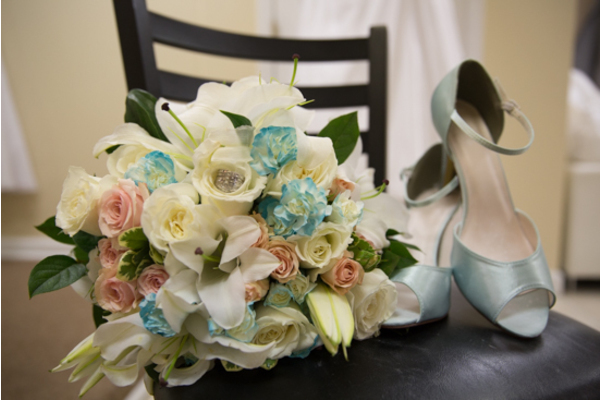 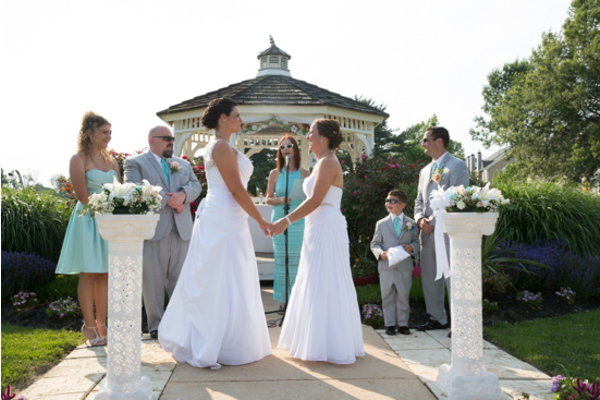 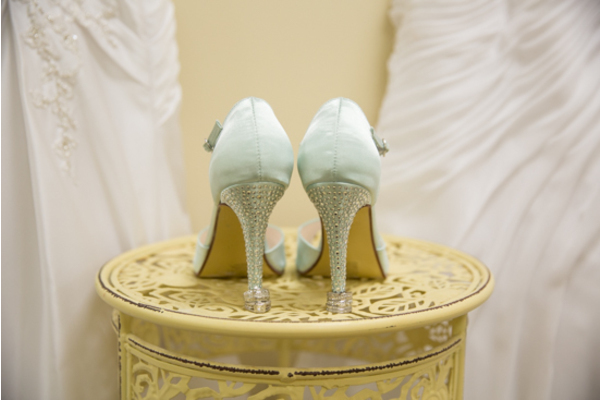 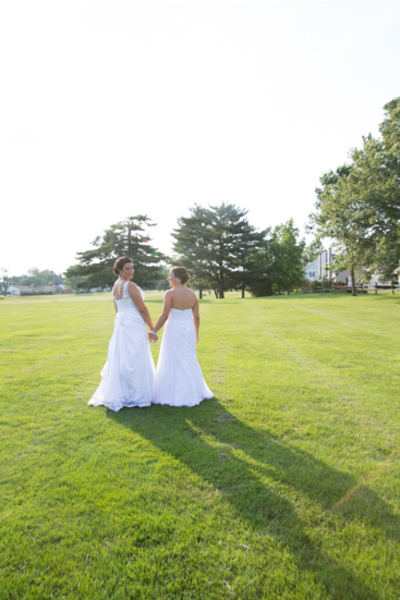 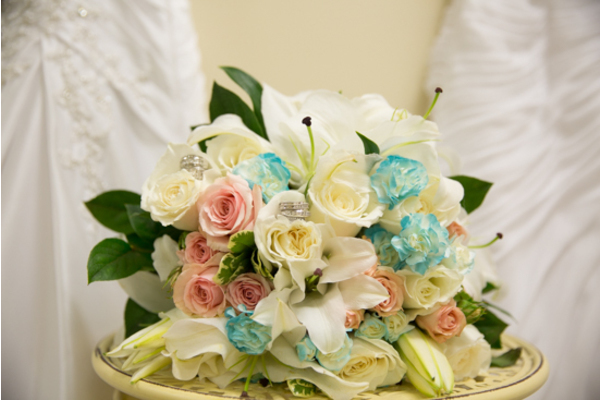 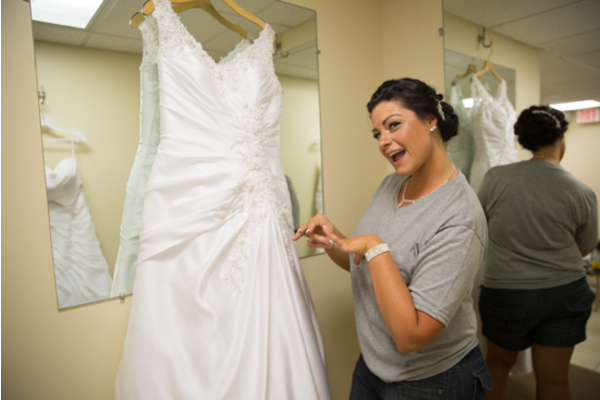 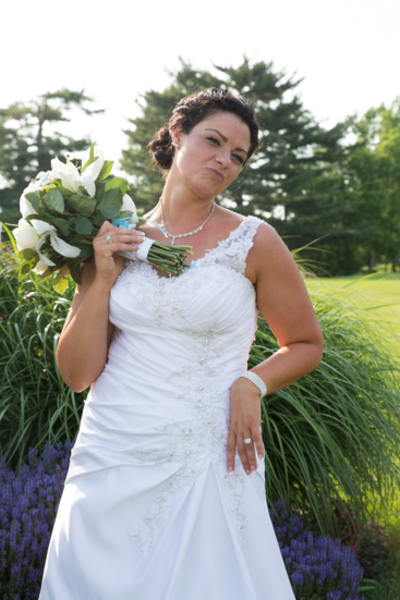 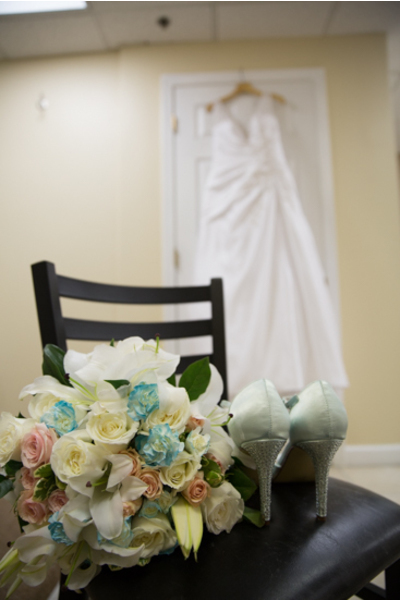 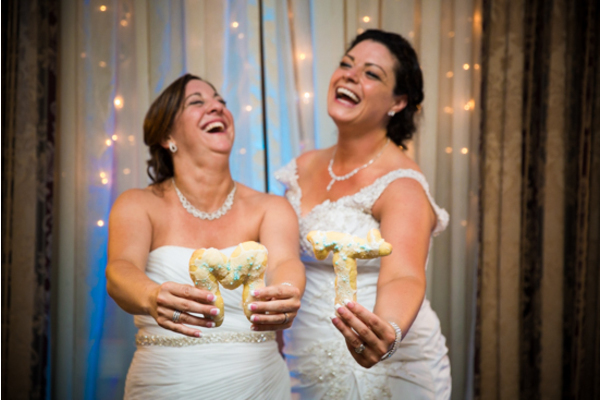 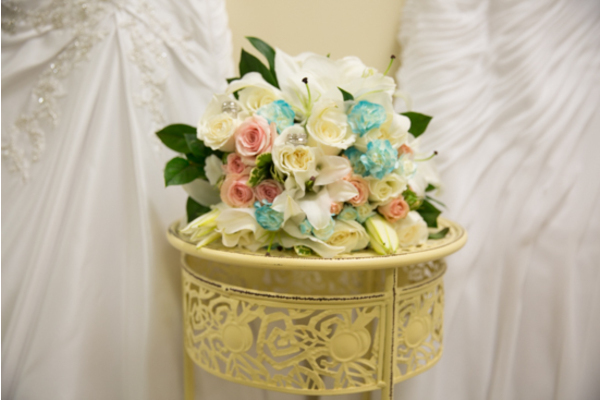 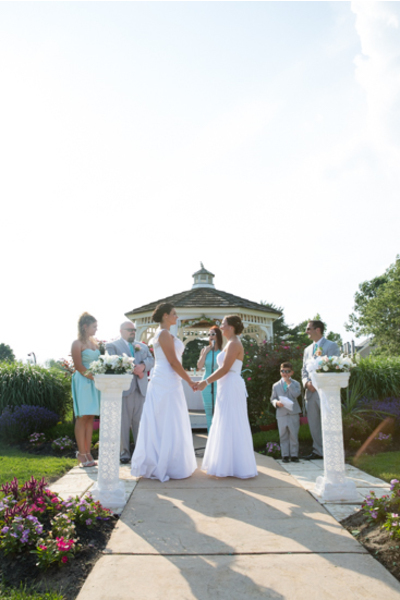 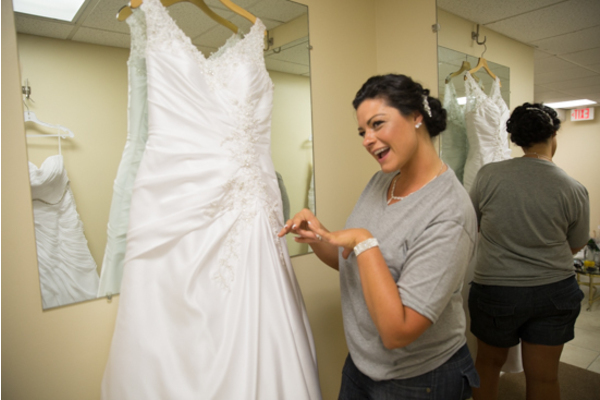 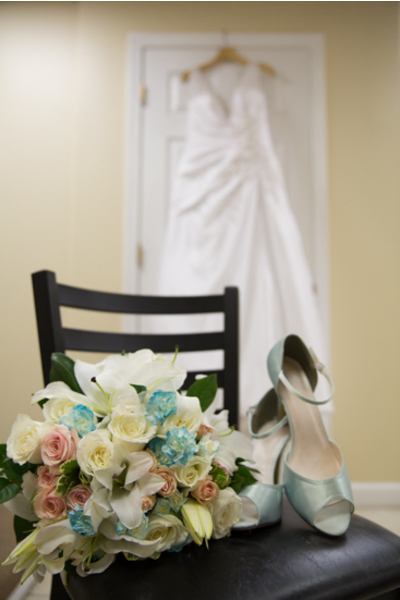 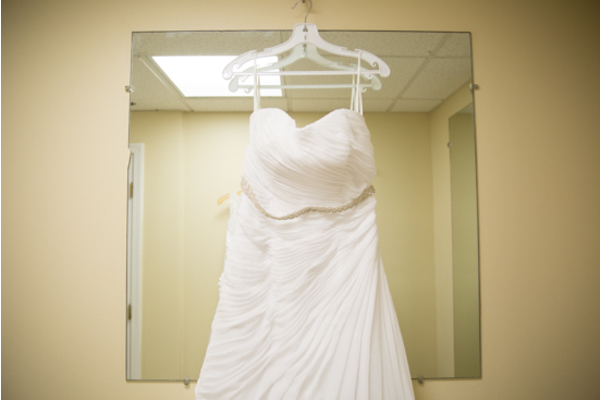 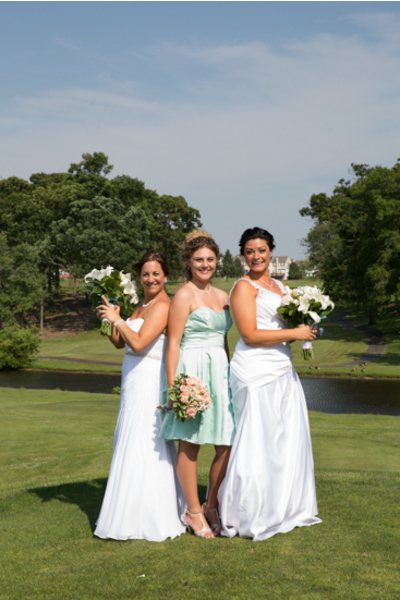 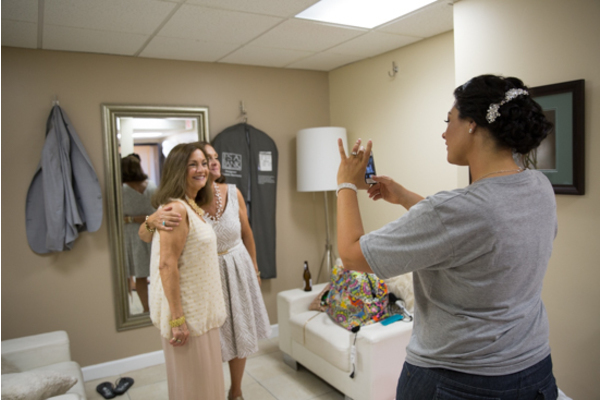 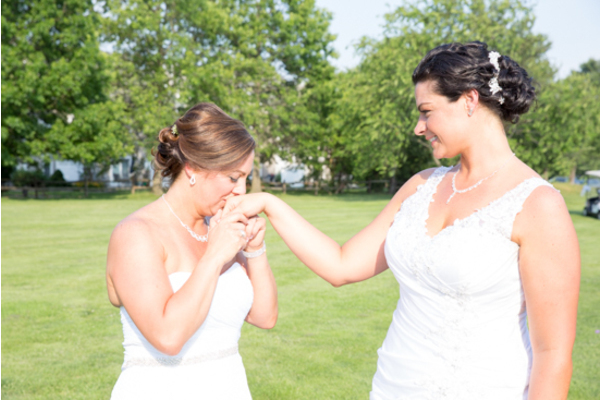 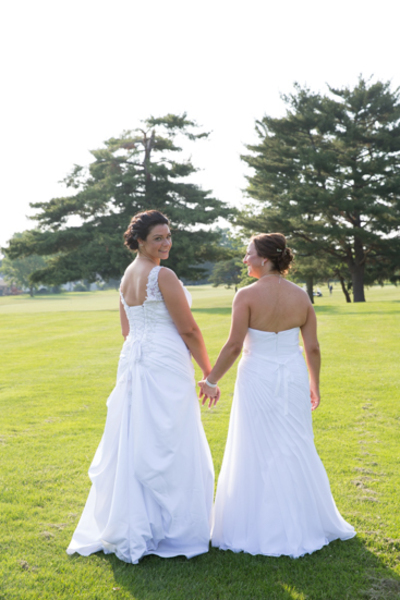 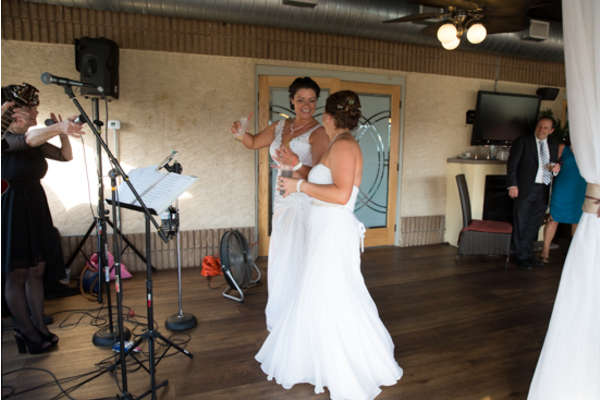 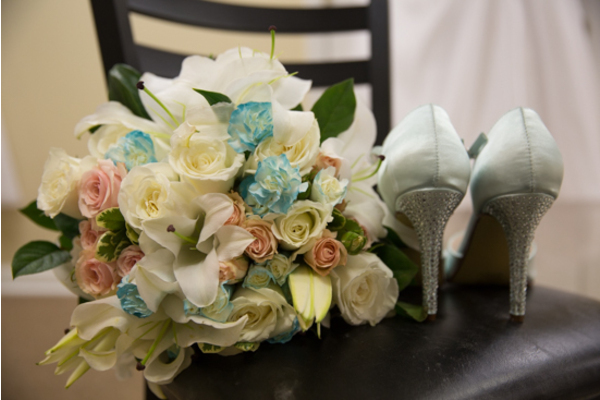 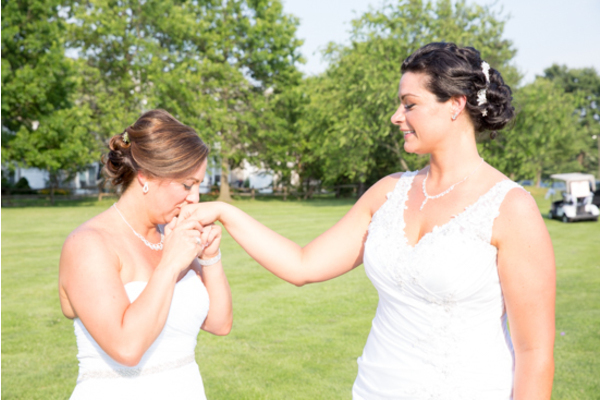 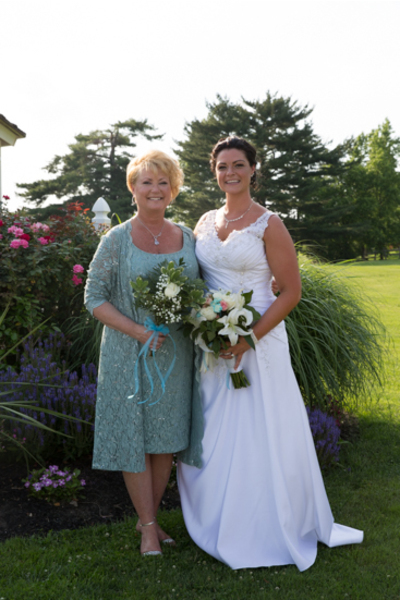 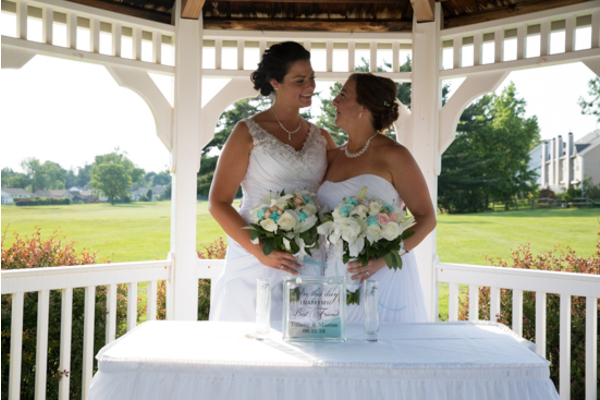 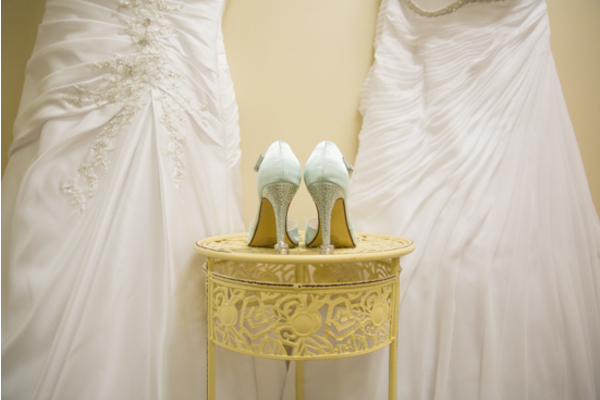 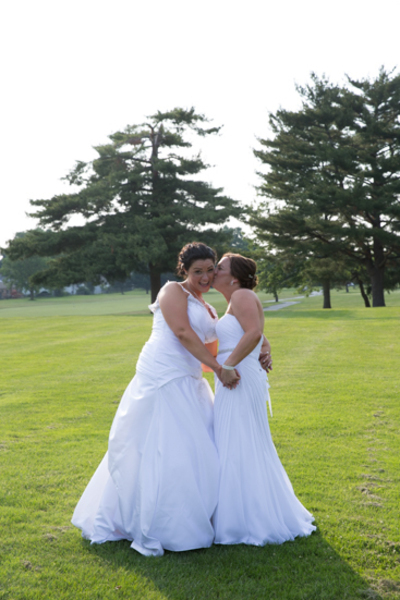 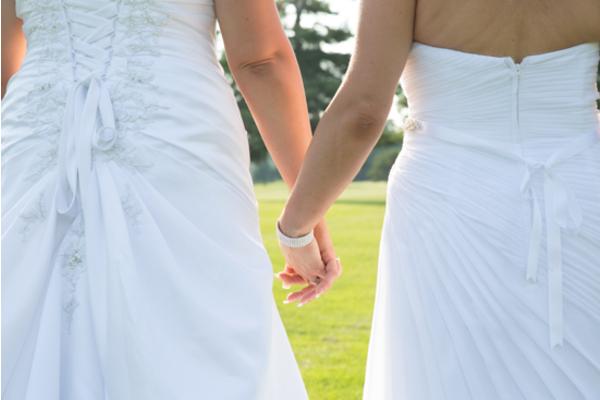 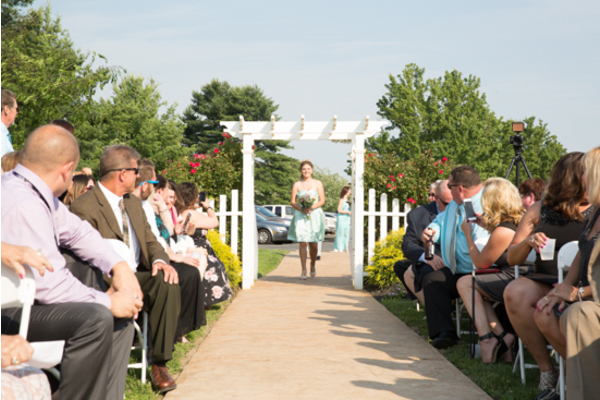 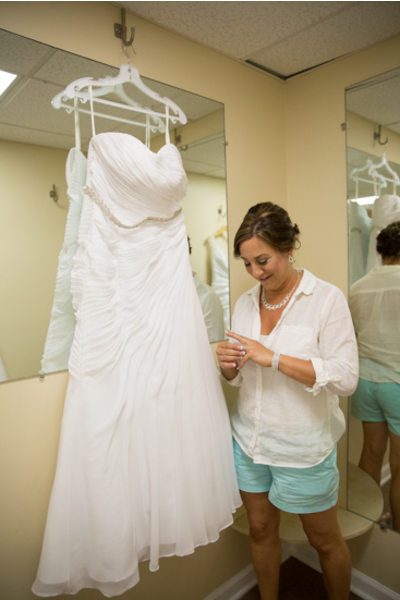 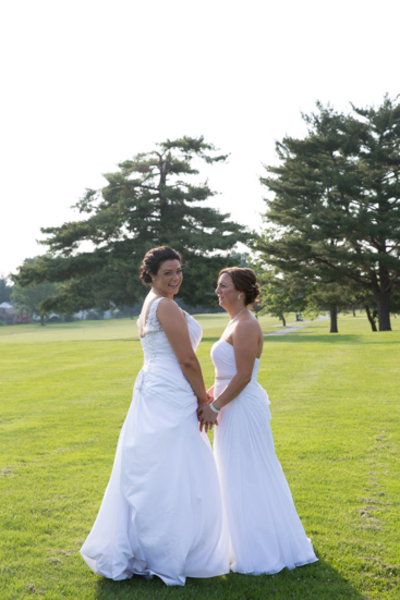 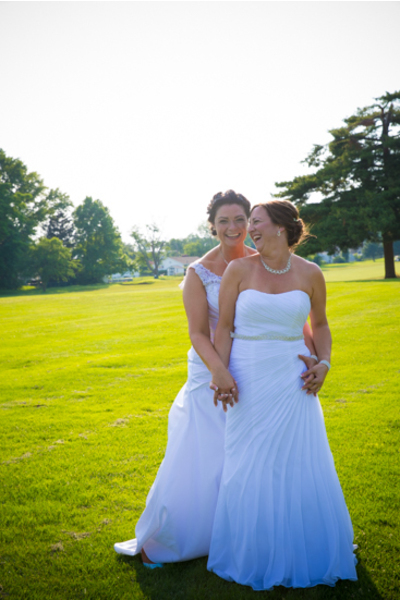 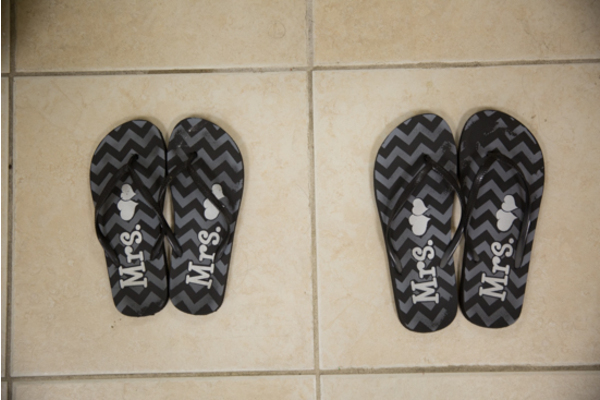 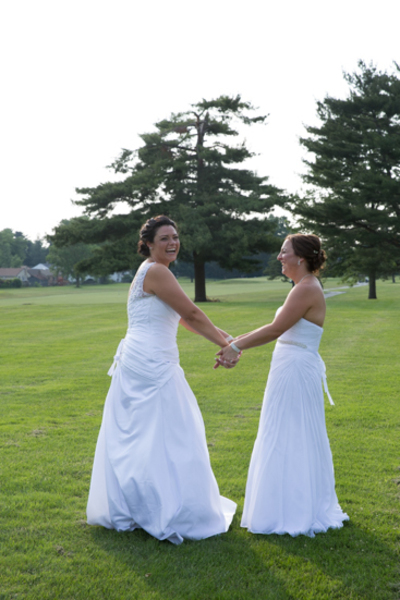 Both brides prepared to walk down the aisle and made sure that they looked absolutely perfect! 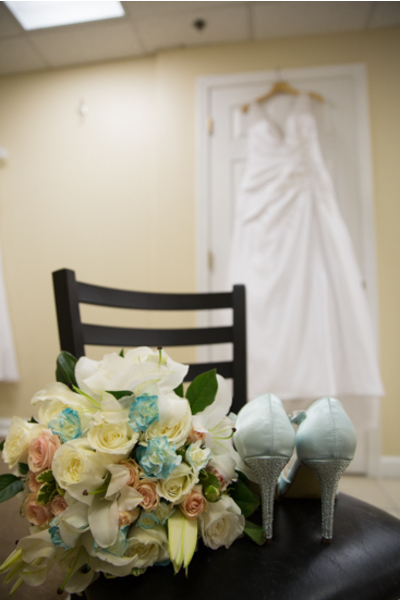 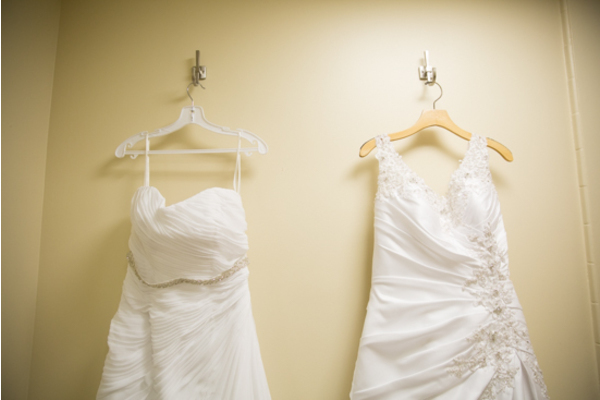 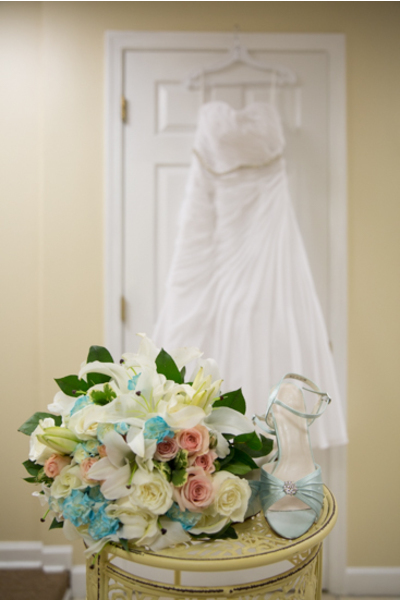 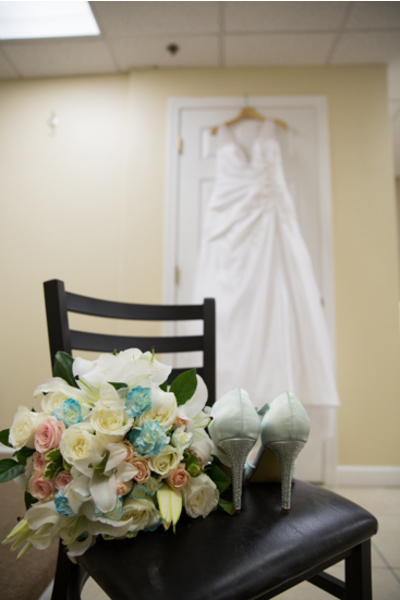 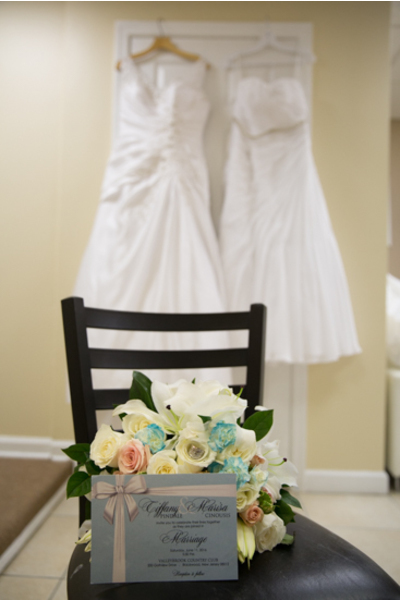 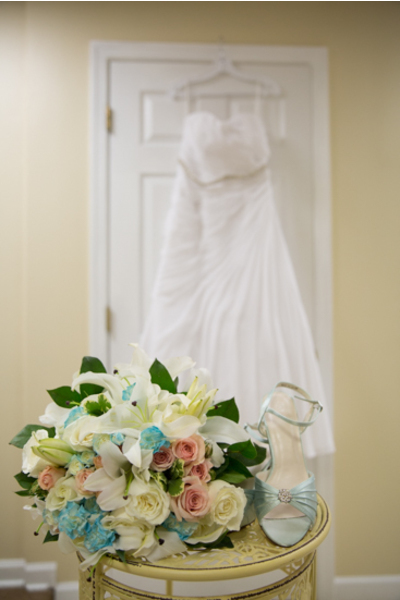 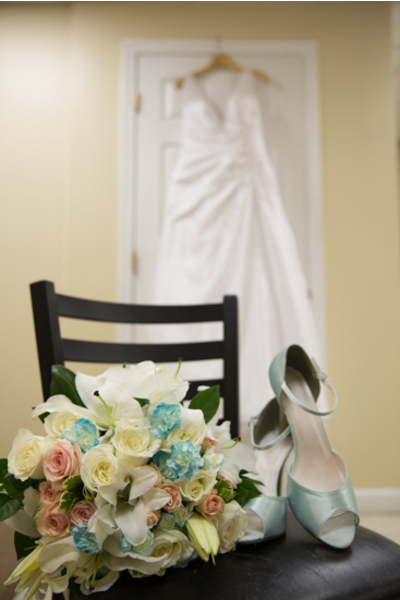 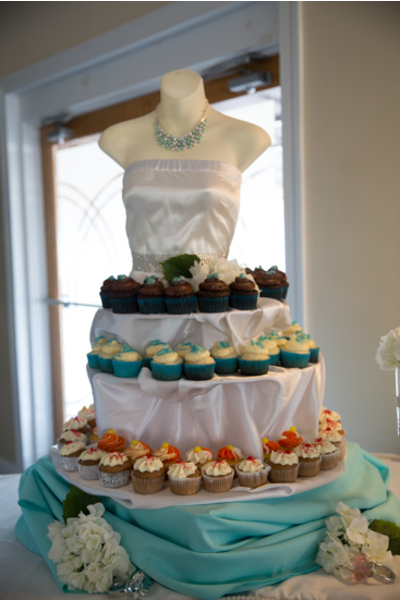 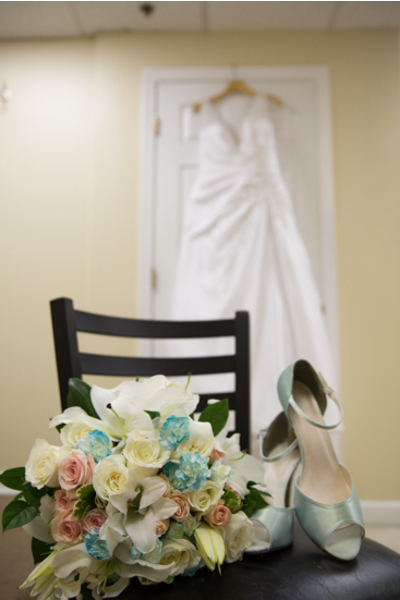 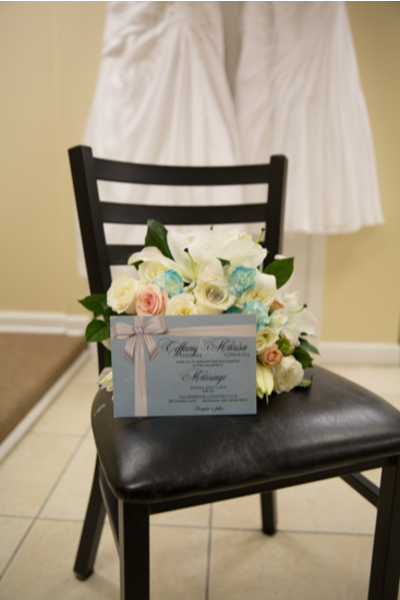 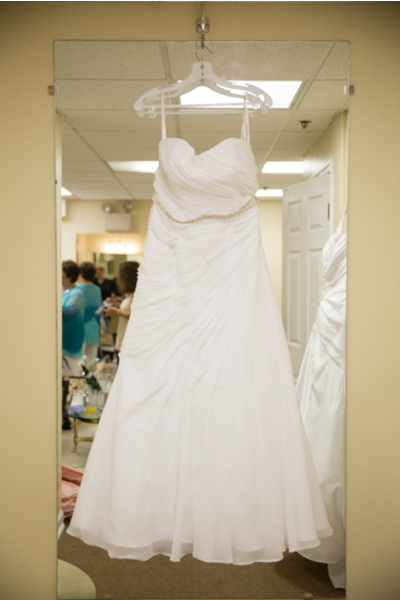 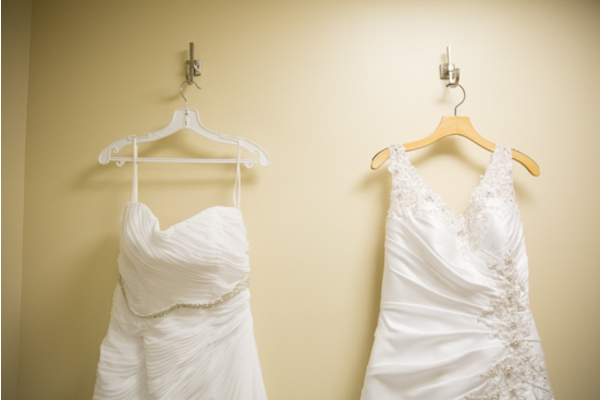 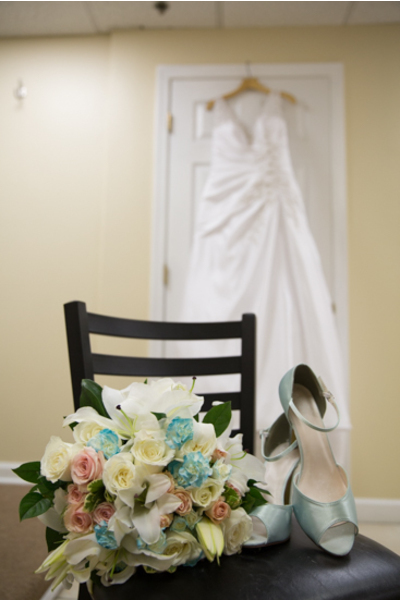 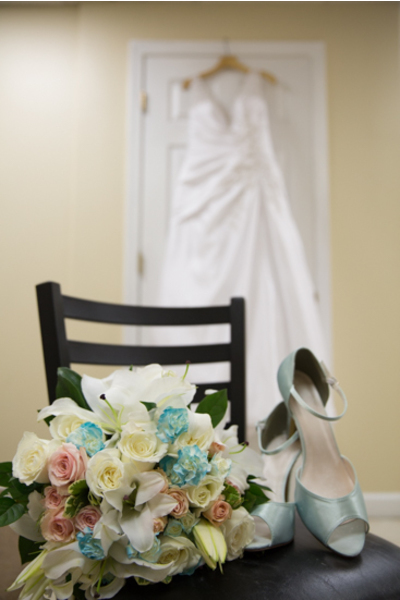 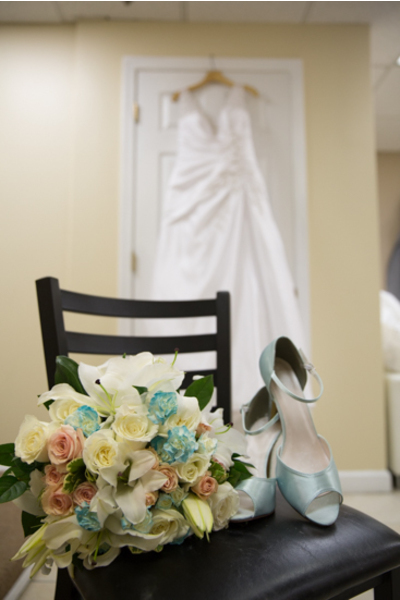 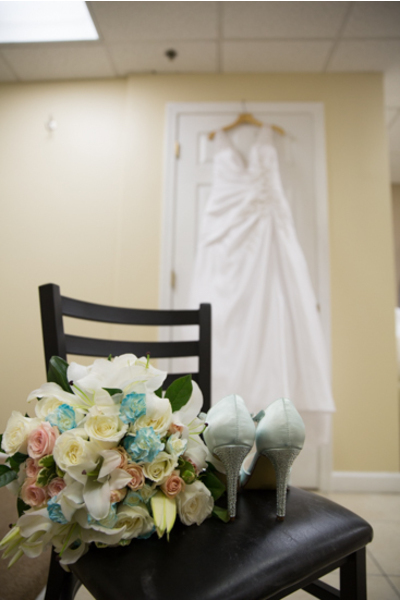 Our NJ Wedding Photographer was able to get some creative shots of Marisa and Tiff’s dresses and accessories side by side! 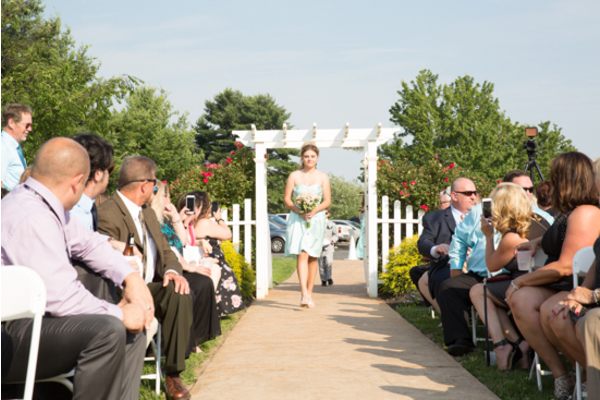 When the time came, all eyes were on the brides as they made their way down the aisle surrounded by all of their closest friends and family. 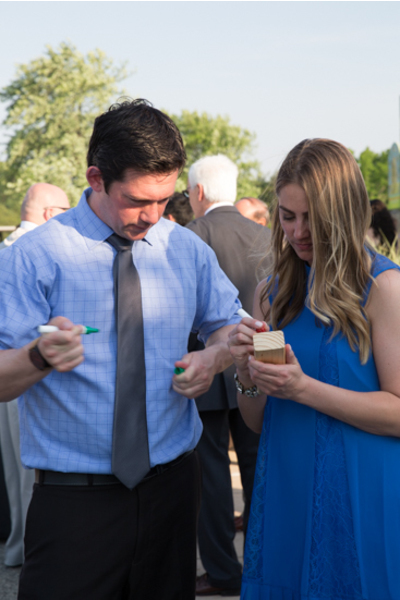 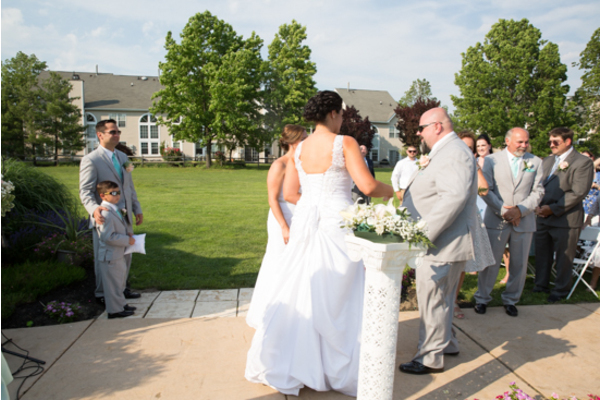 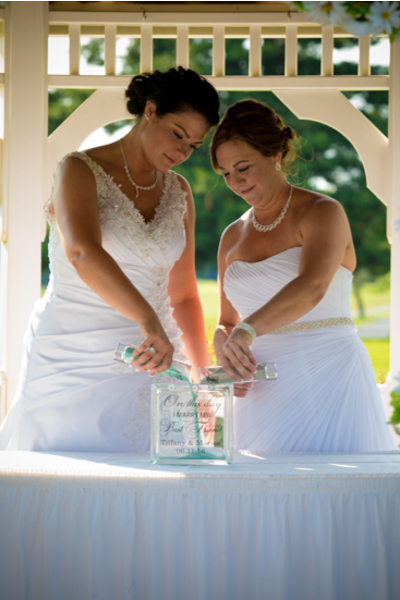 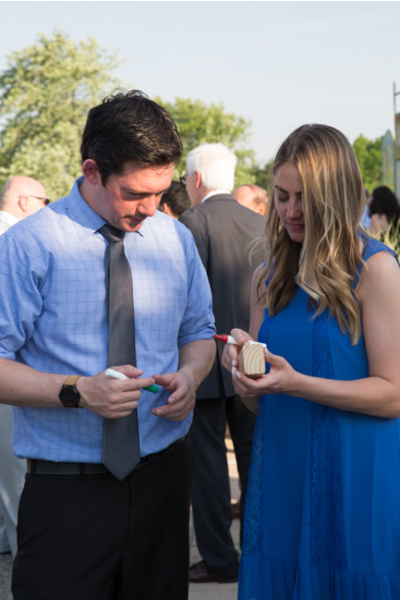 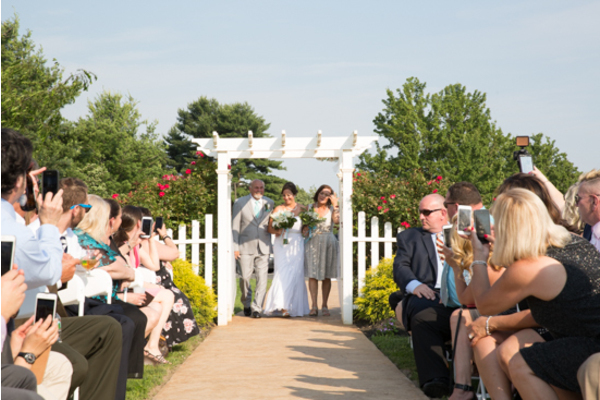 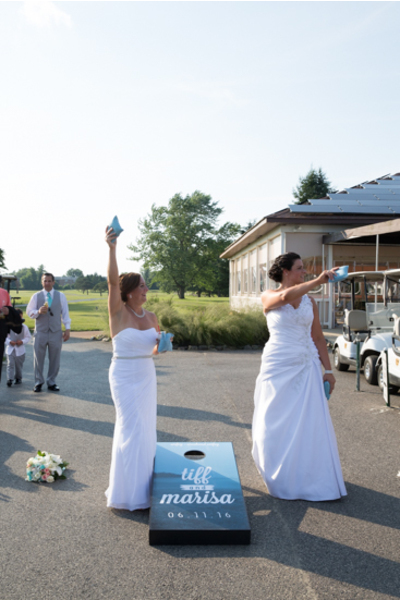 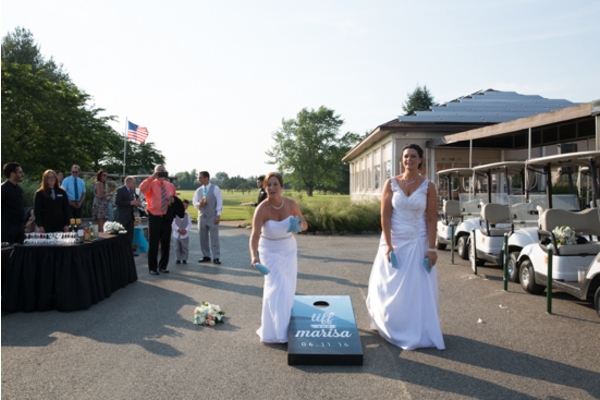 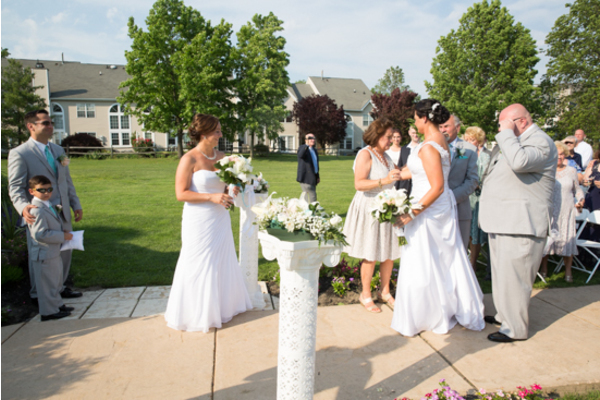 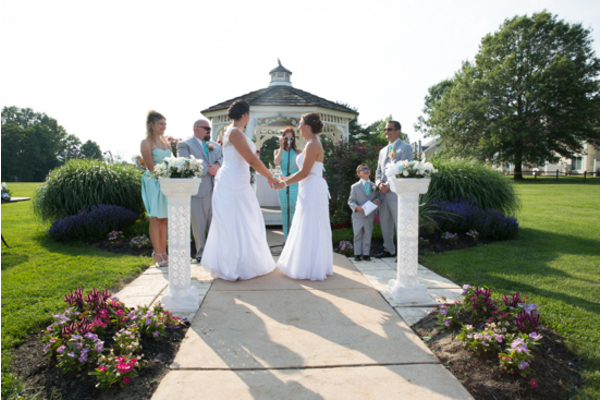 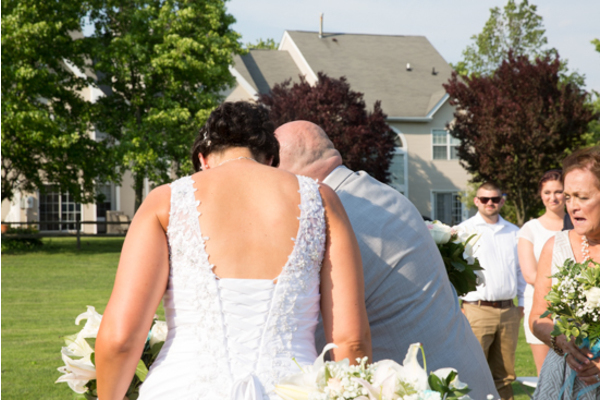 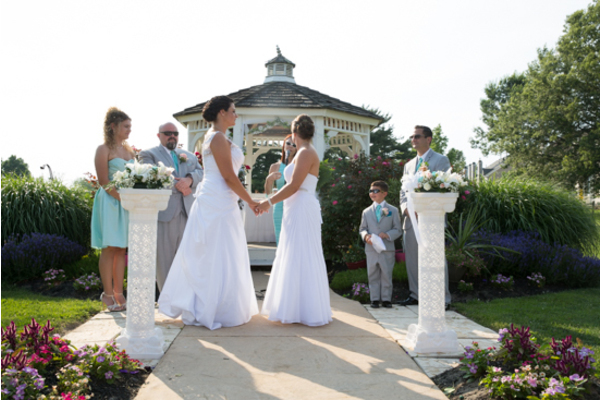 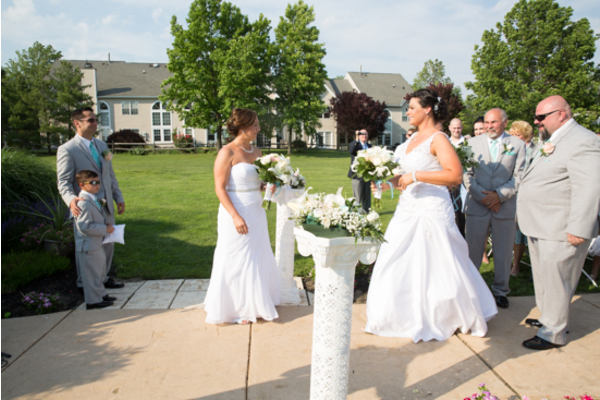 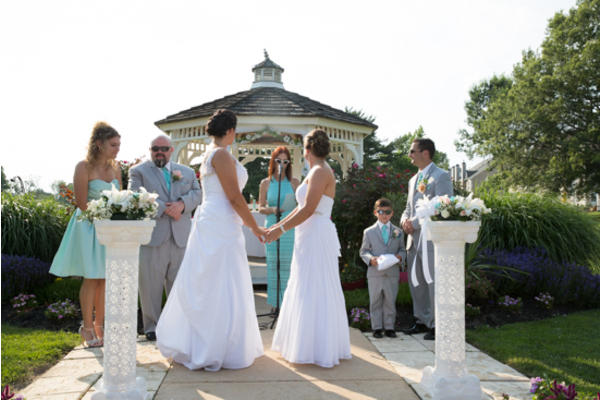 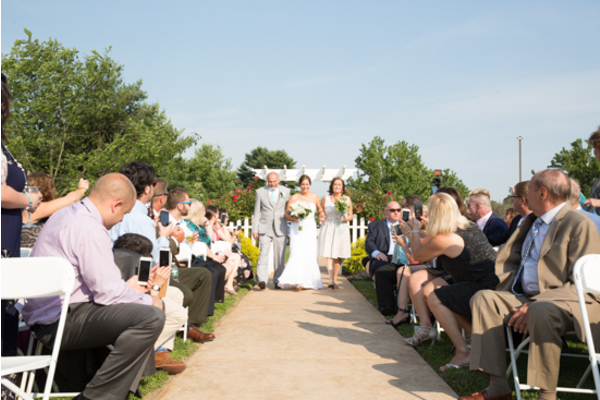 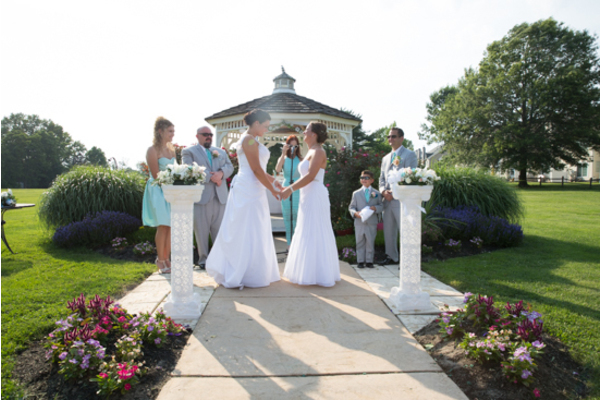 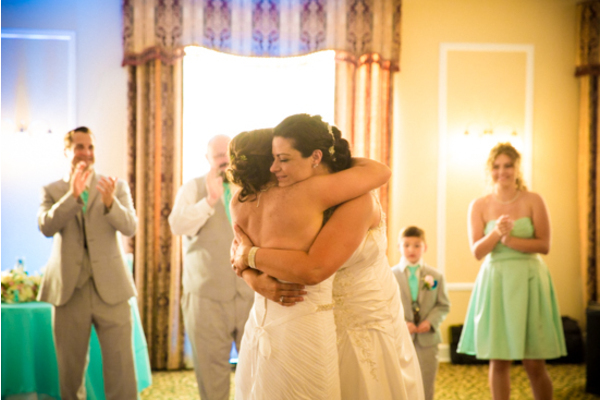 Marisa and Tiff did a touching sand ceremony that was captured by our NJ Wedding Photographer so they can look back on all the little details that they may have missed in the chaos of the day! 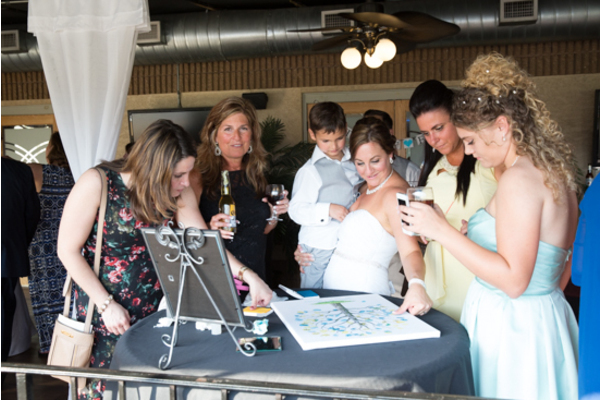 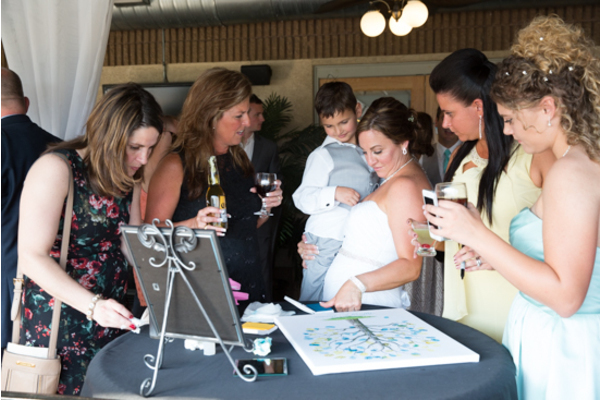 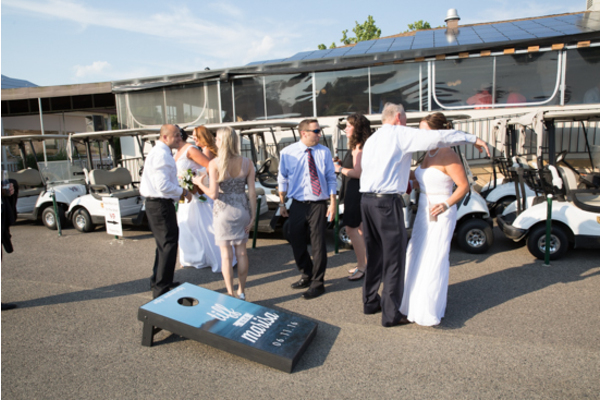 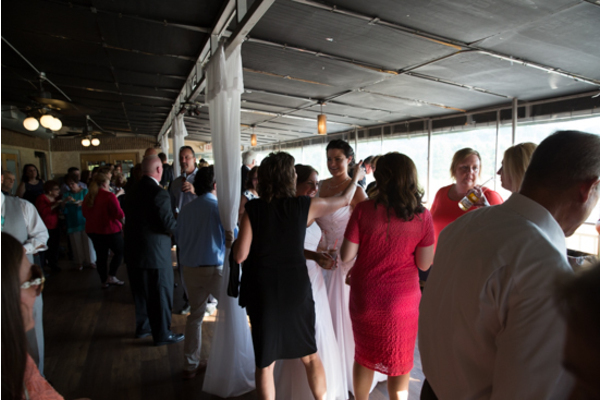 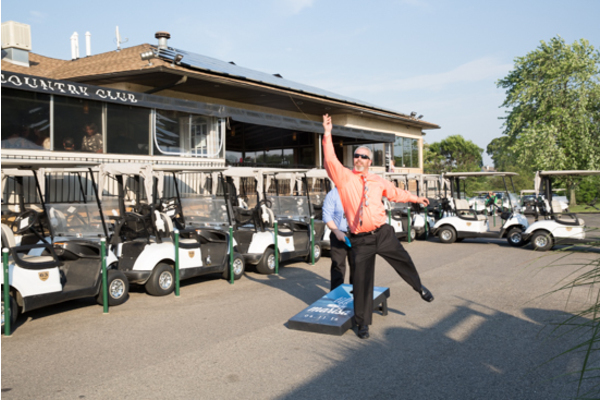 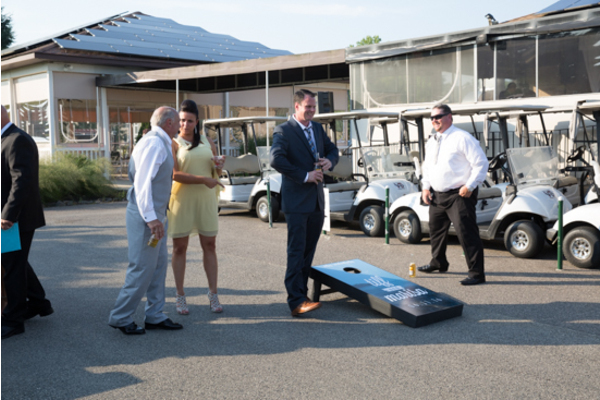 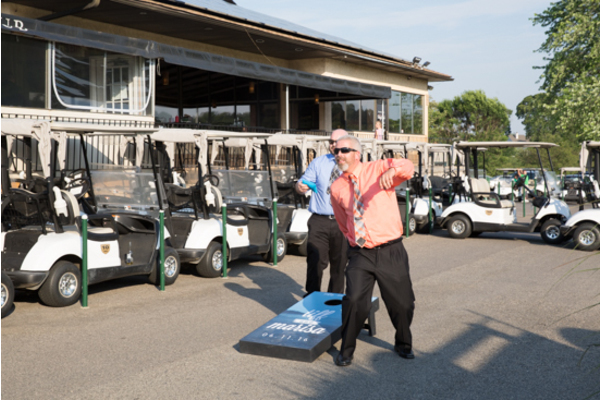 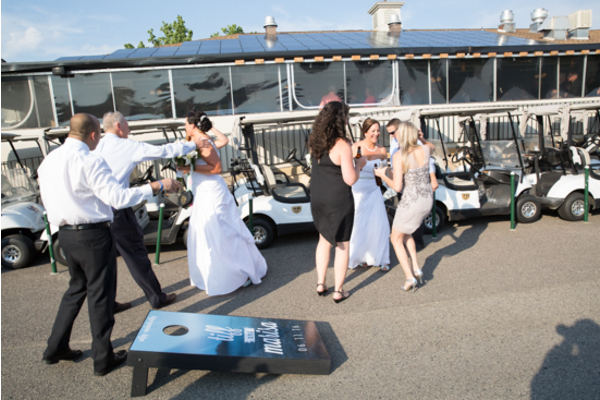 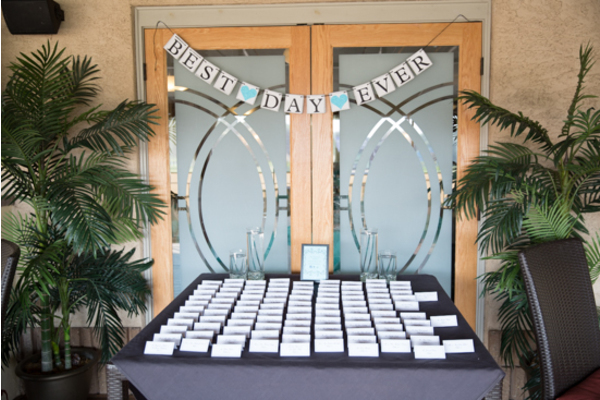 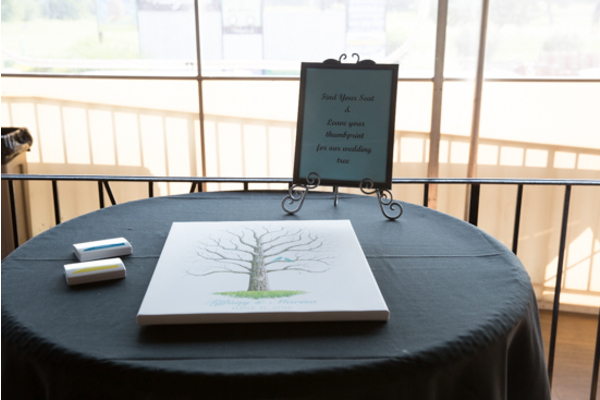 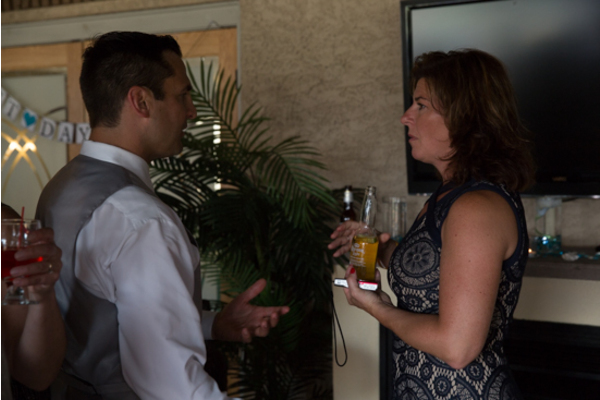 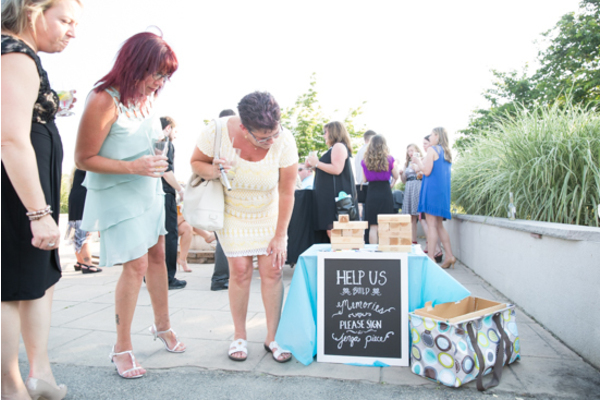 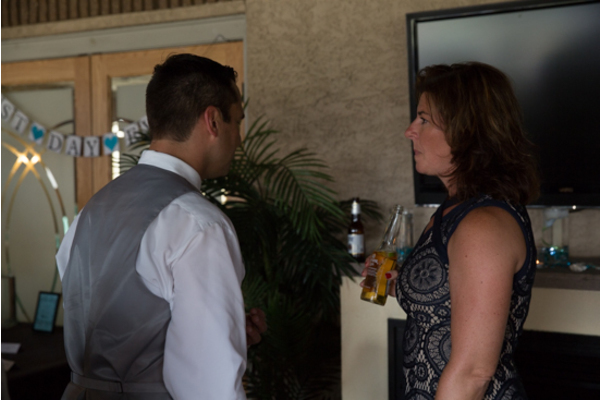 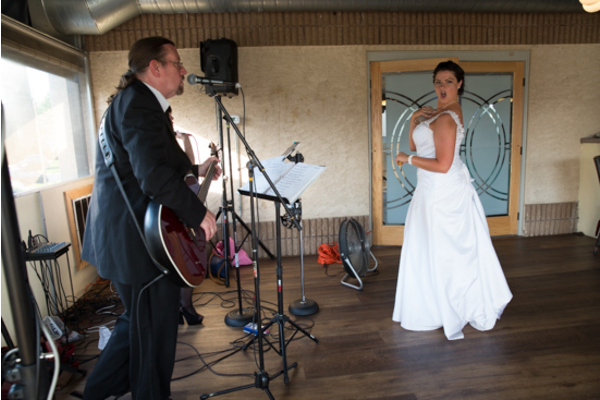 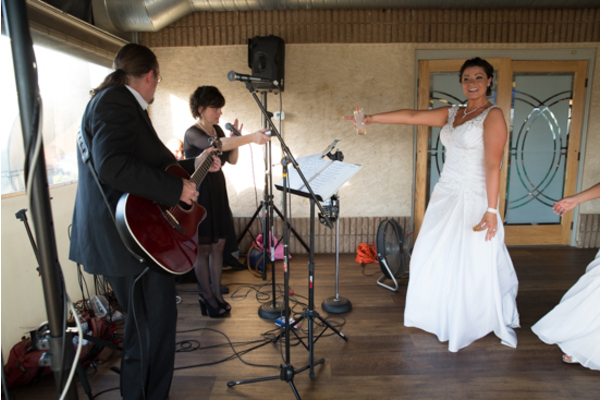 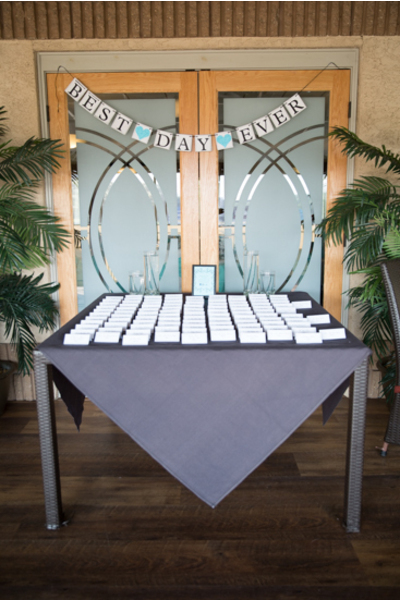 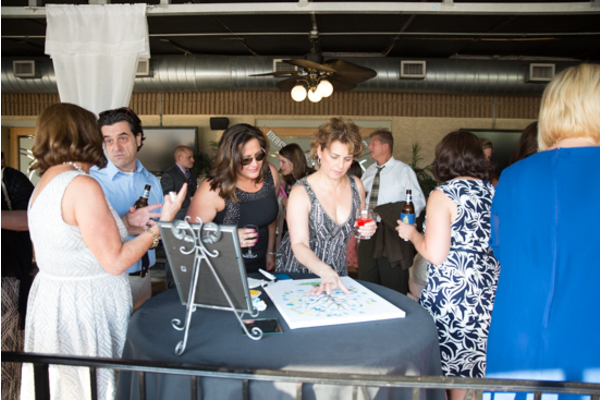 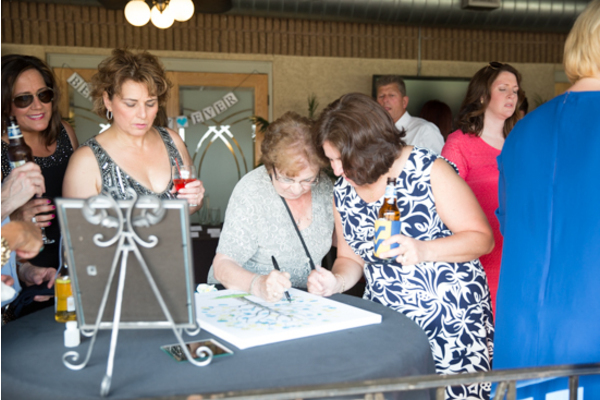 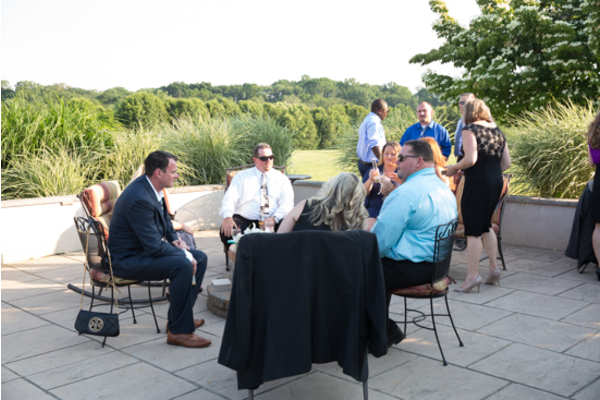 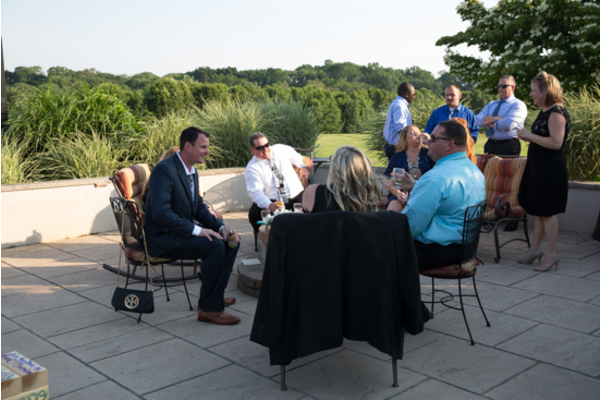 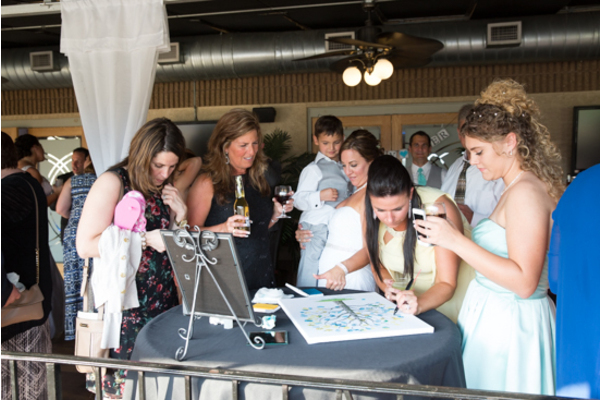 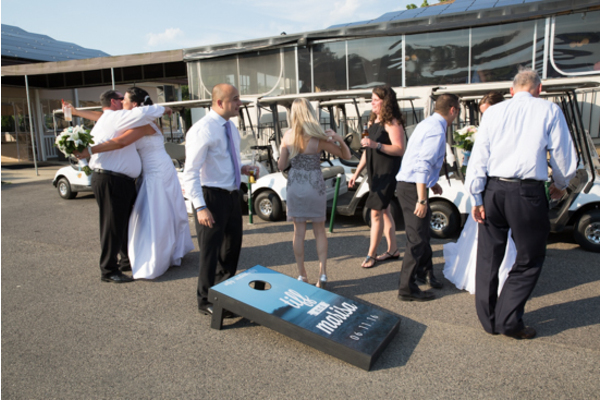 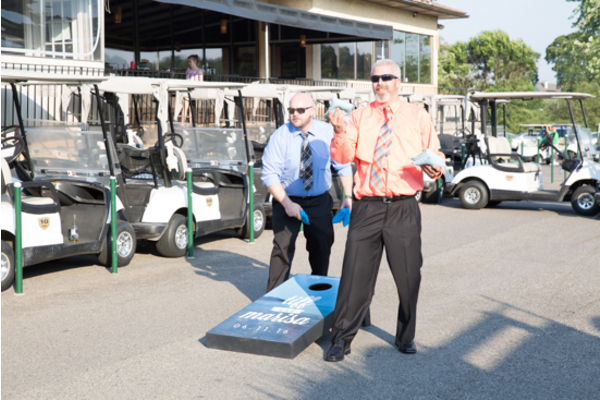 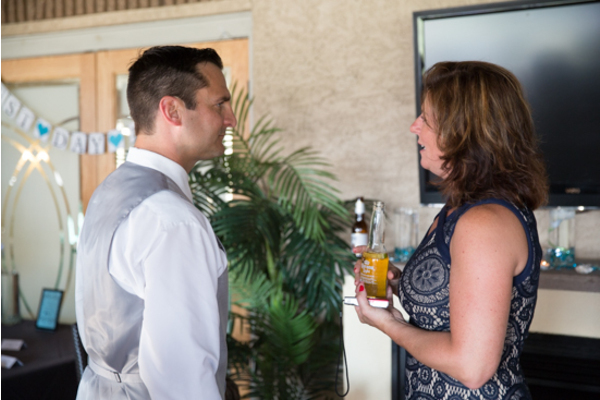 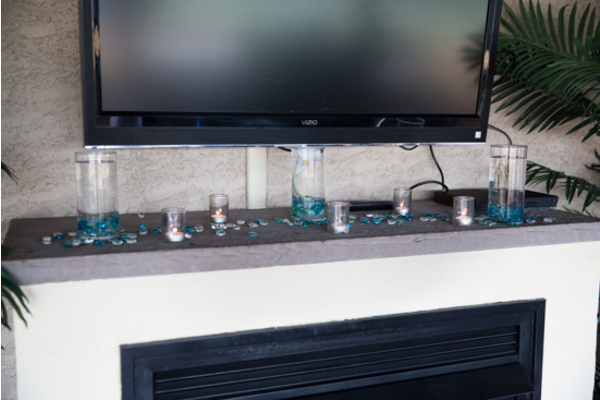 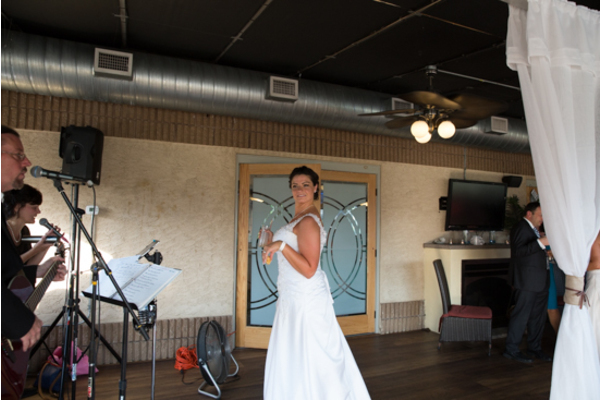 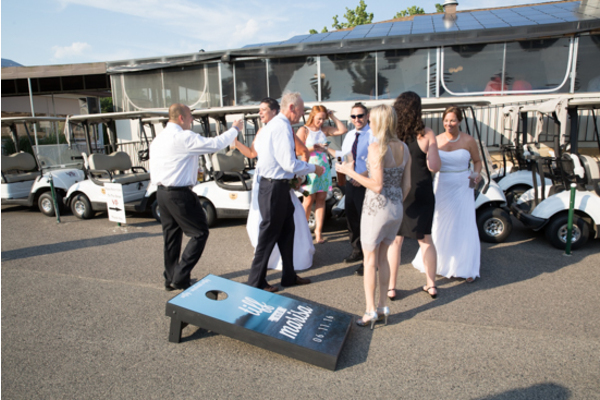 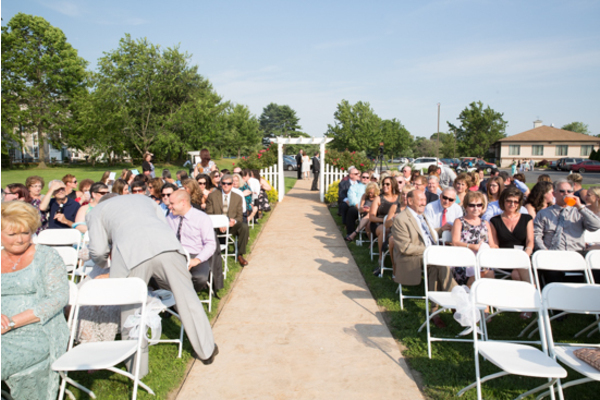 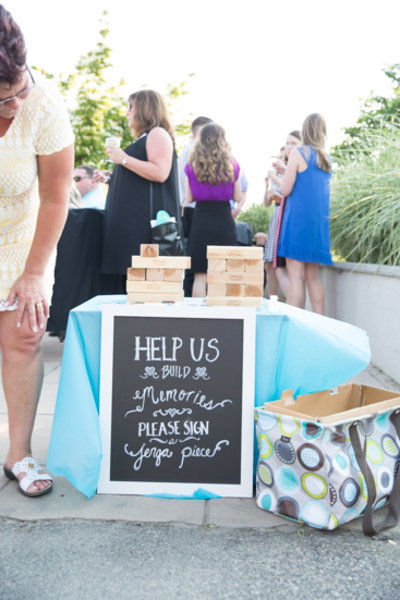 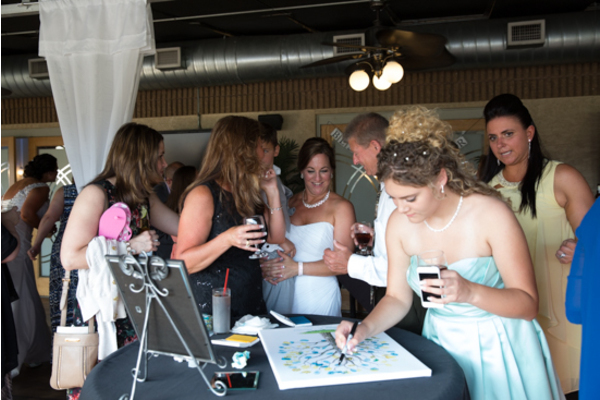 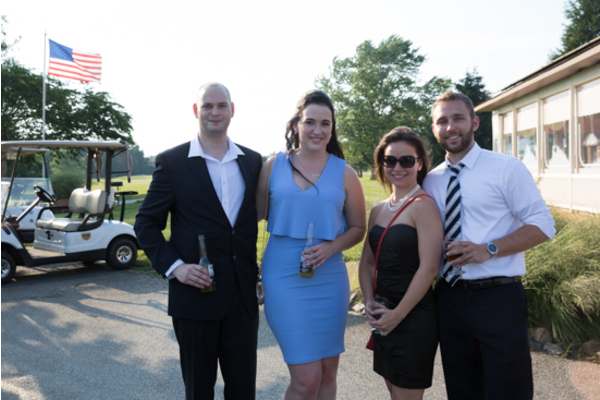 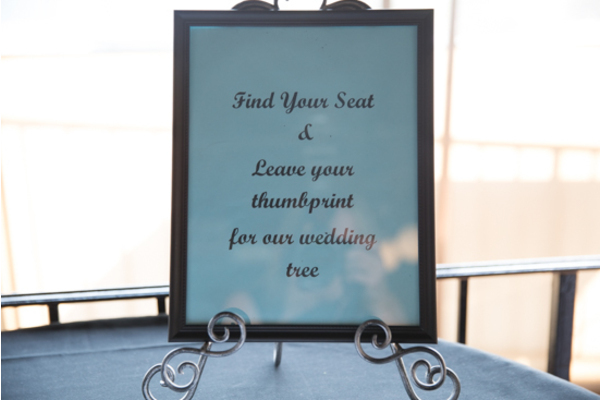 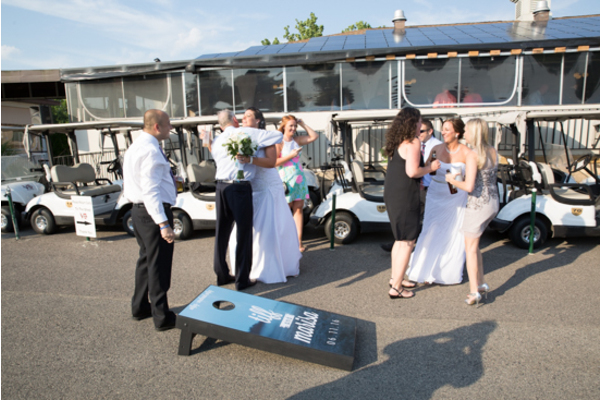 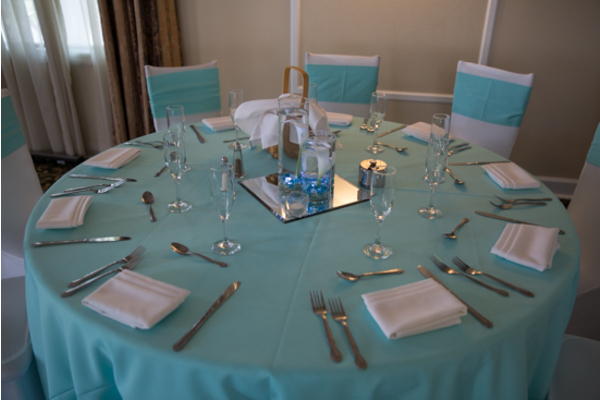 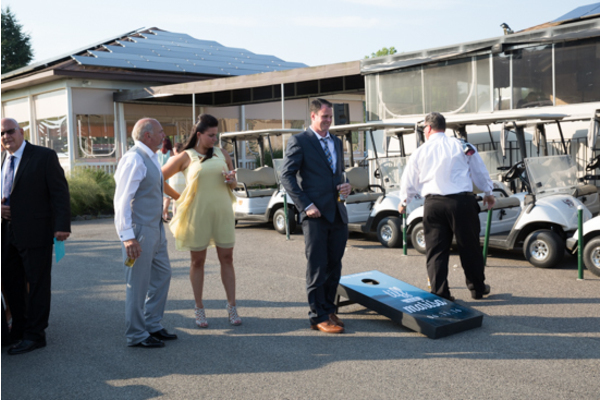 The venue was quickly transformed into a reception area so that the real party could start! 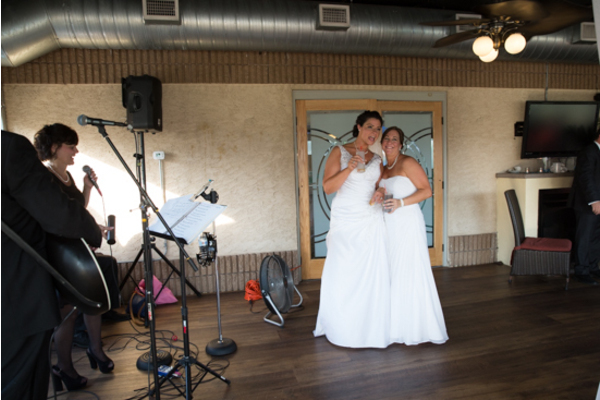 Our ambient lighting really made for an elegant atmosphere where Marisa and Tiff’s marriage was being celebrated. 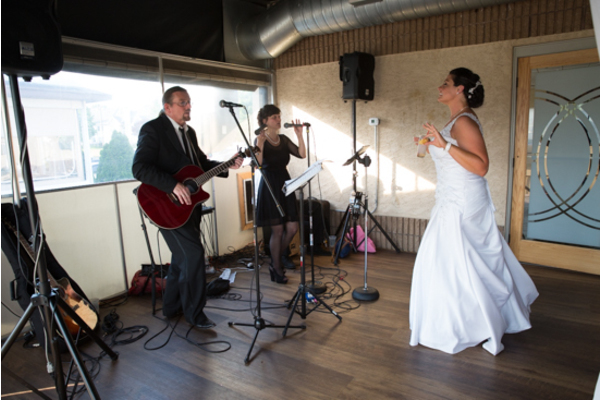 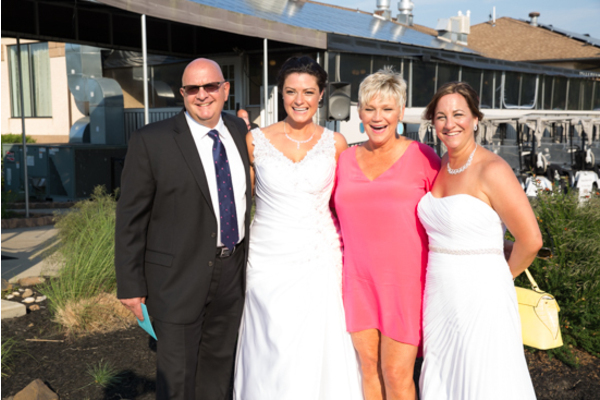 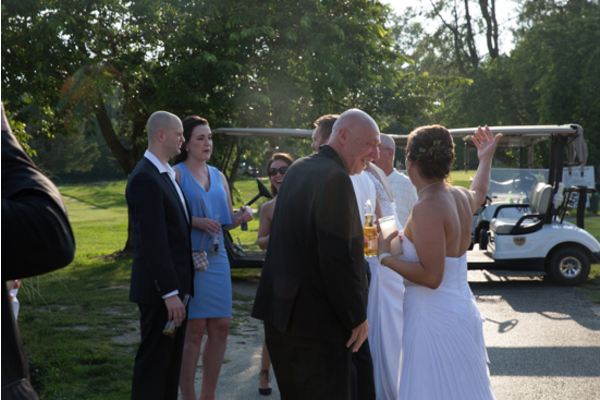 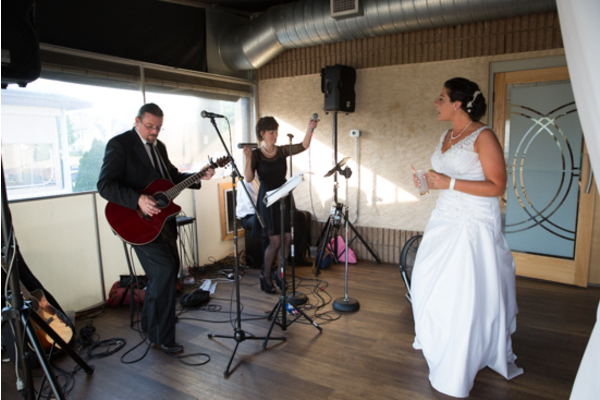 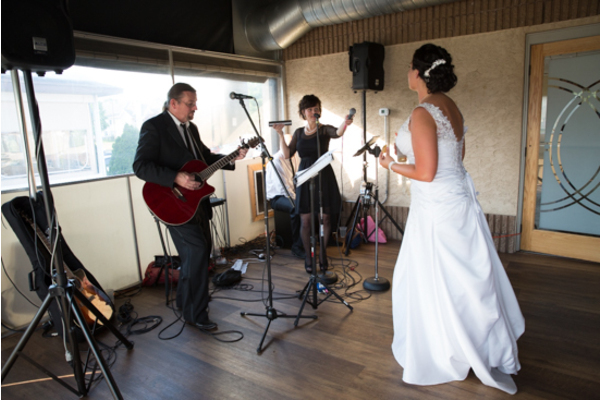 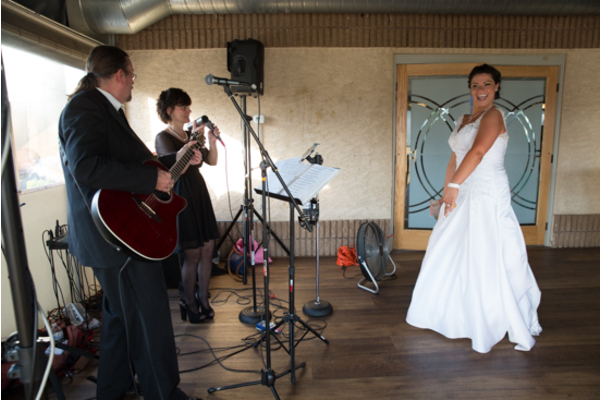 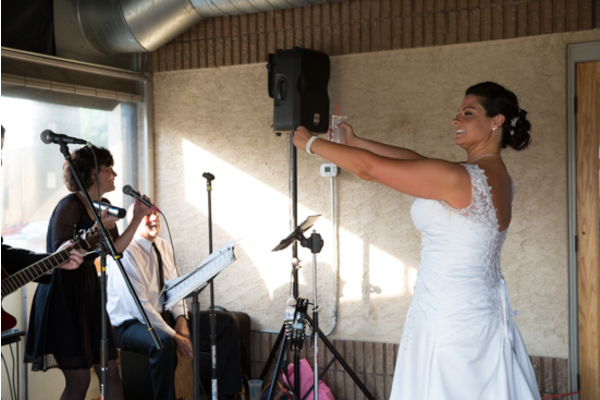 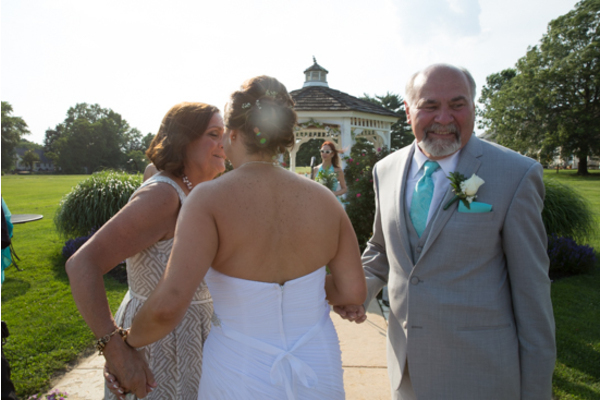 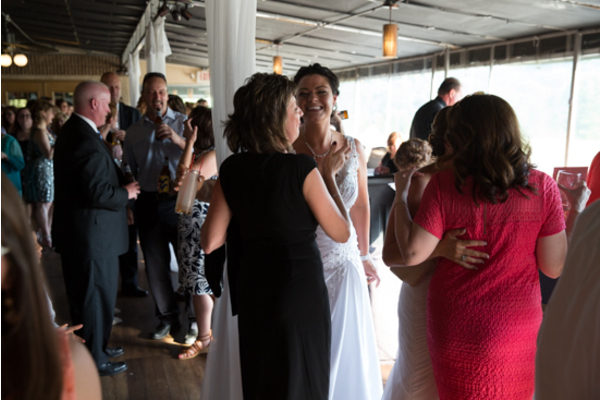 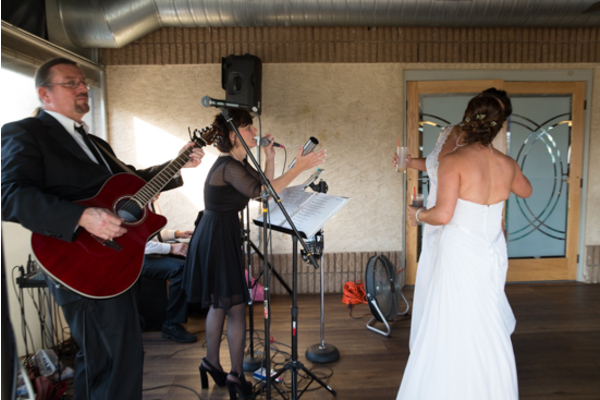 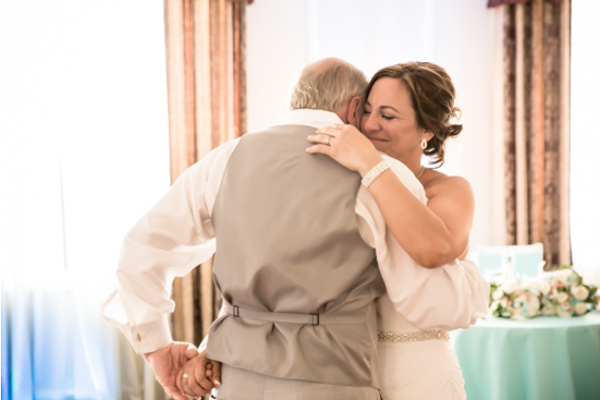 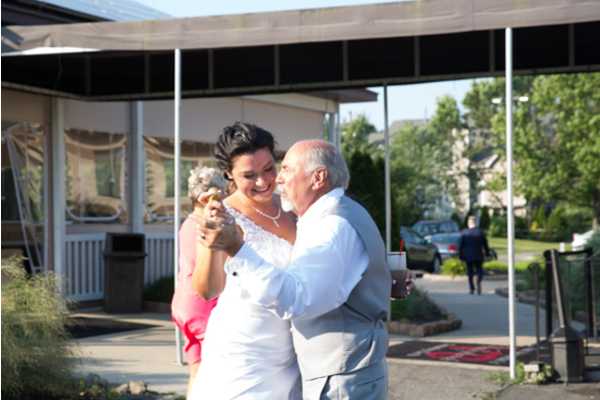 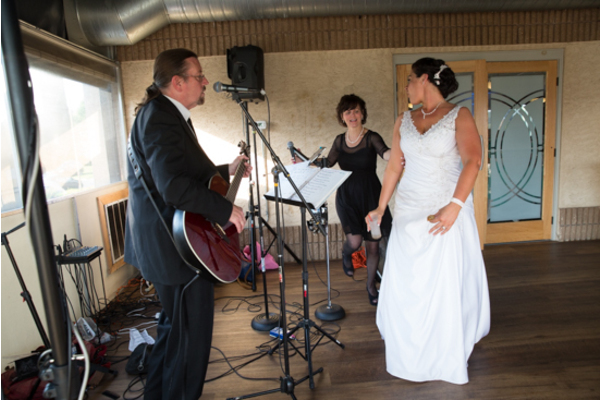 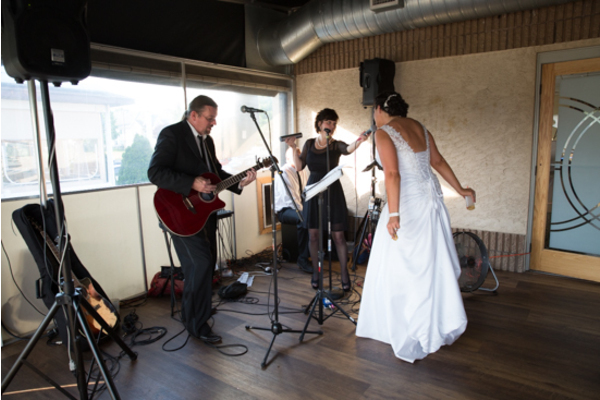 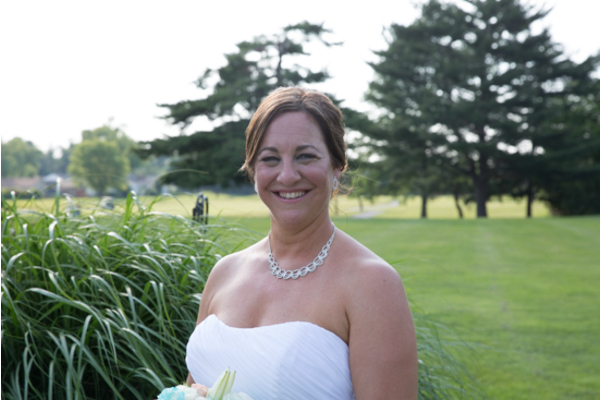 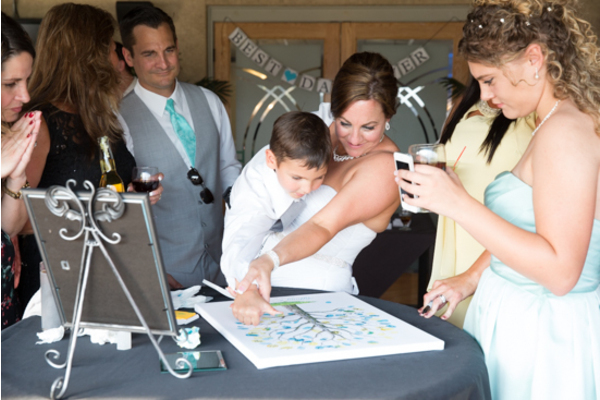 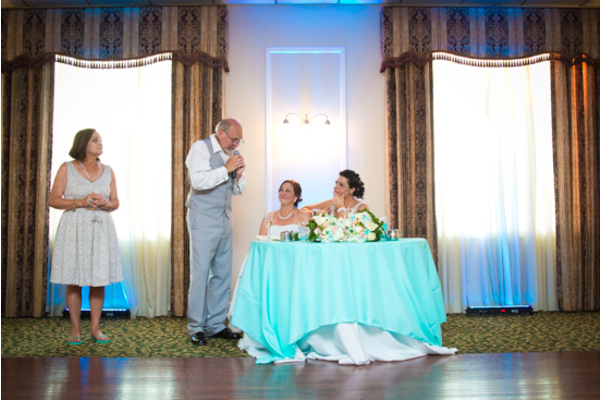 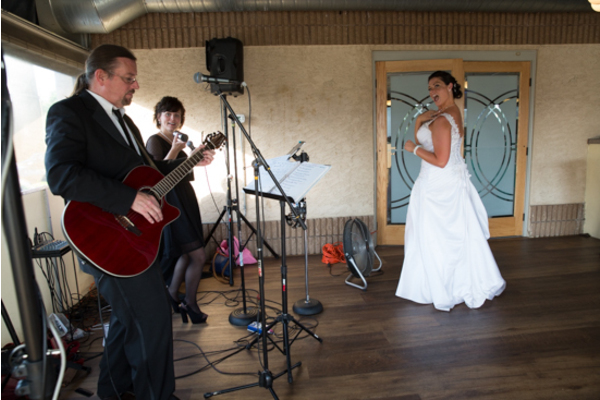 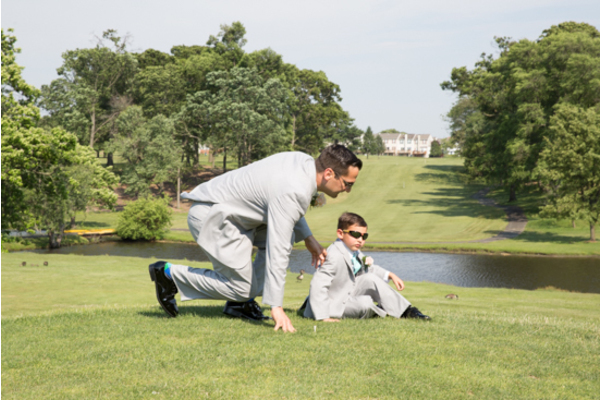 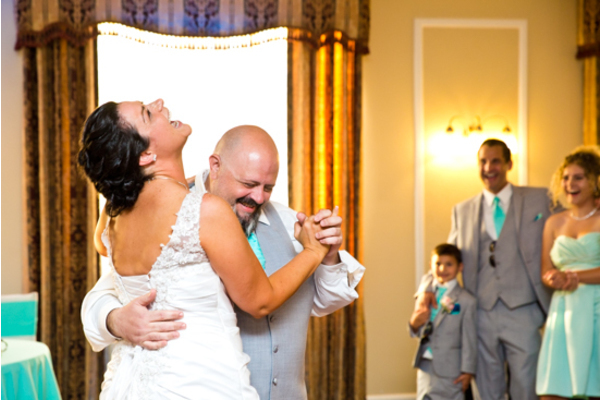 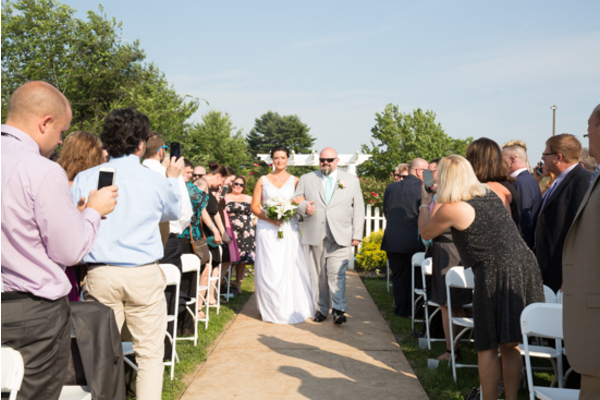 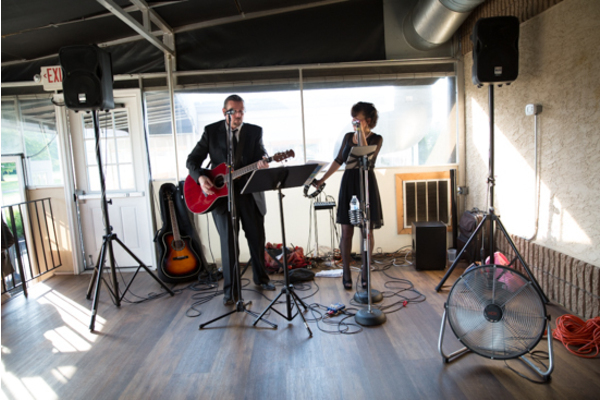 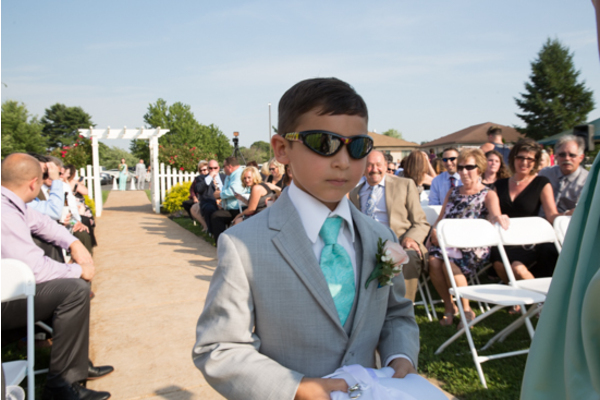 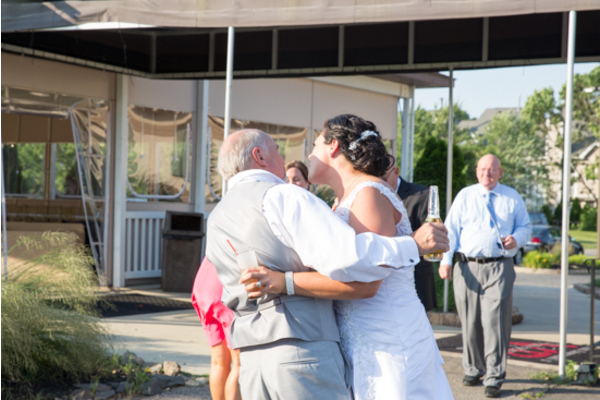 Our NJ Wedding DJ made sure to play music that was as upbeat and energetic and the guests so that the dance floor was packed all night long! 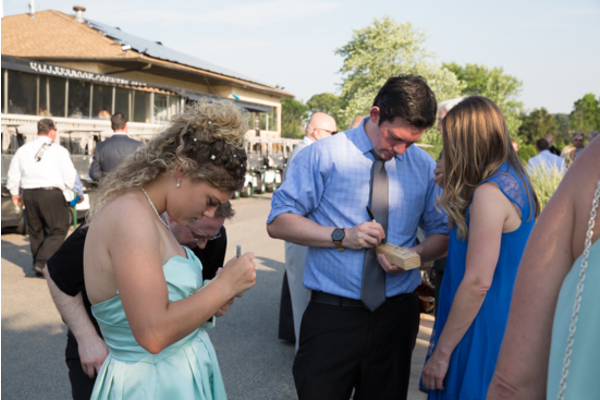 When it was time for their special day to come to an end, the brides gave all heir guests sparklers to light up the night. 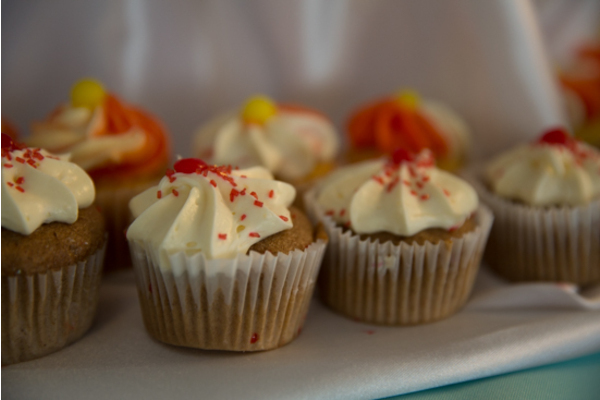 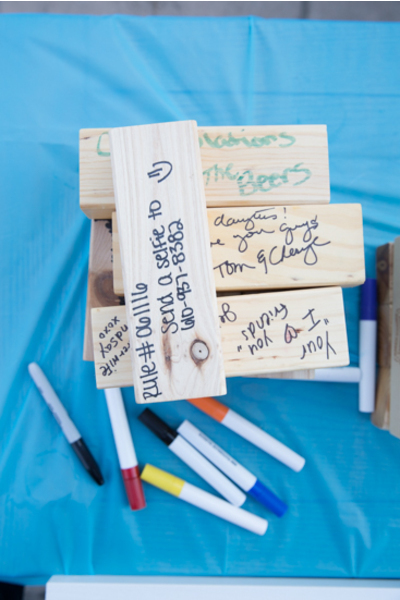 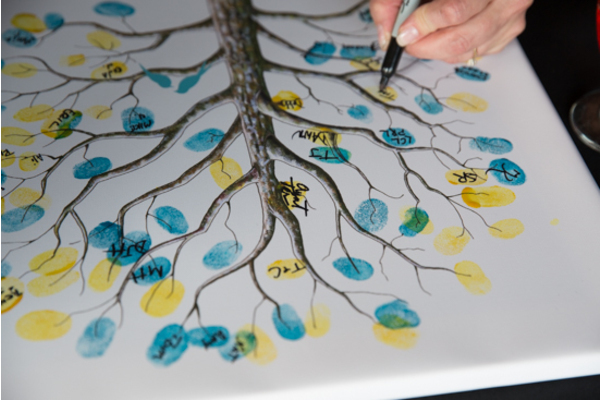 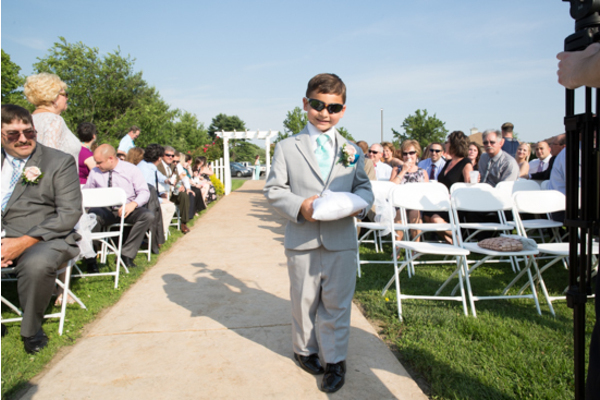 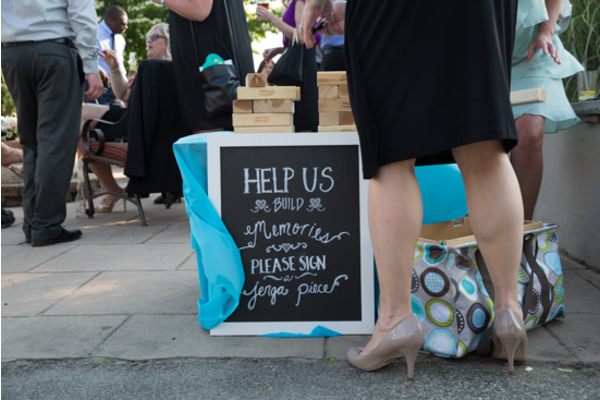 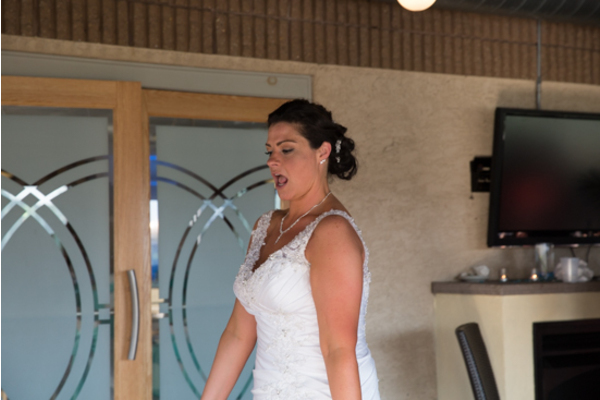 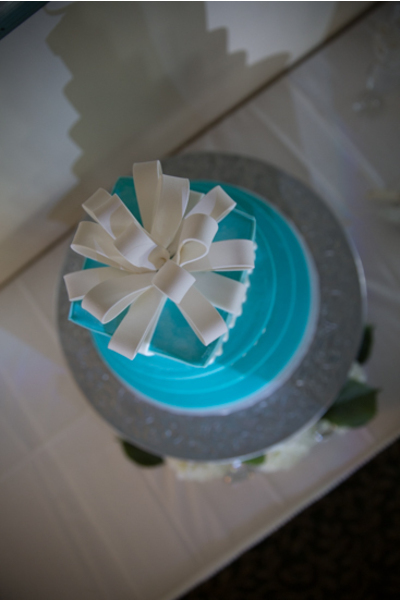 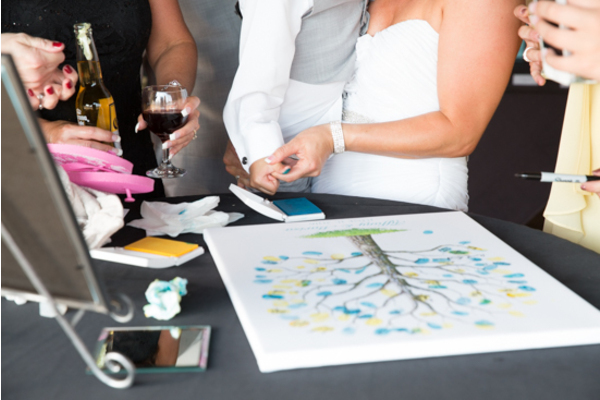 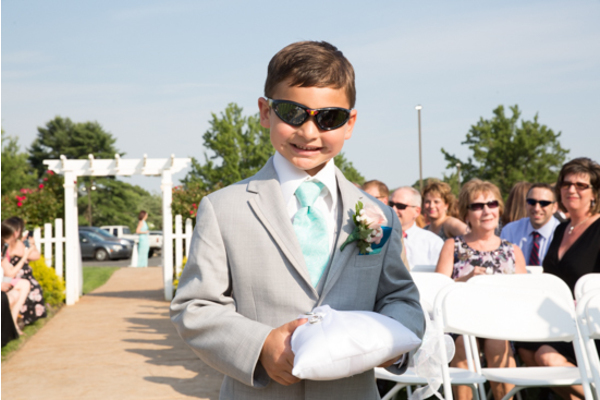 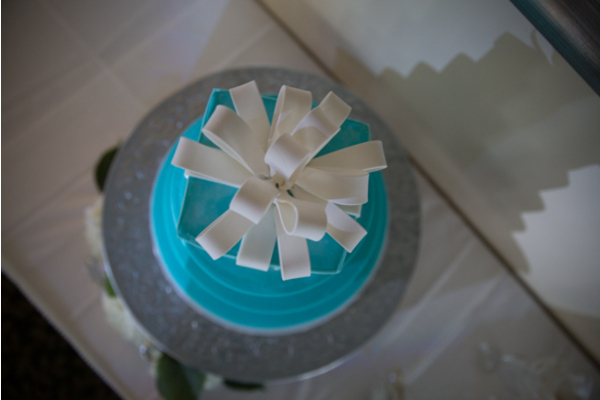 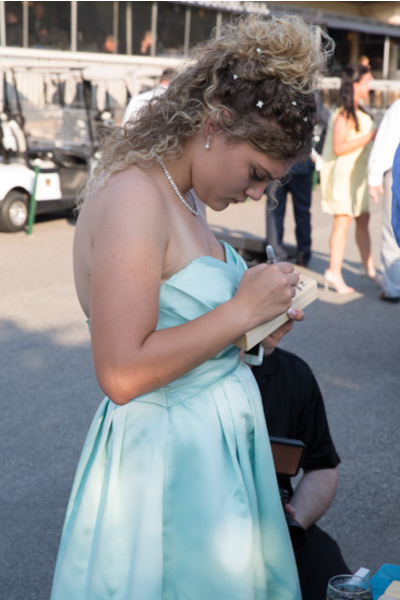 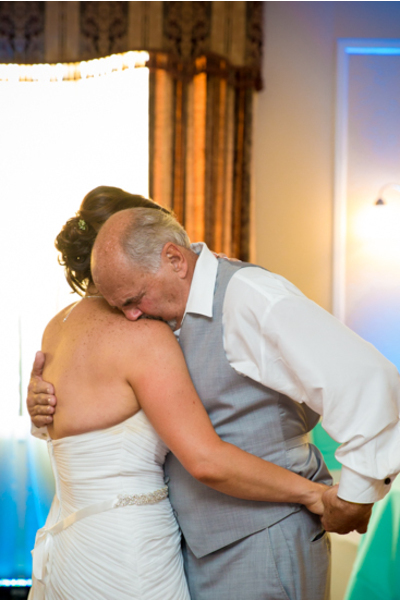 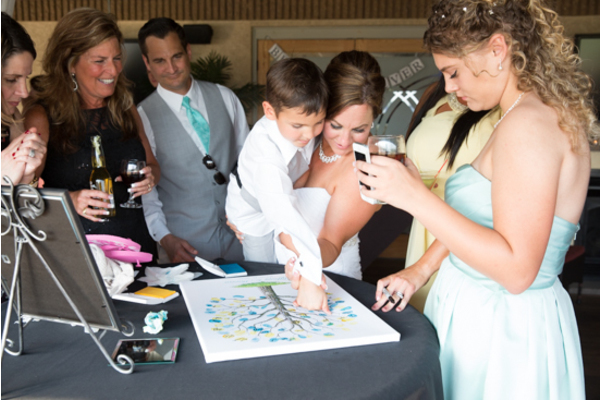 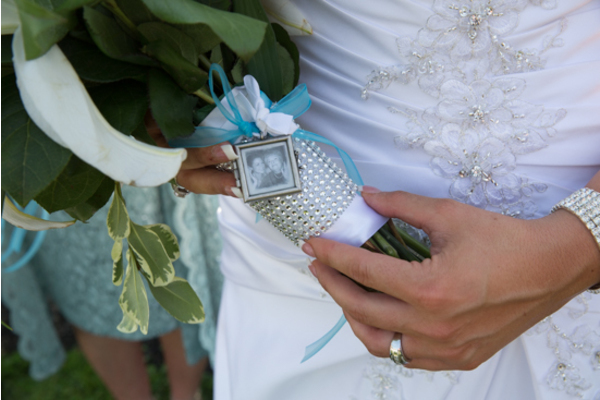 Some awesome shots were captured by our photographer of all the memories that were made. 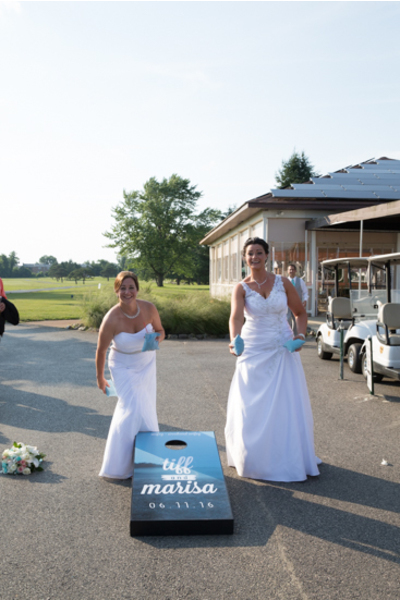 No one, especially not Marisa and Tiff, wanted the night to end. 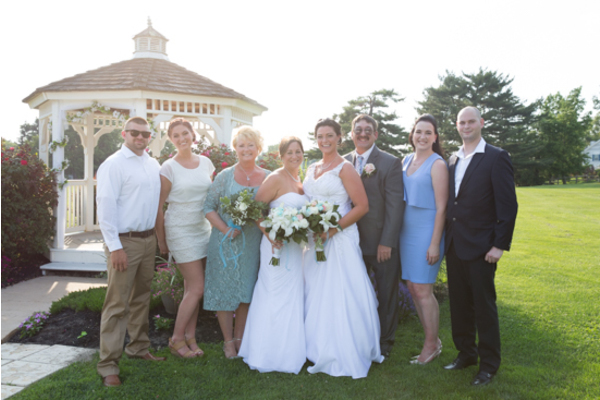 This beautiful wedding was one to remember. 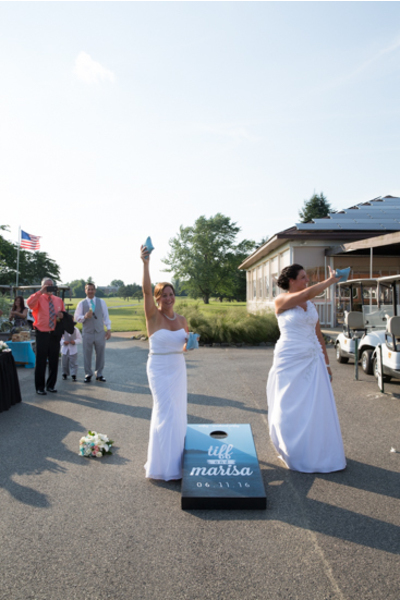 Congratulations, again Marisa and Tiff!